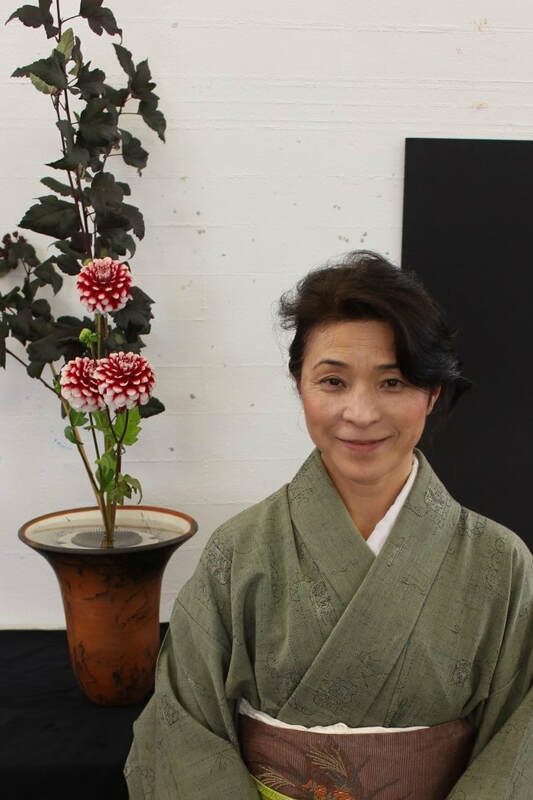 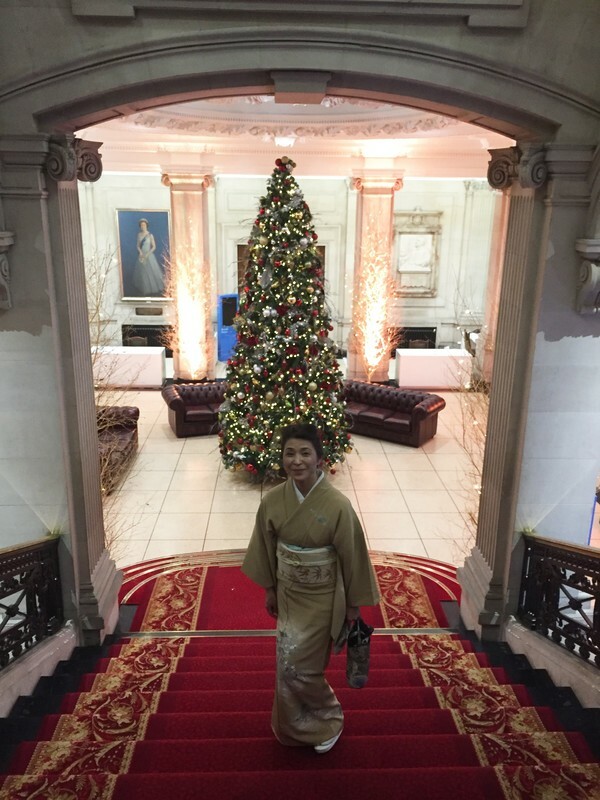 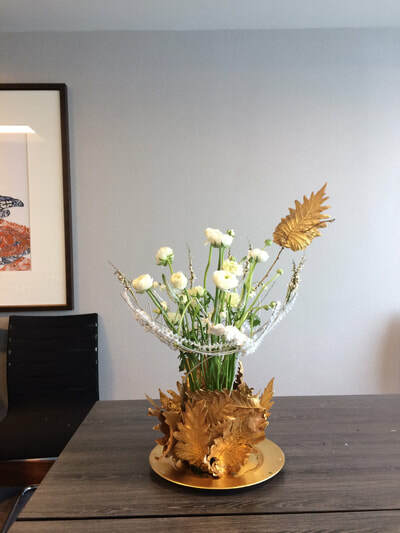 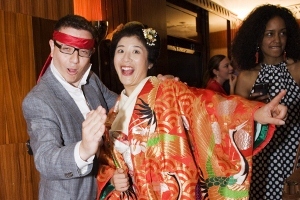 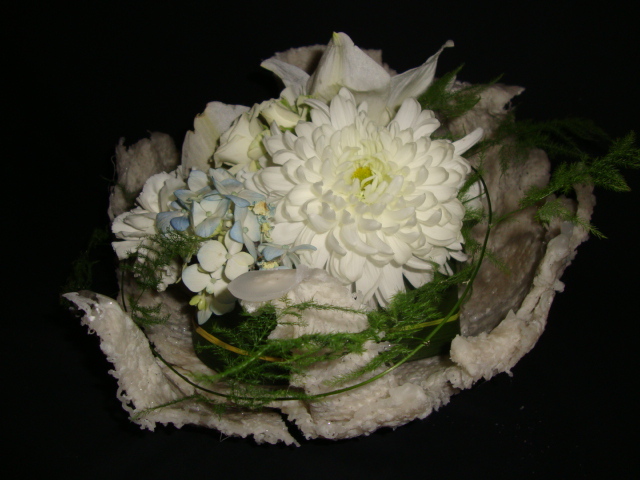 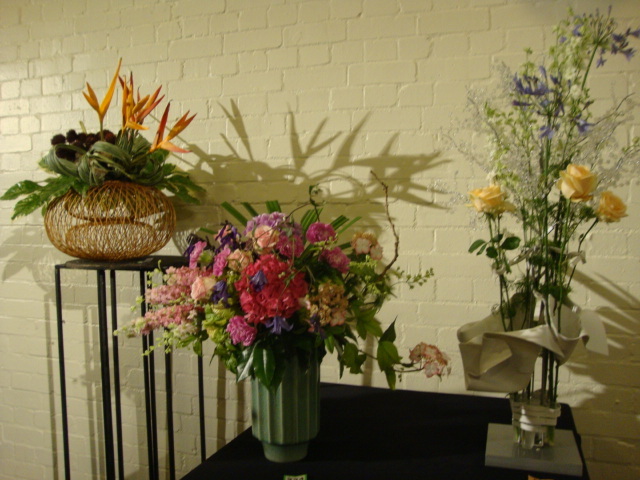 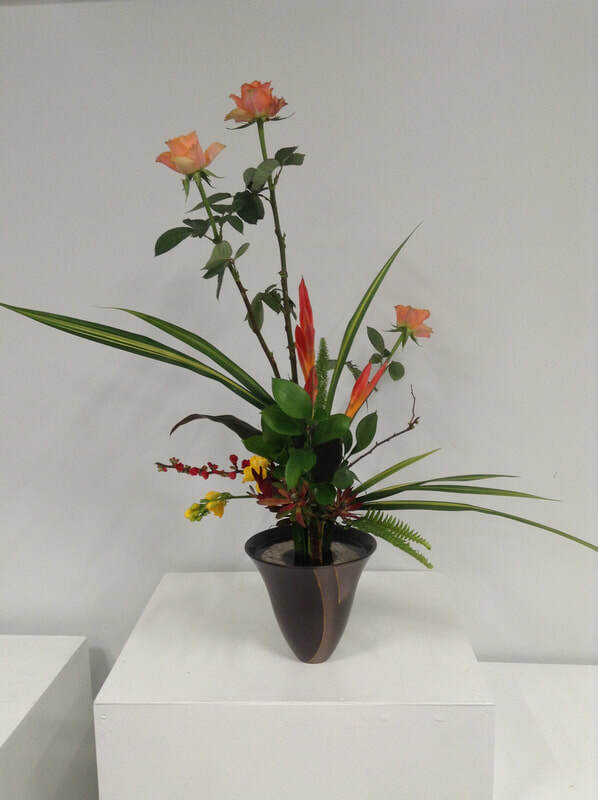 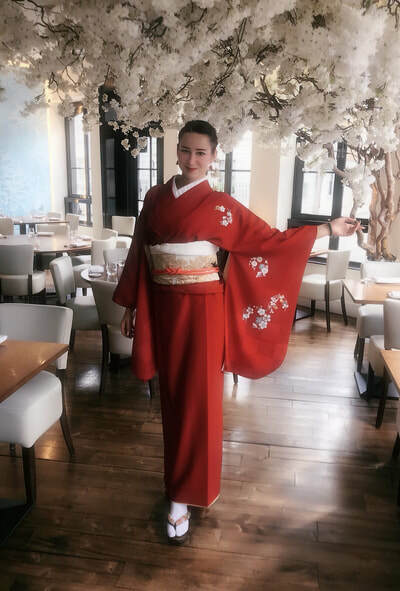 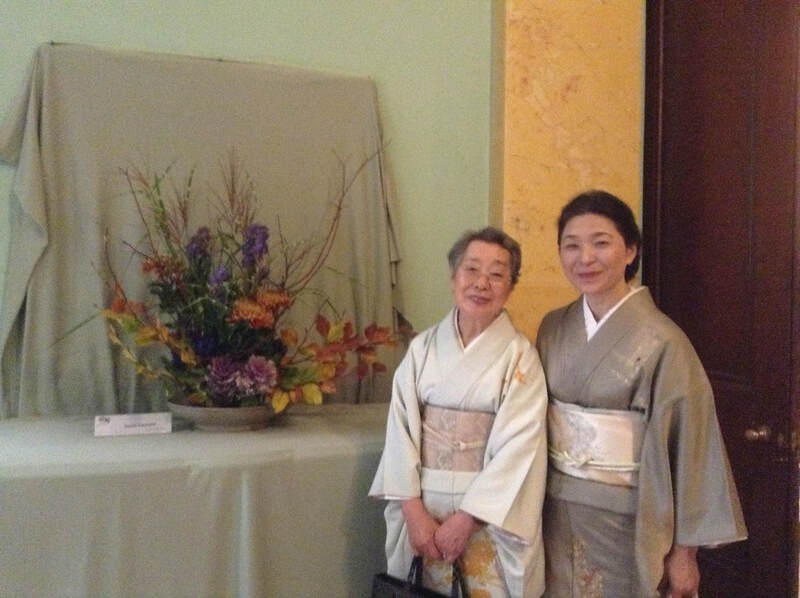 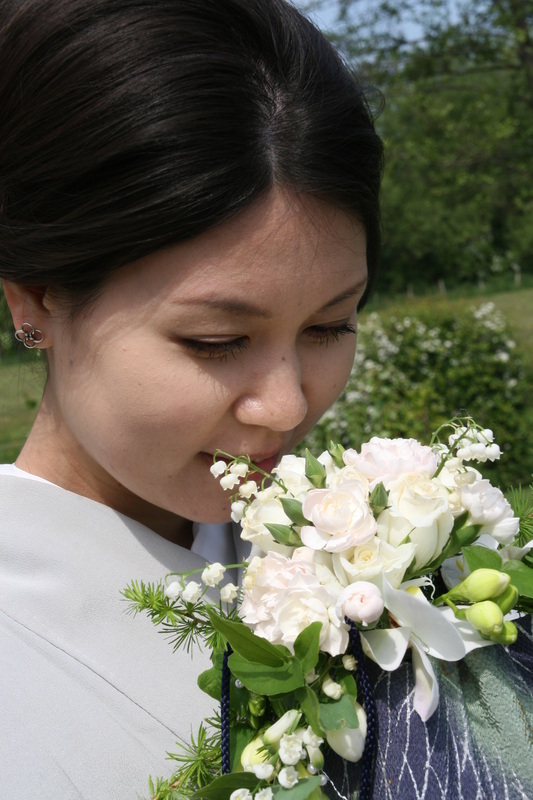 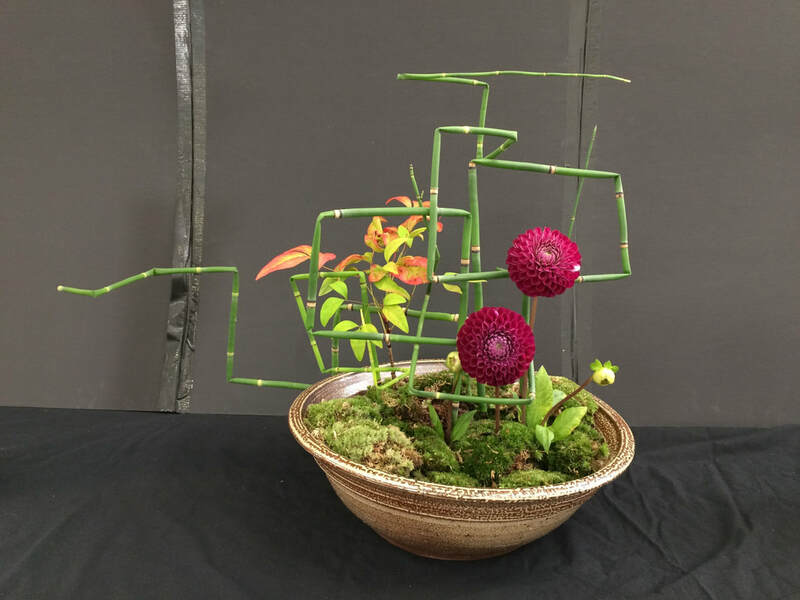 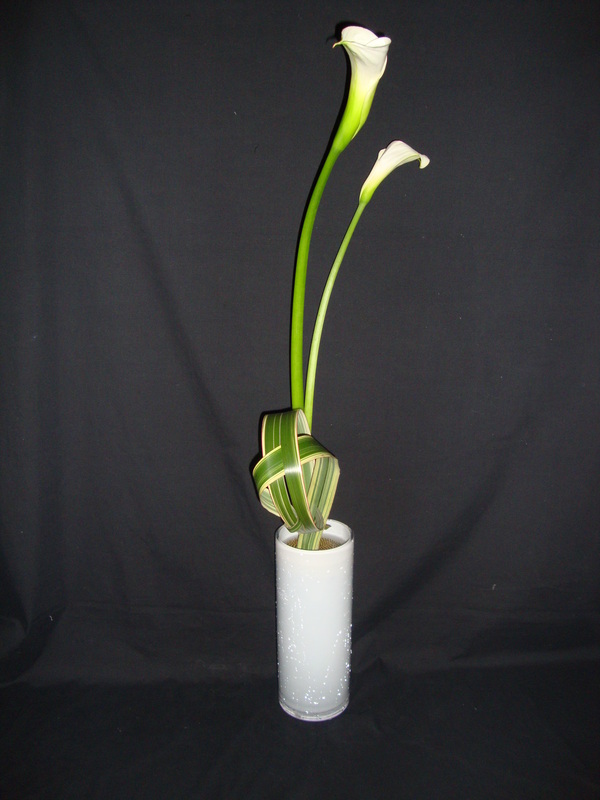 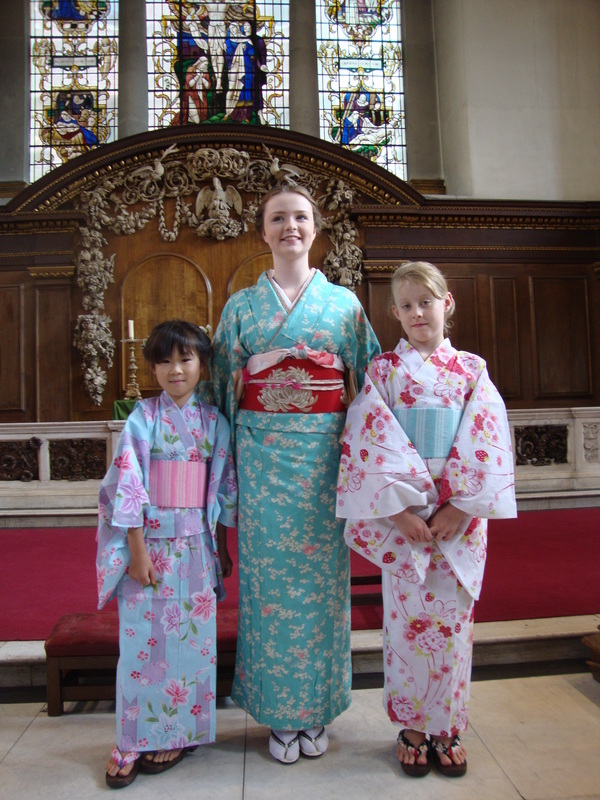 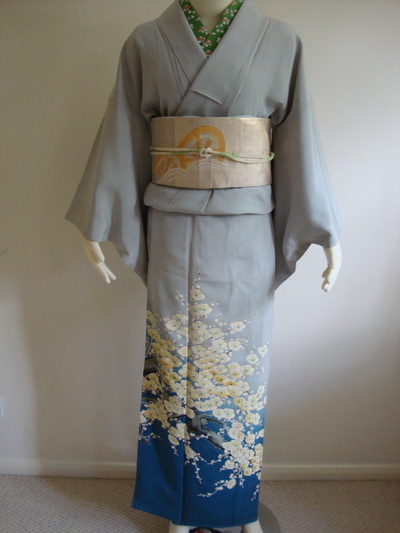 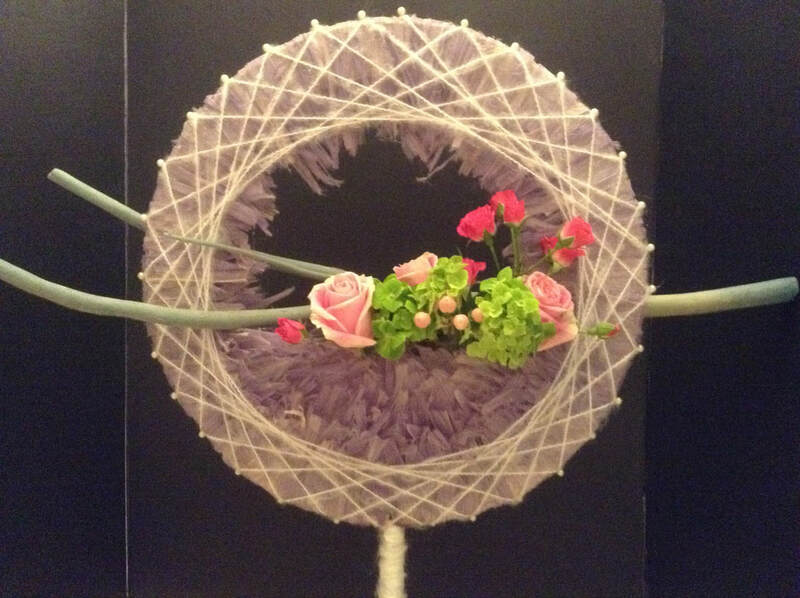 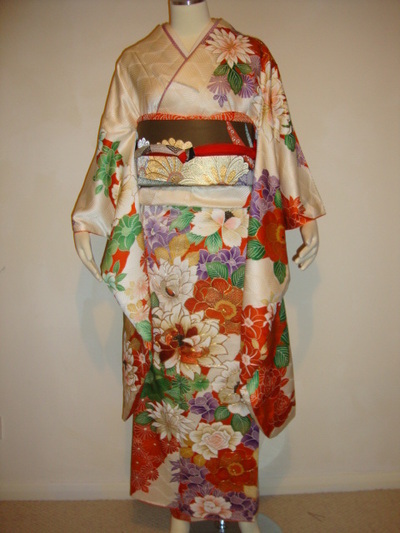 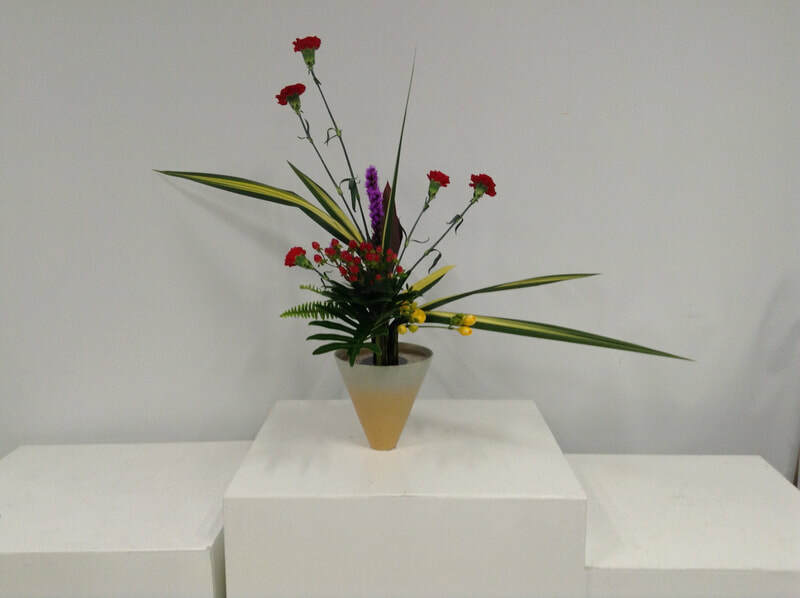 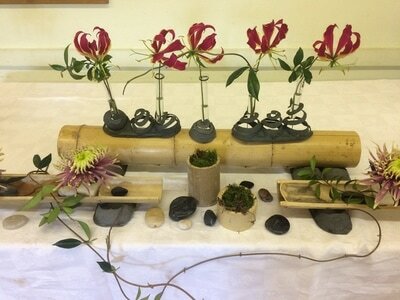 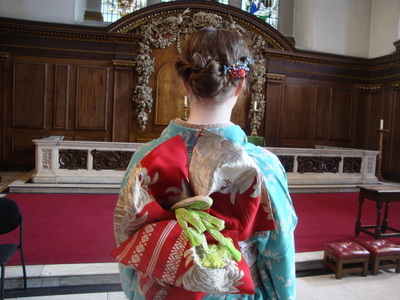 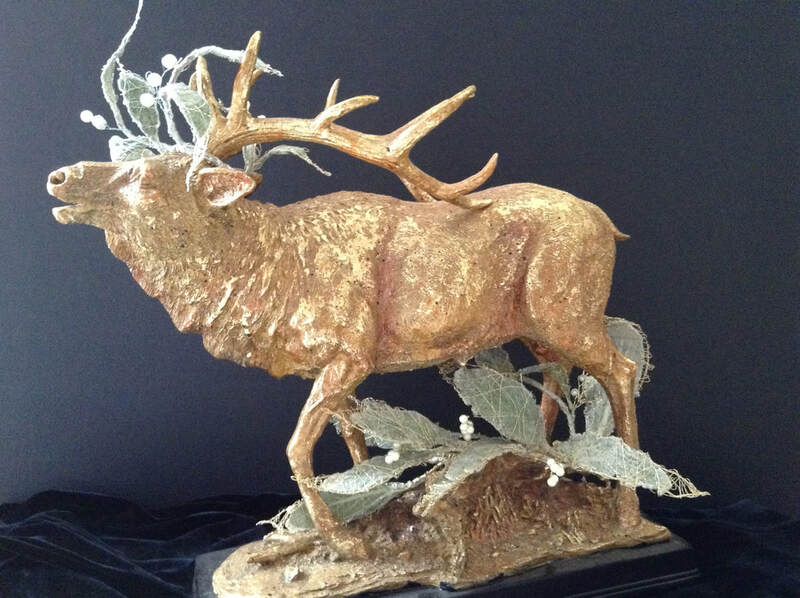 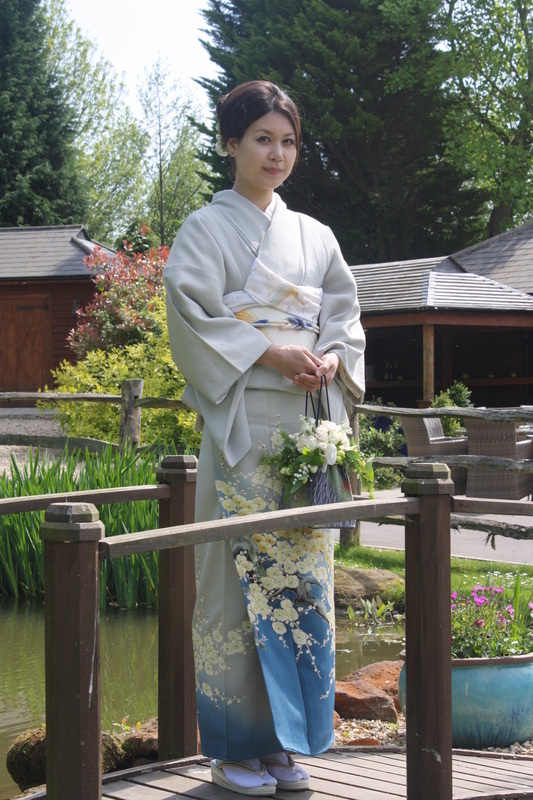 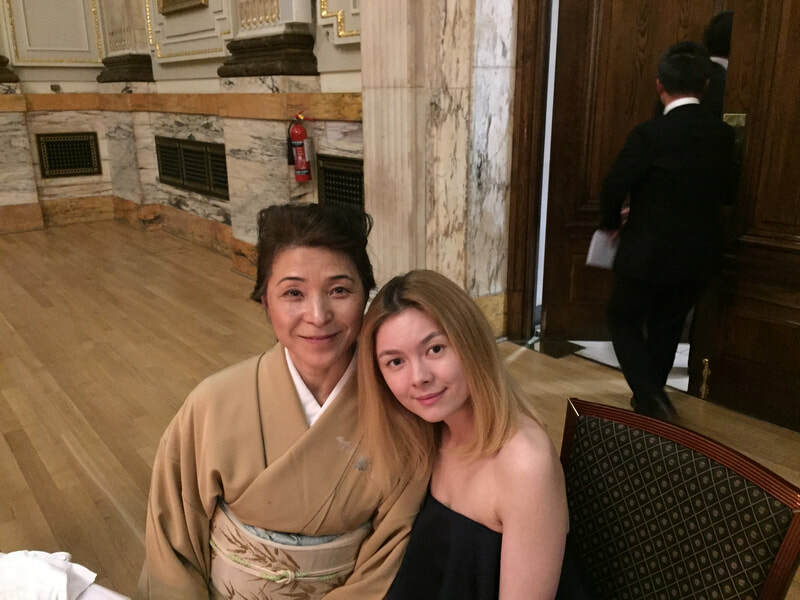 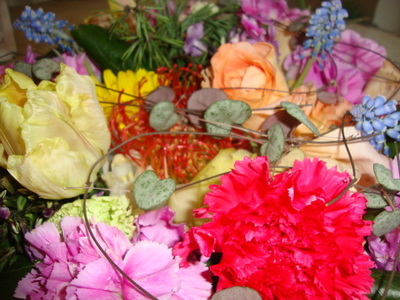 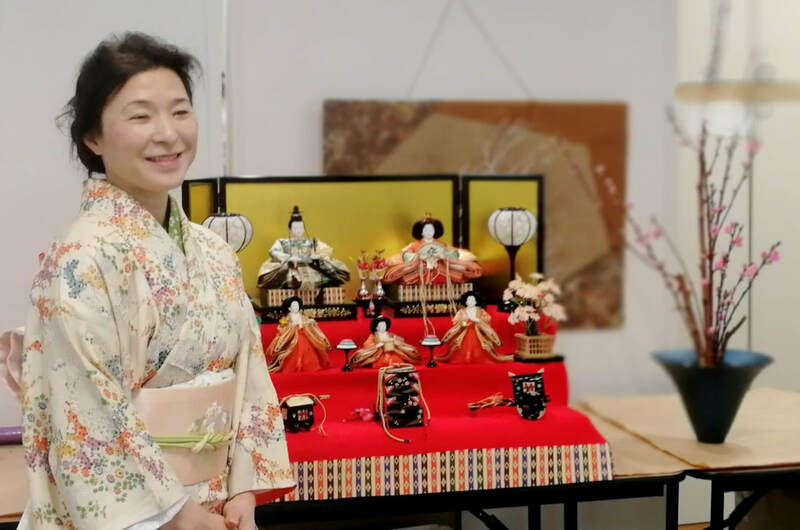 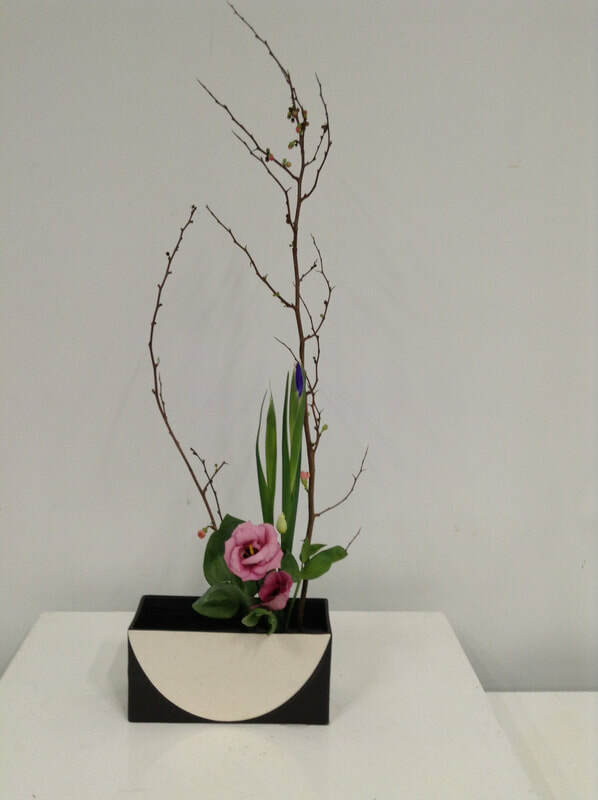 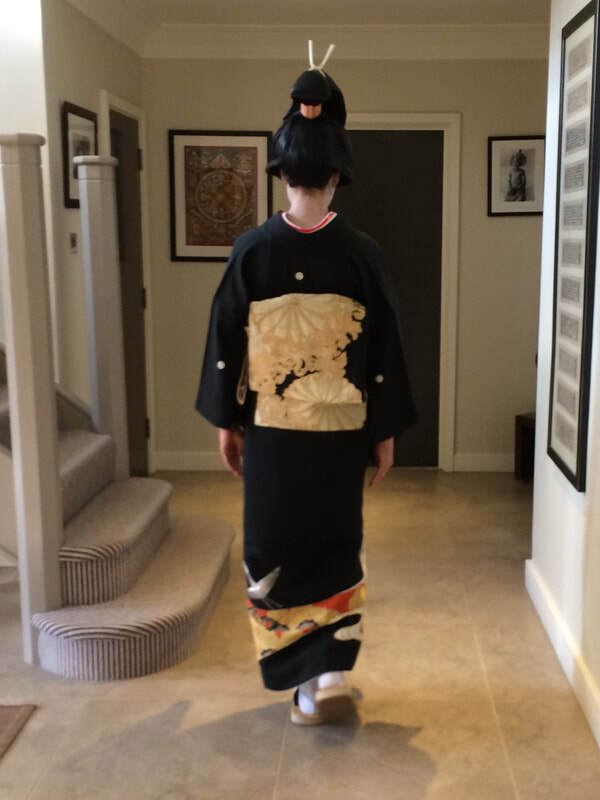 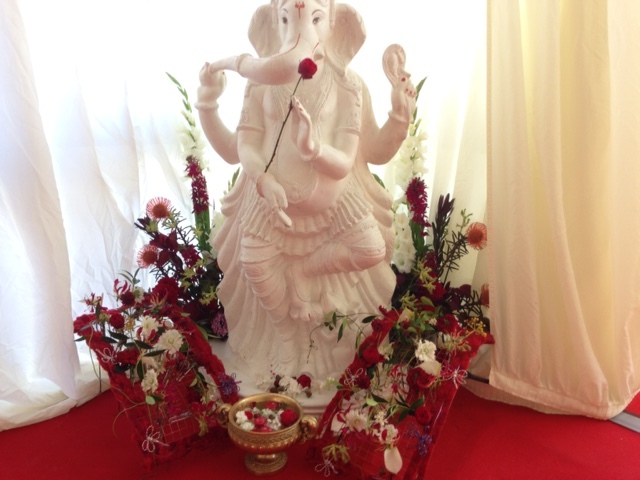 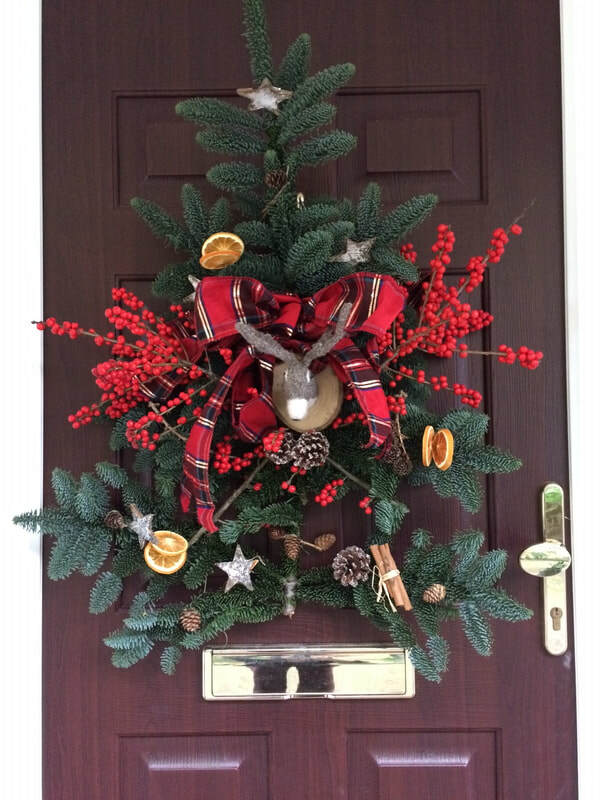 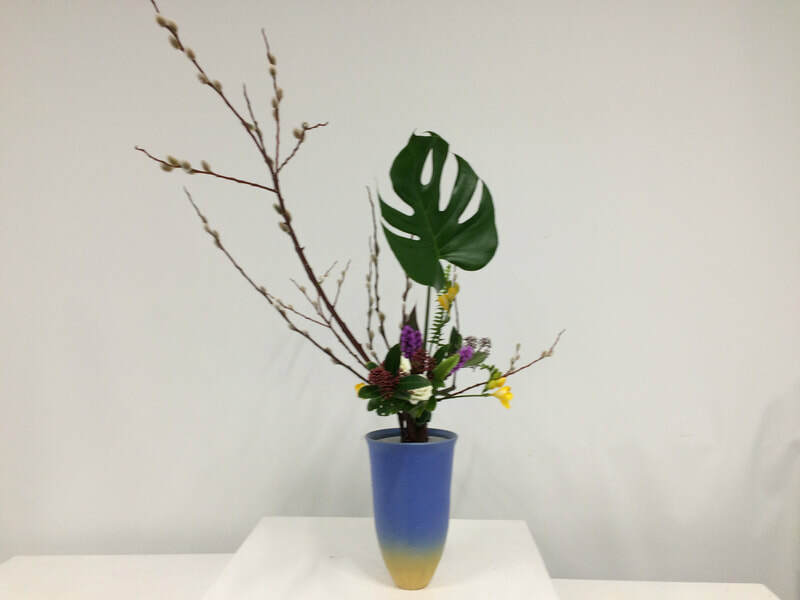 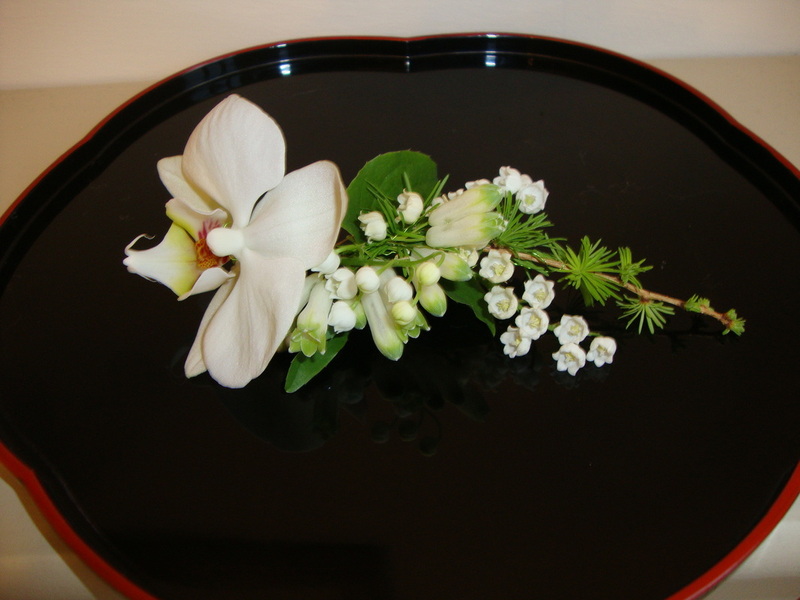 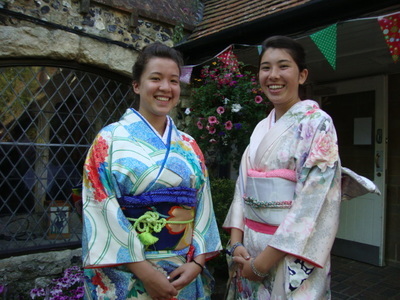 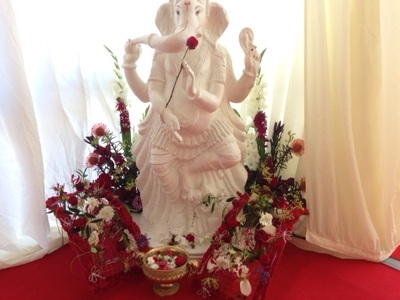 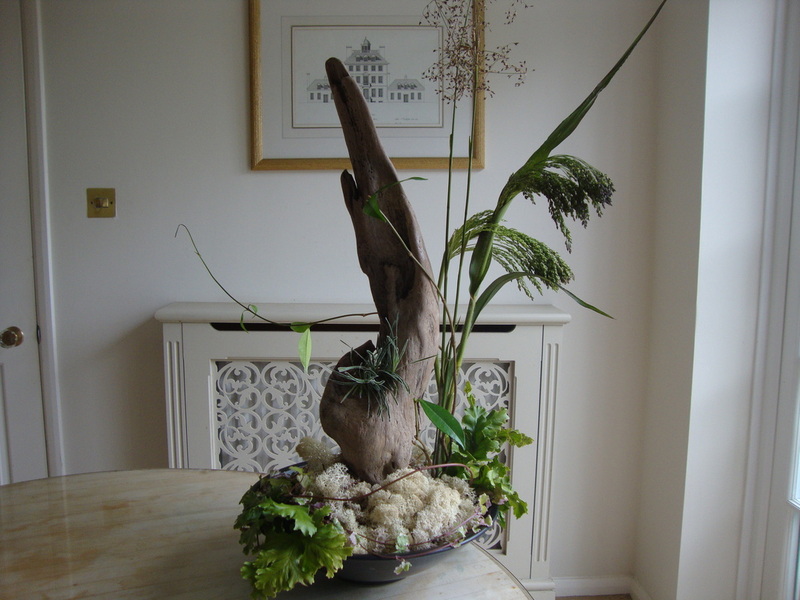 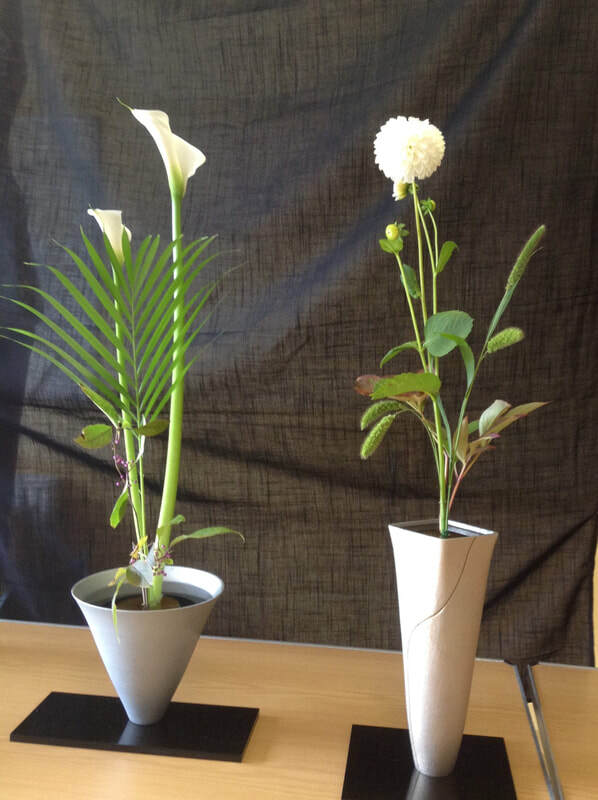 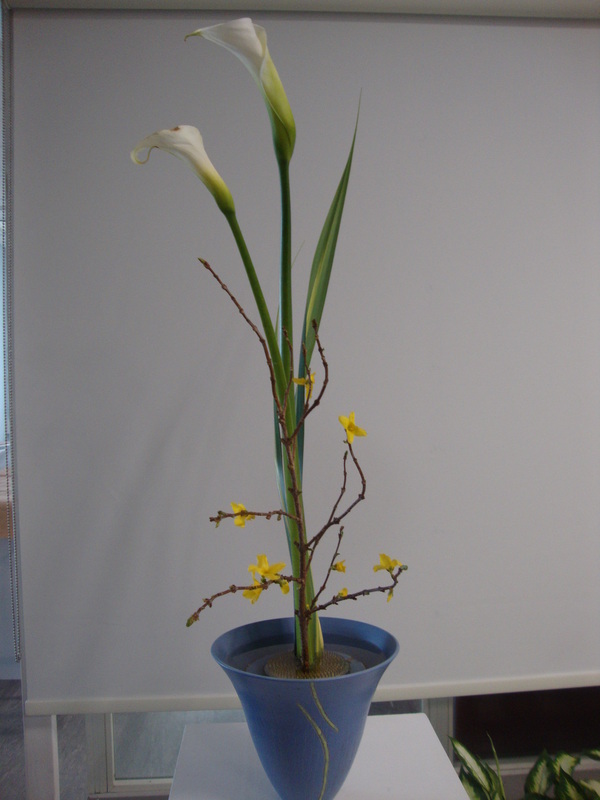 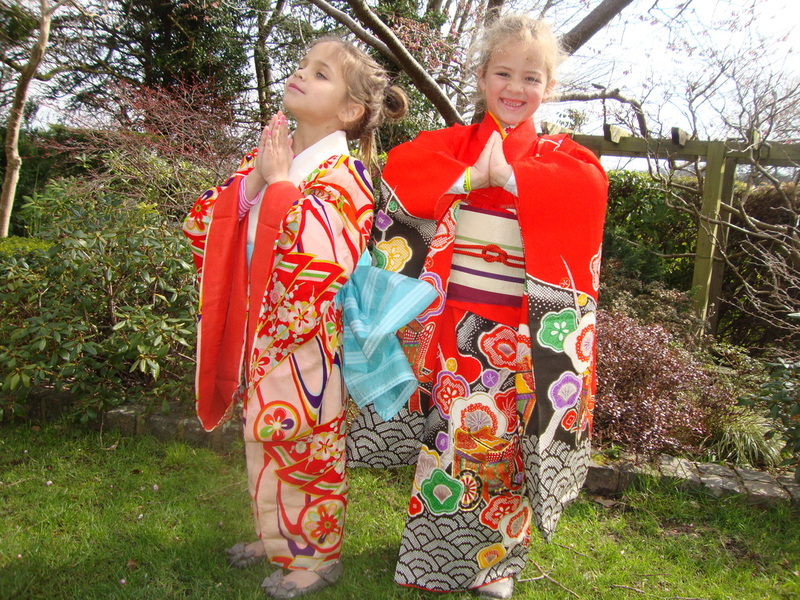 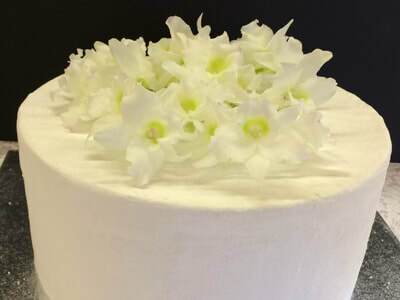 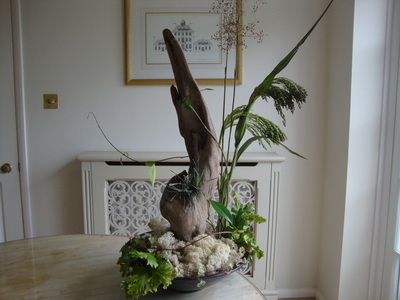 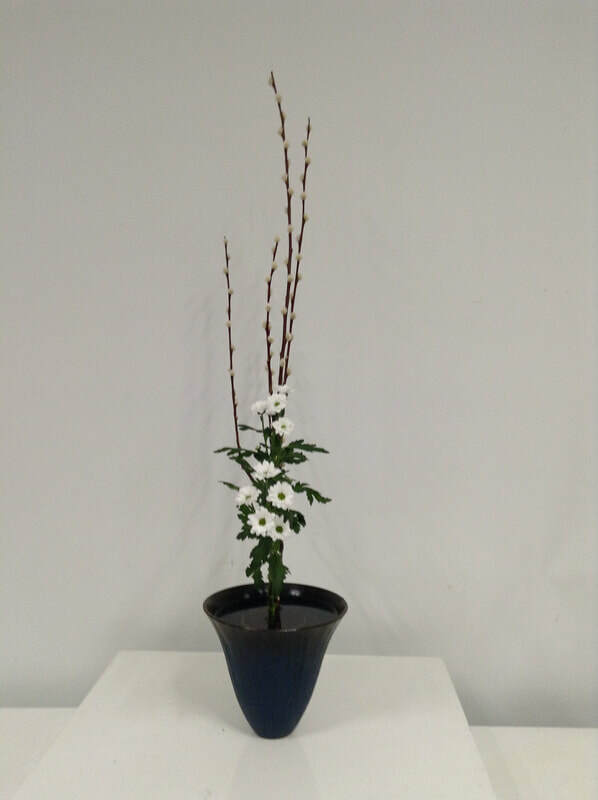 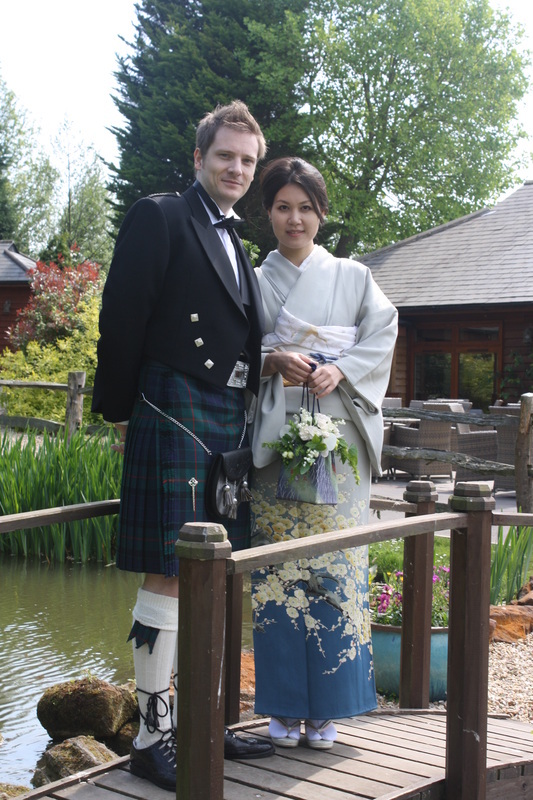 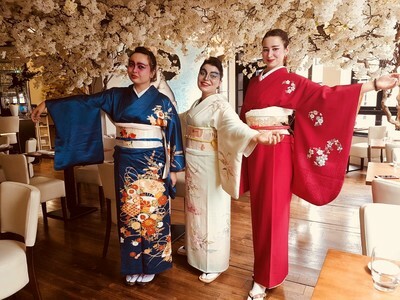 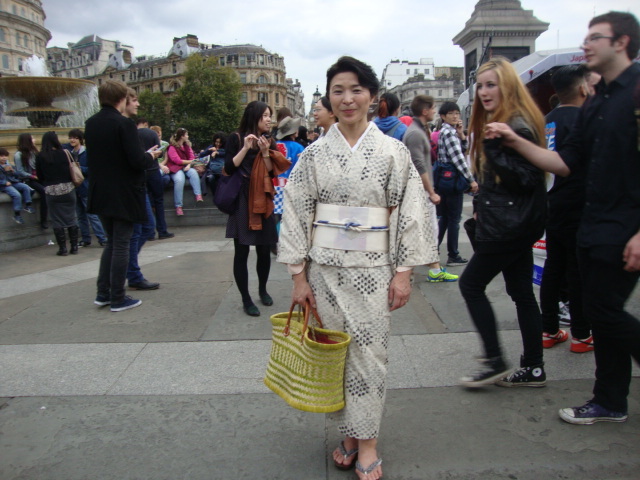 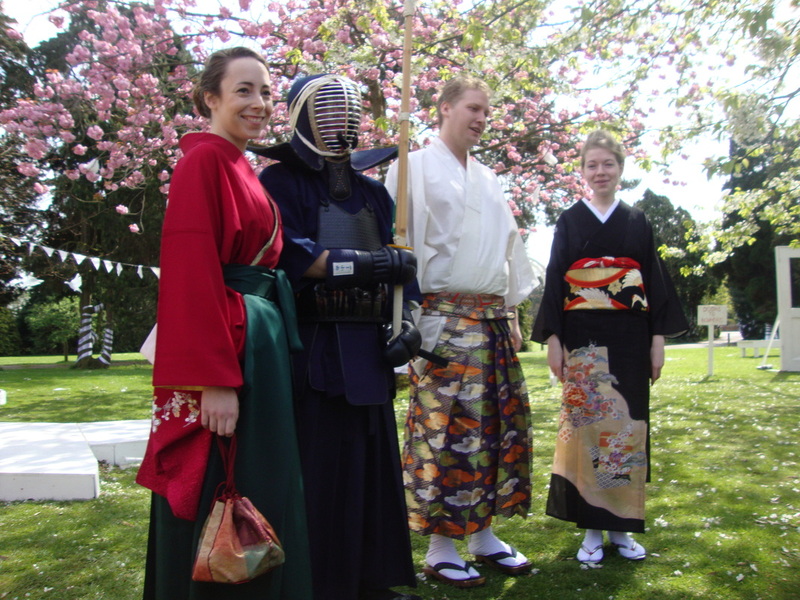 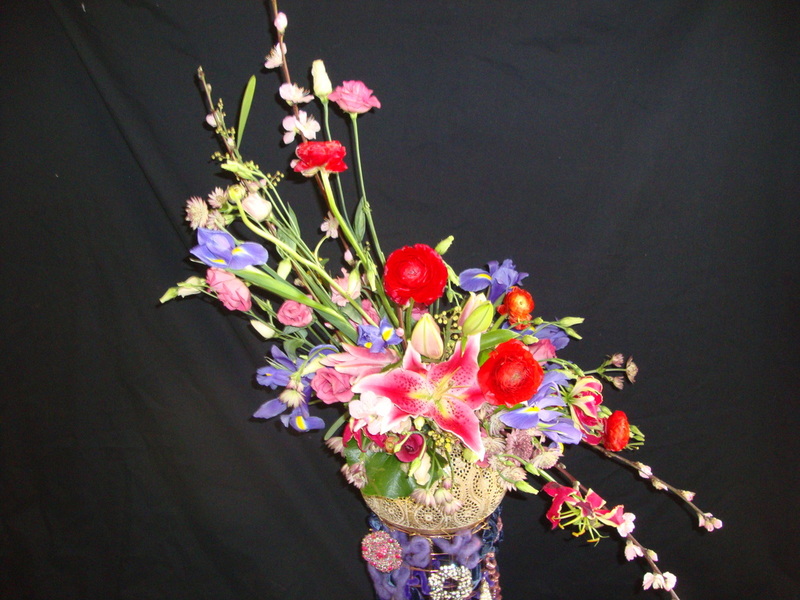 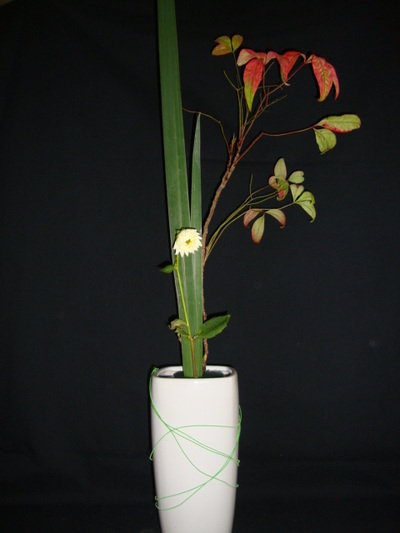 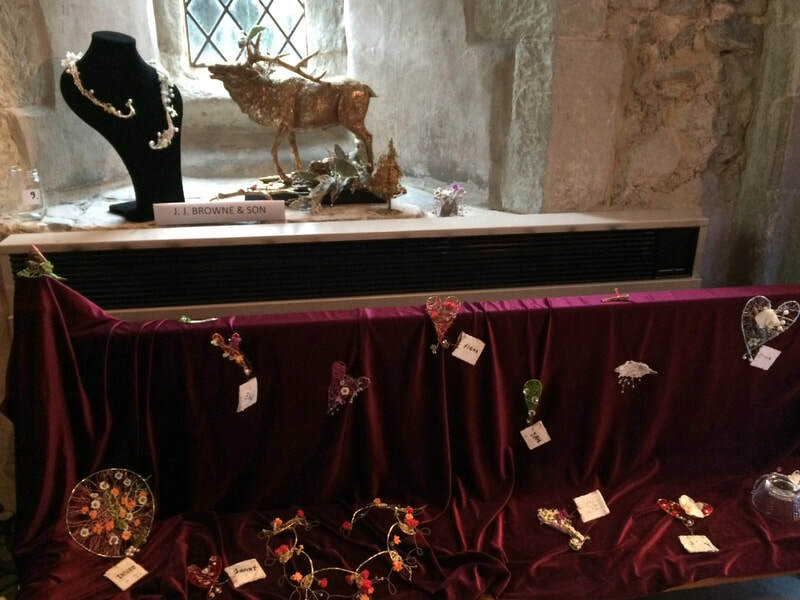 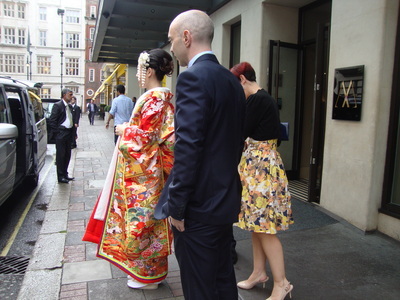 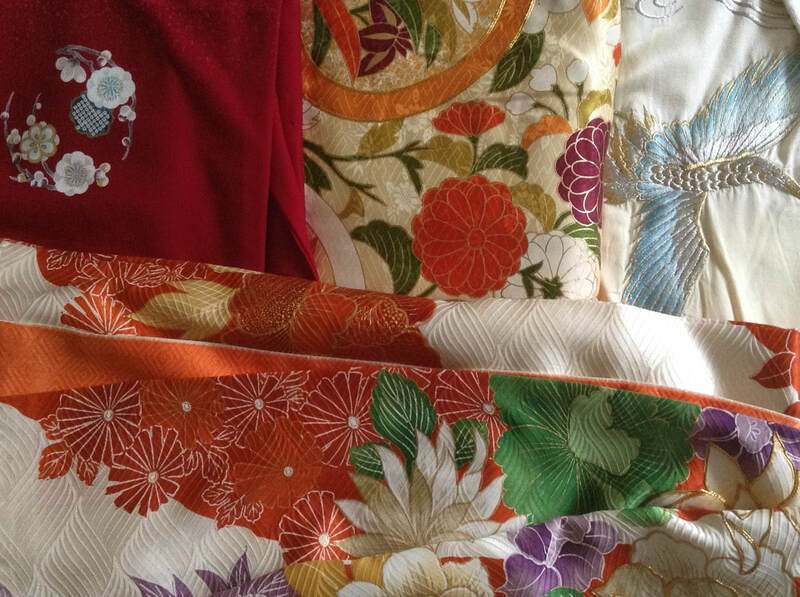 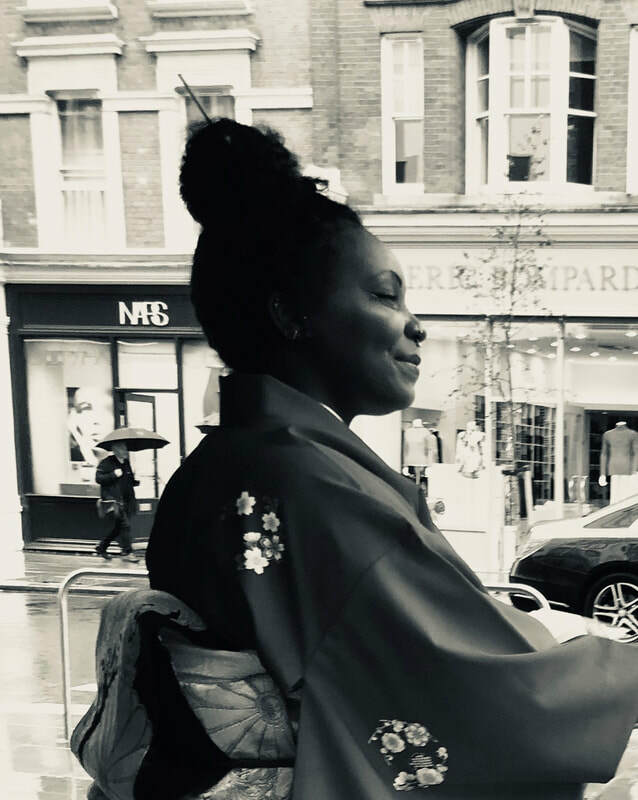 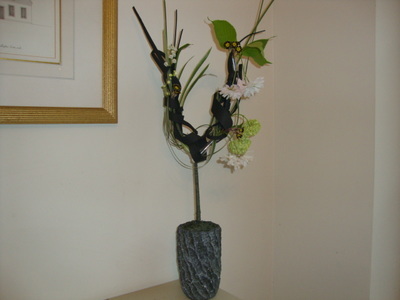 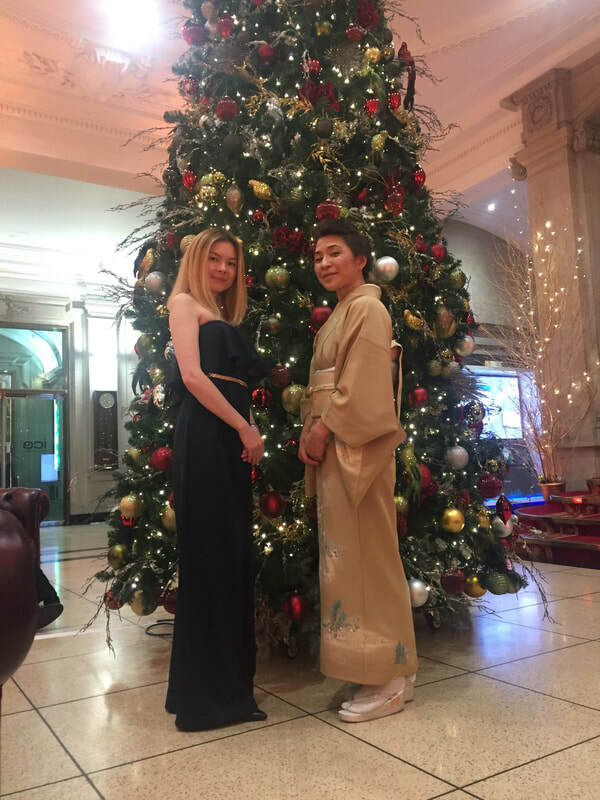 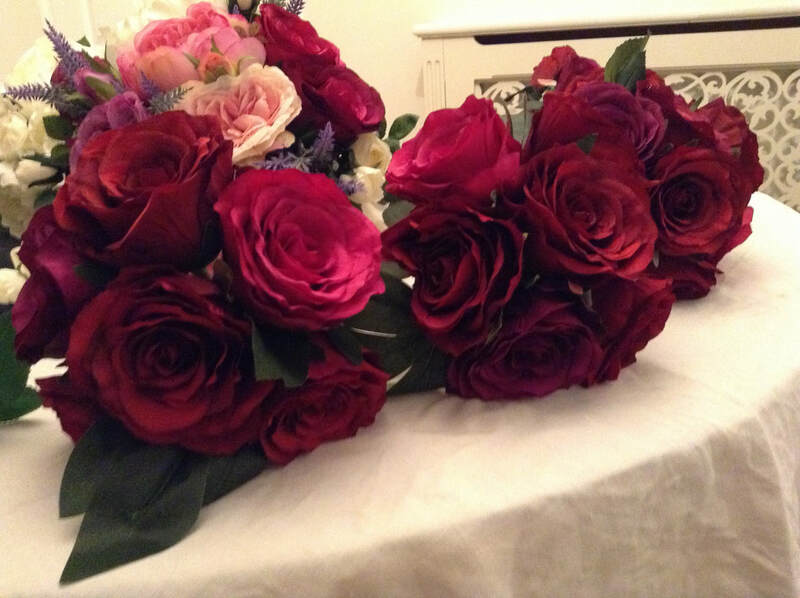 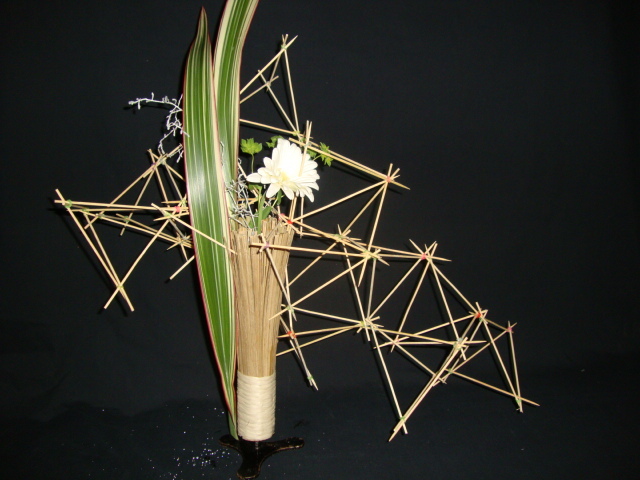 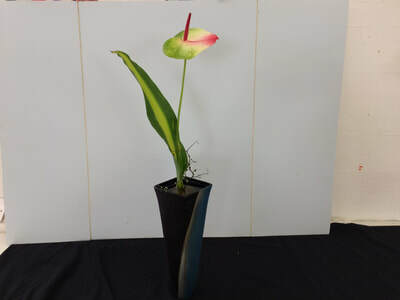 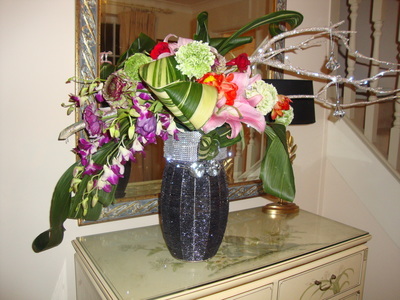 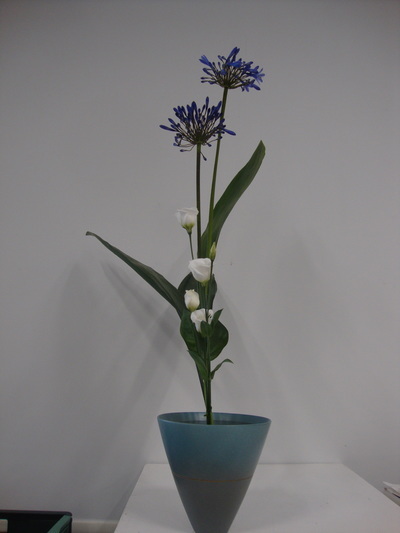 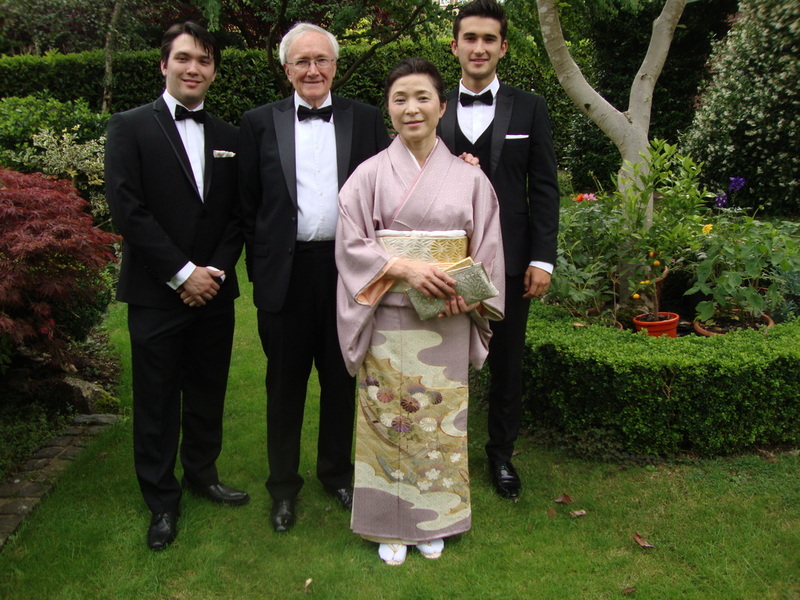 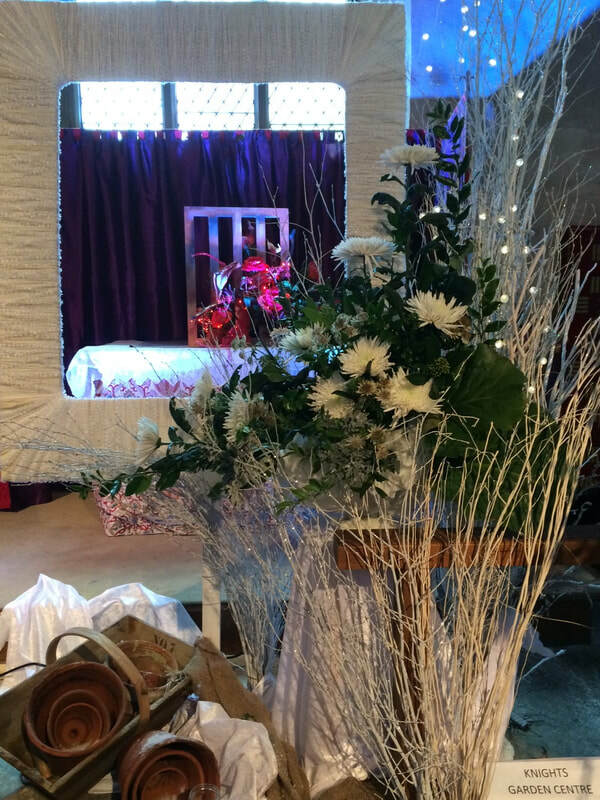 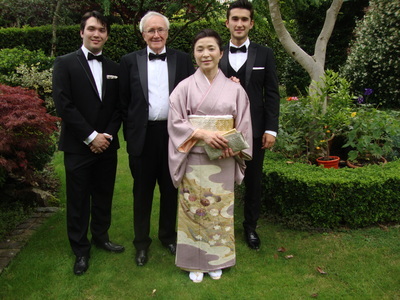 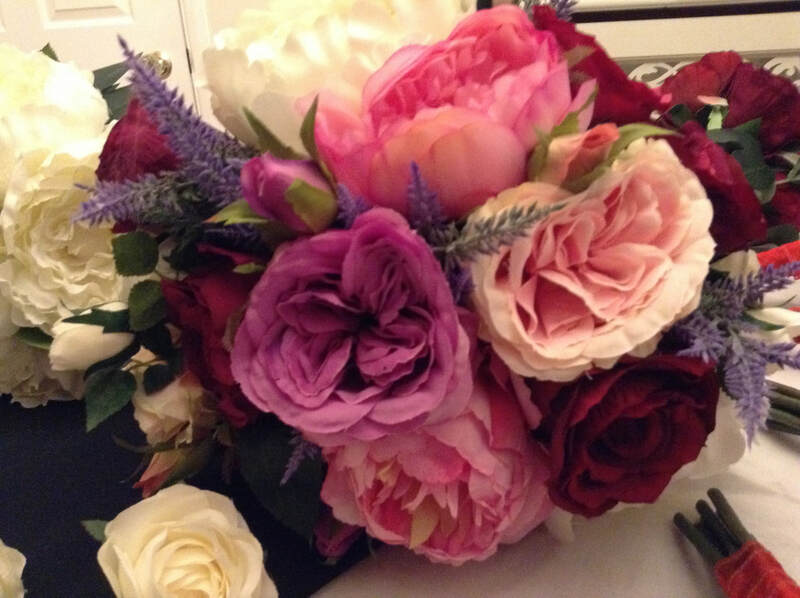 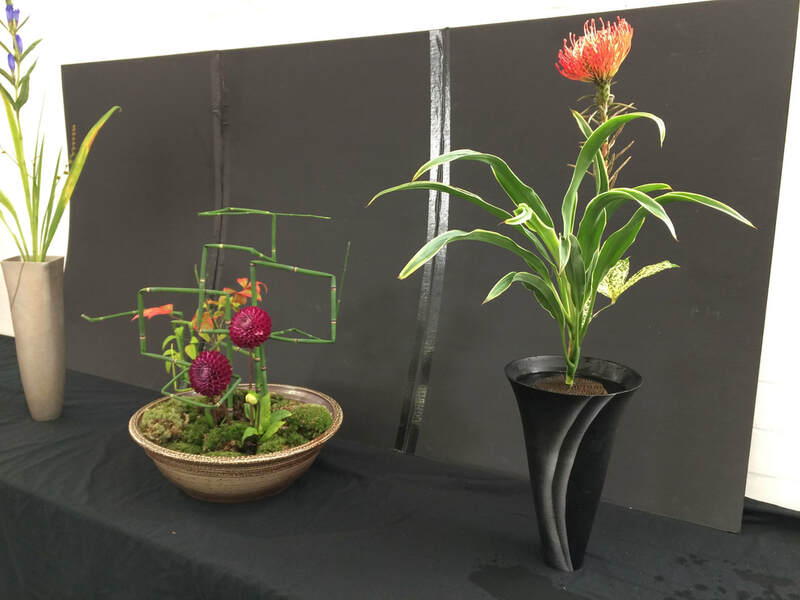 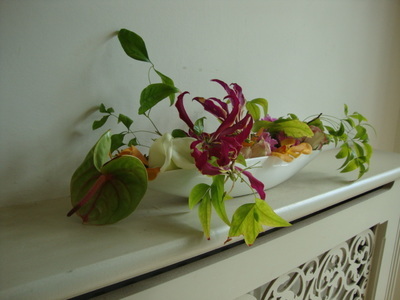 Welcome to Kimono and flowers - Japanese kimono to hire, rental or buy, London, Japanese wedding, events, Ikebana, musical instruments and stage props. 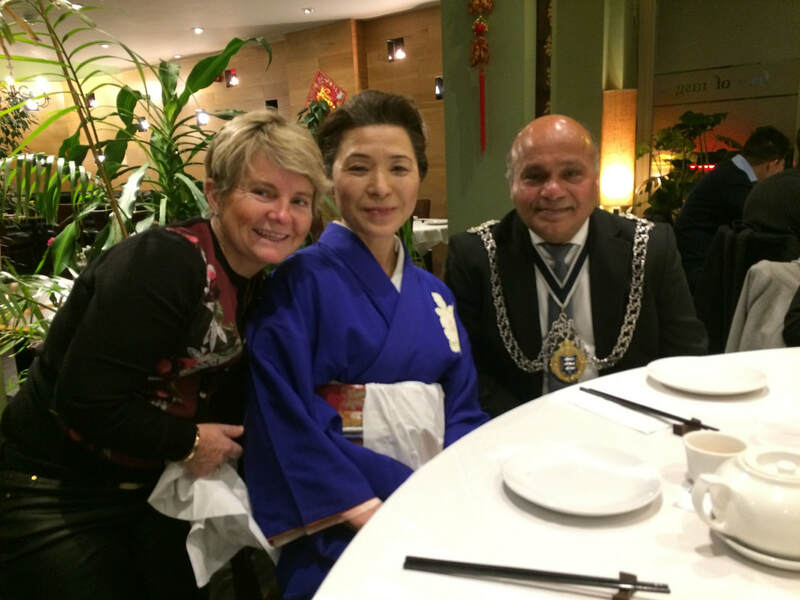 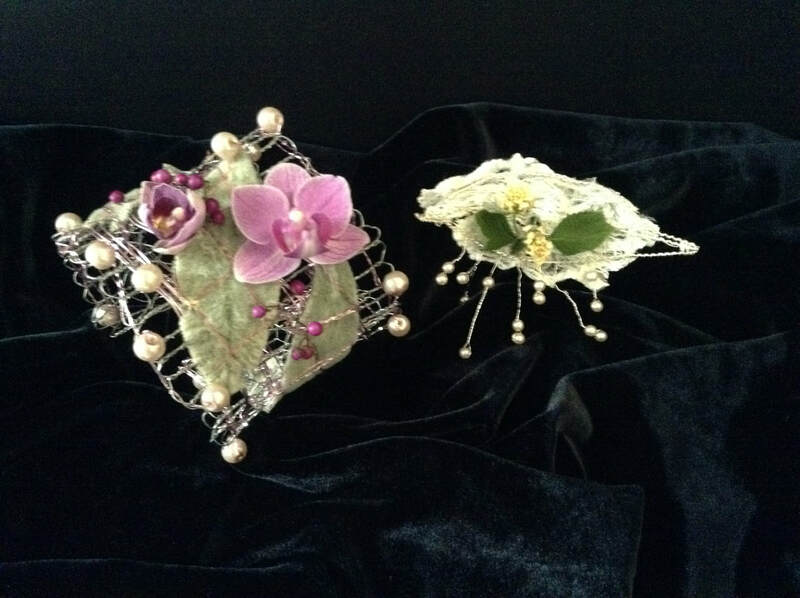 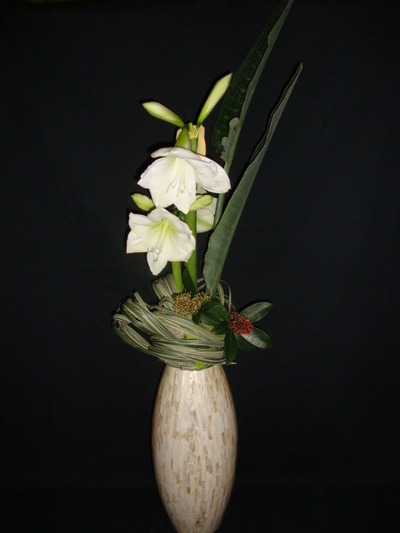 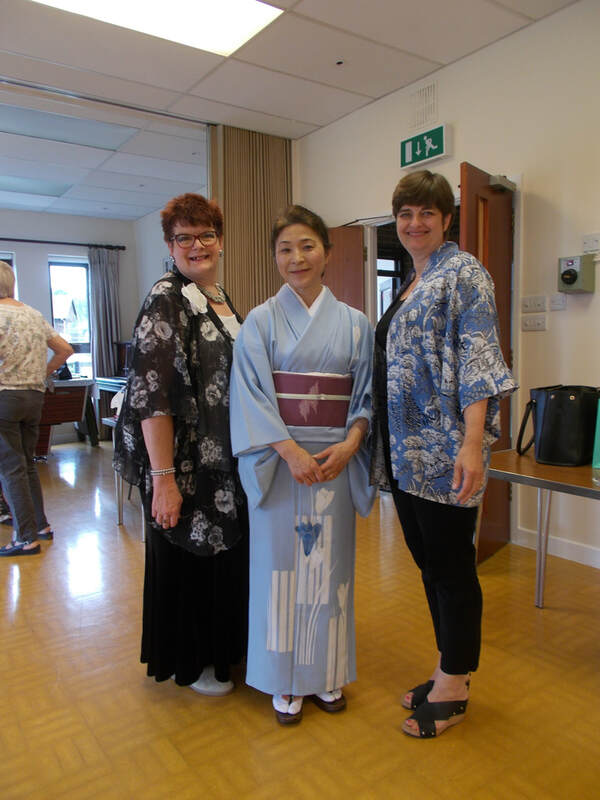 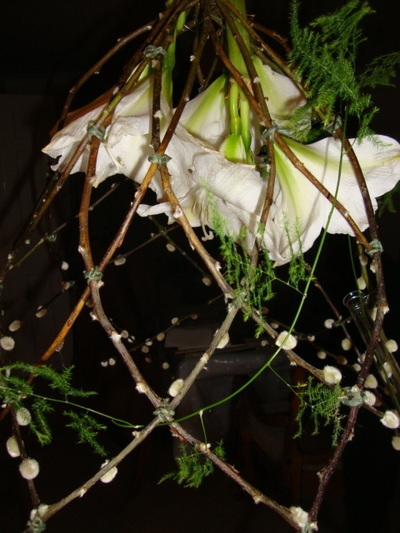 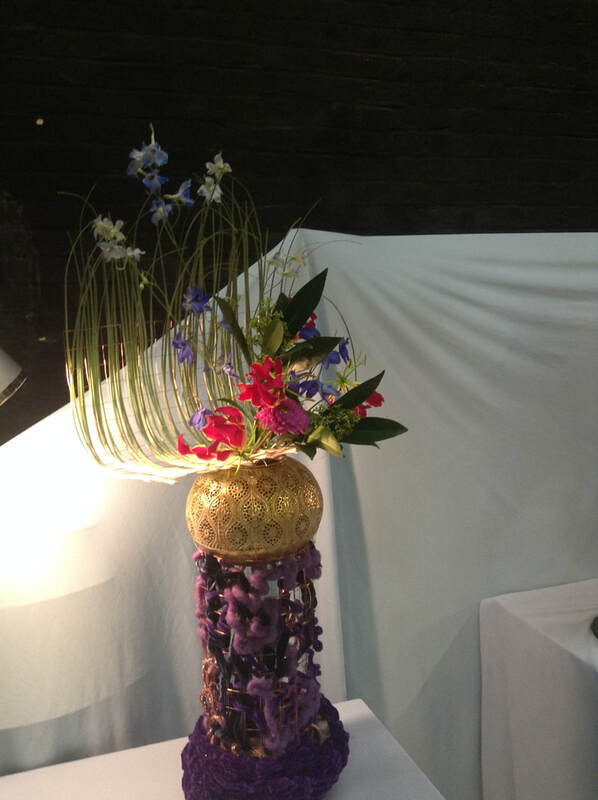 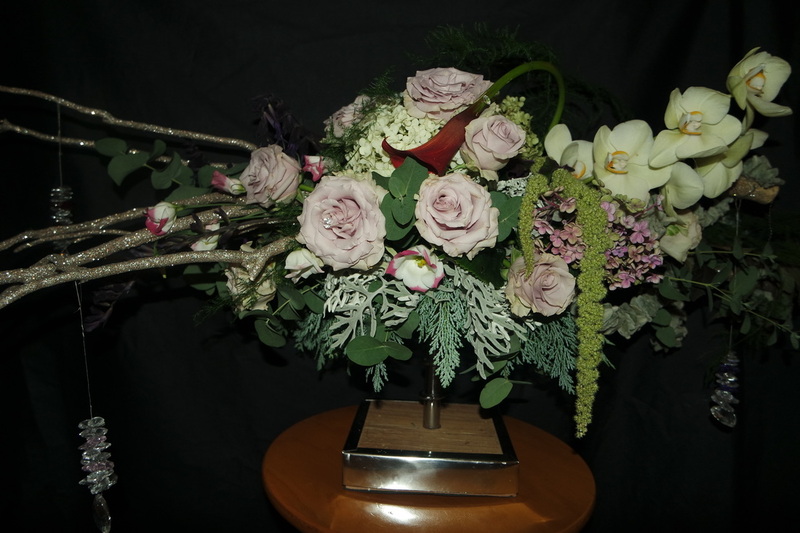 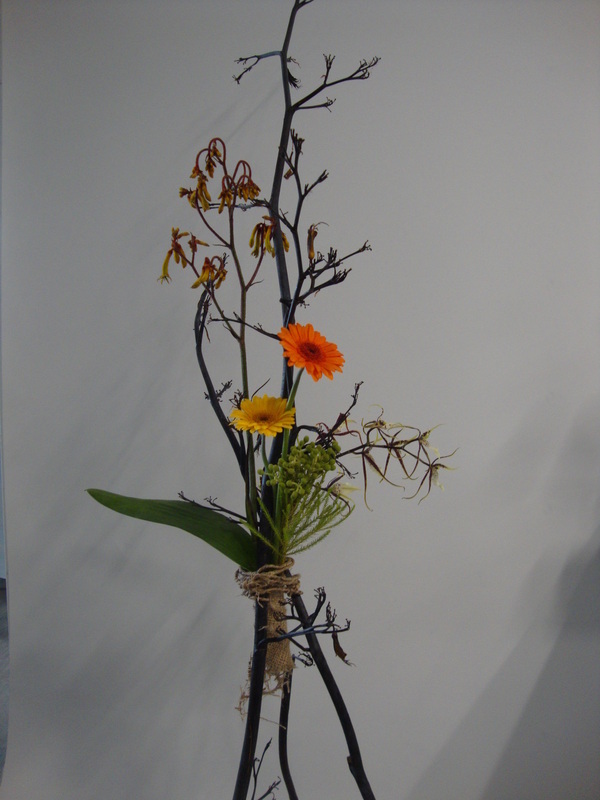 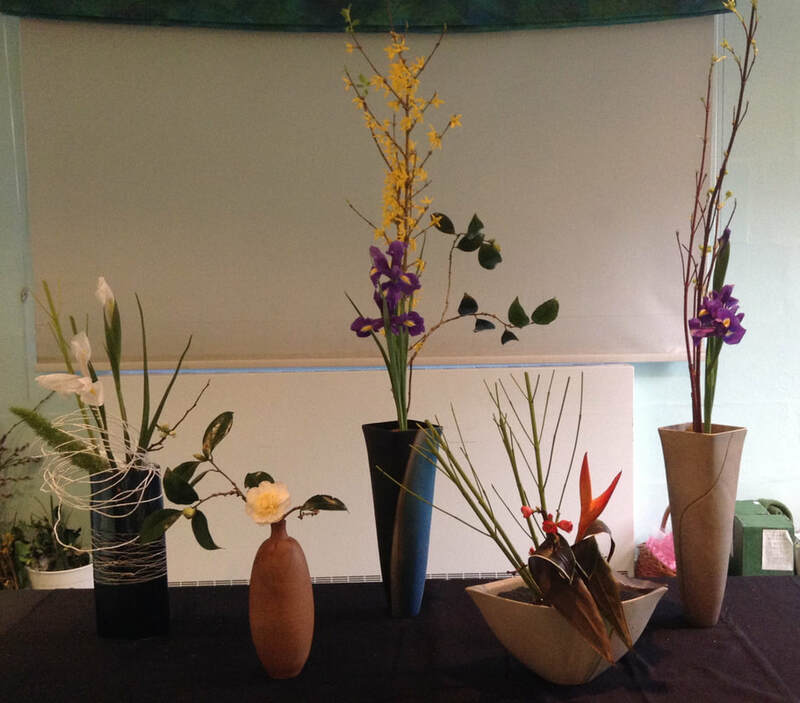 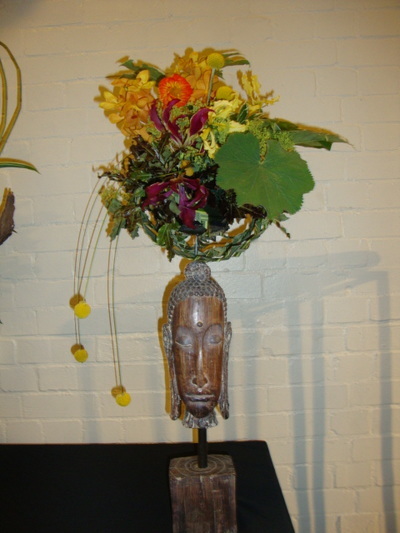 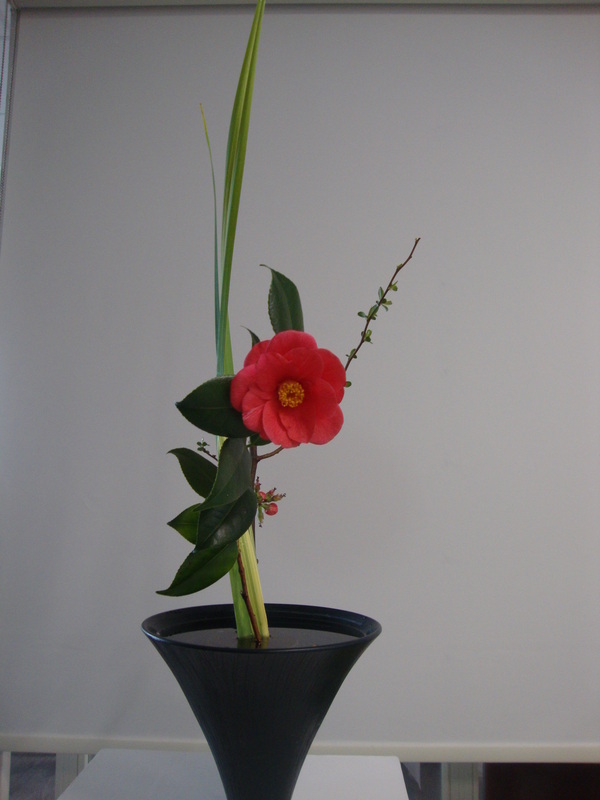 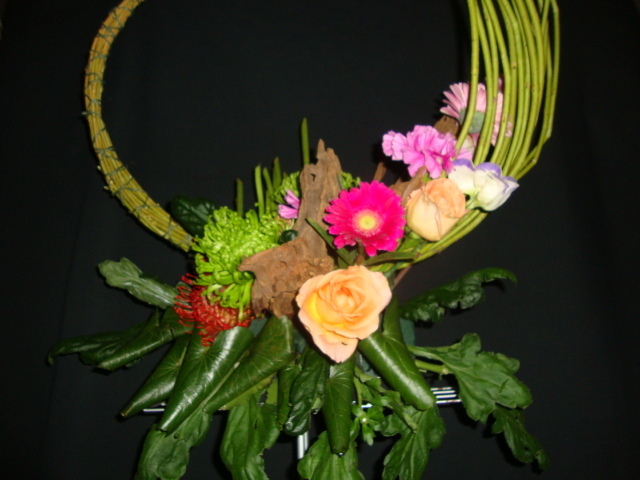 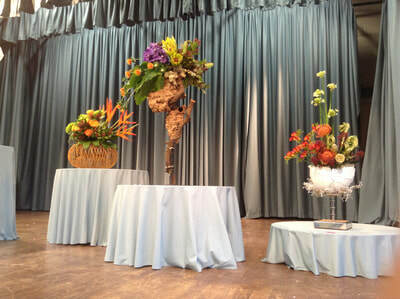 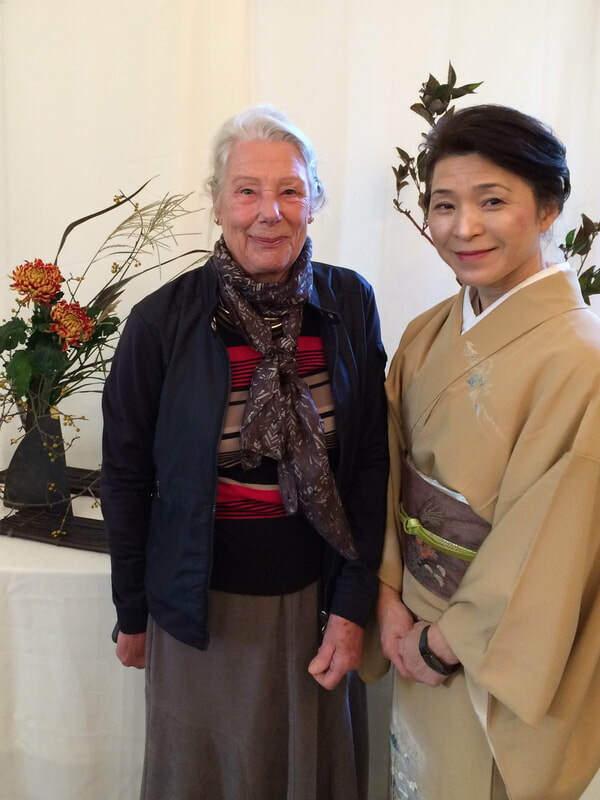 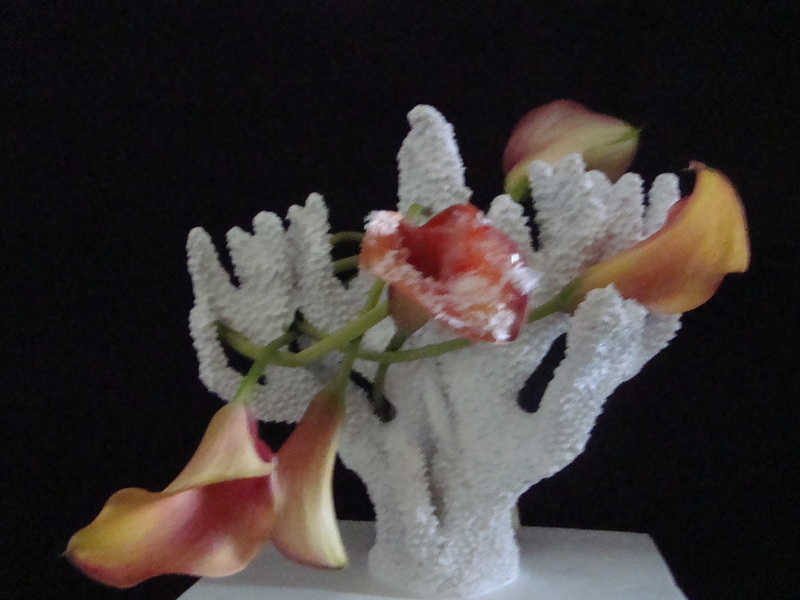 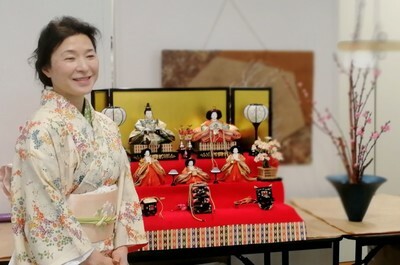 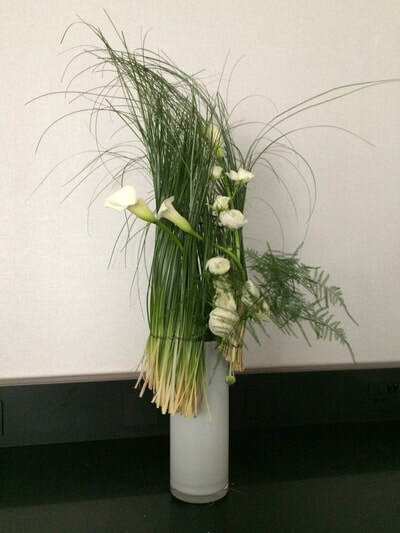 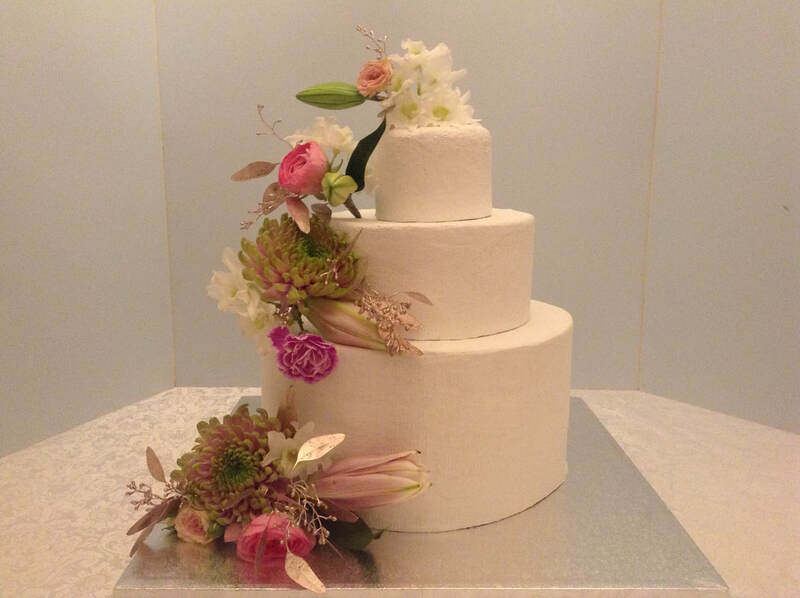 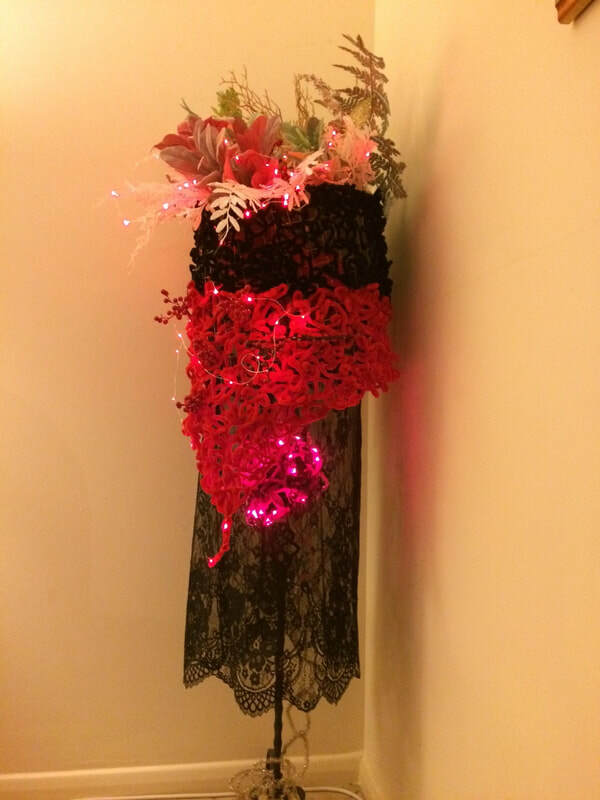 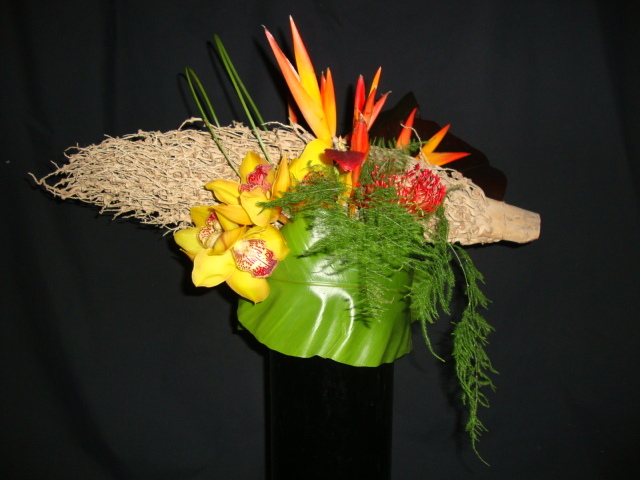 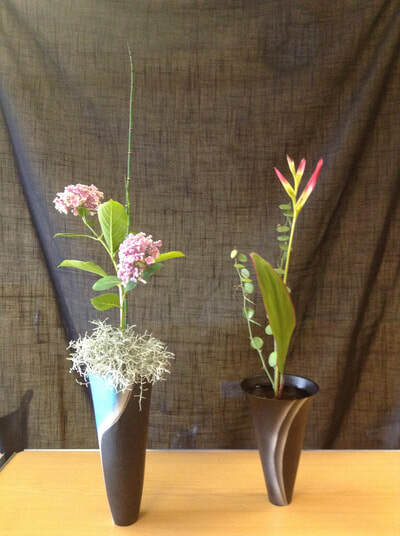 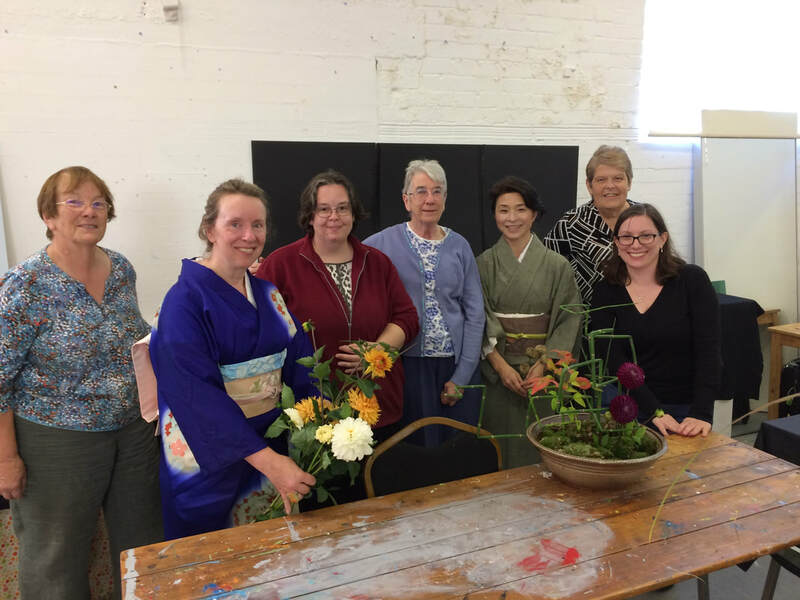 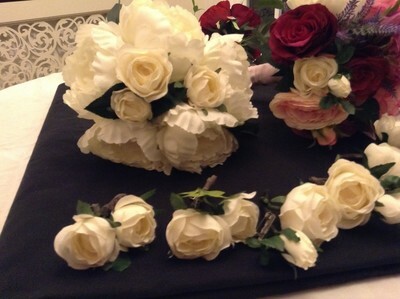 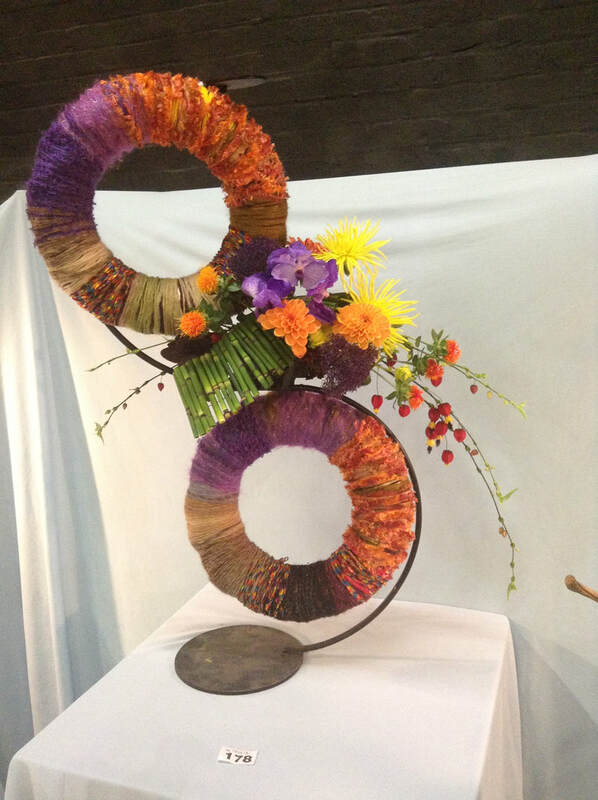 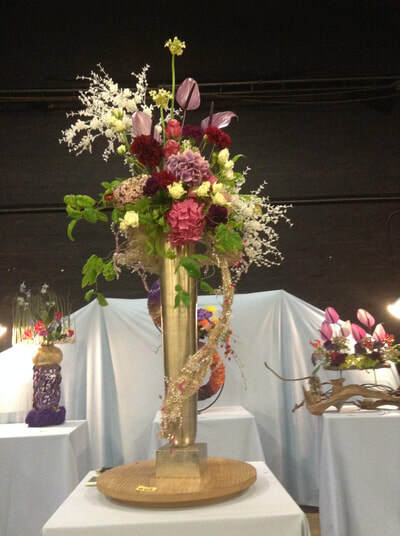 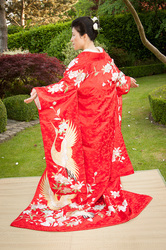 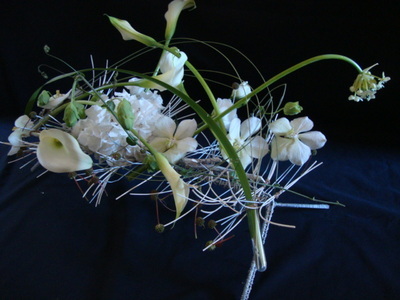 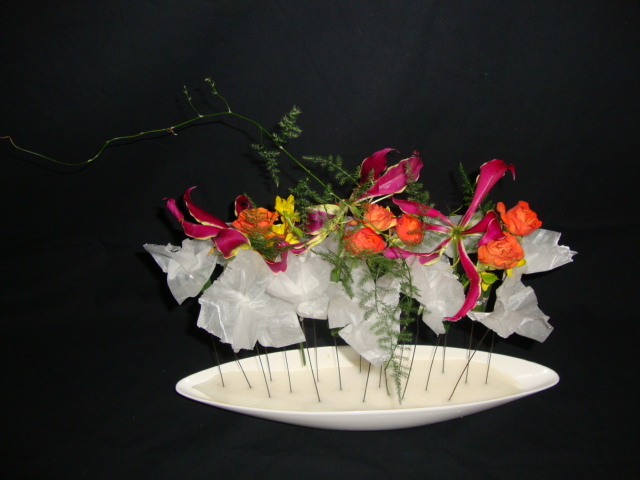 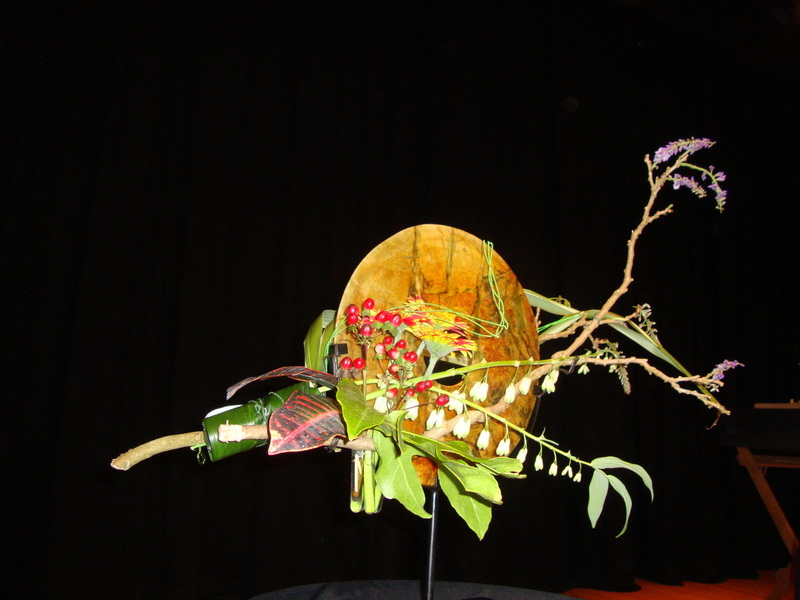 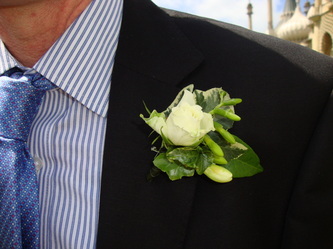 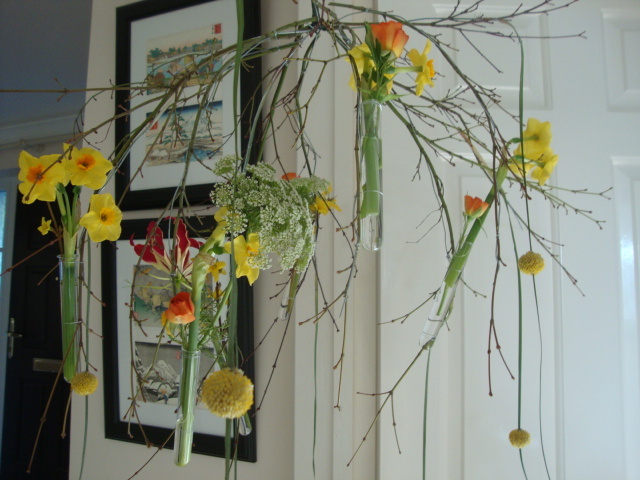 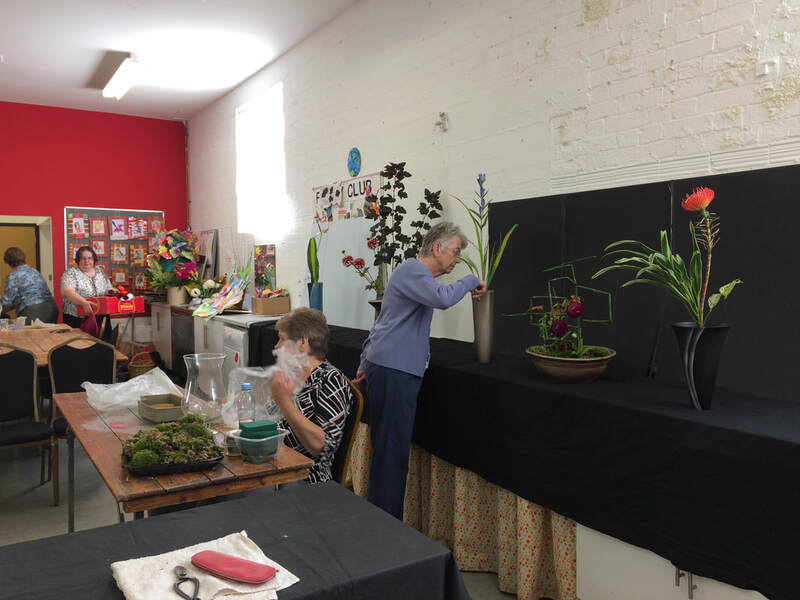 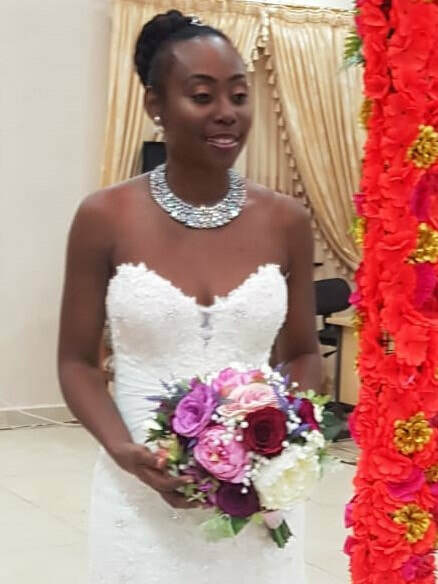 Kimono rental, Ikebana, Japanese wedding and floral flair. 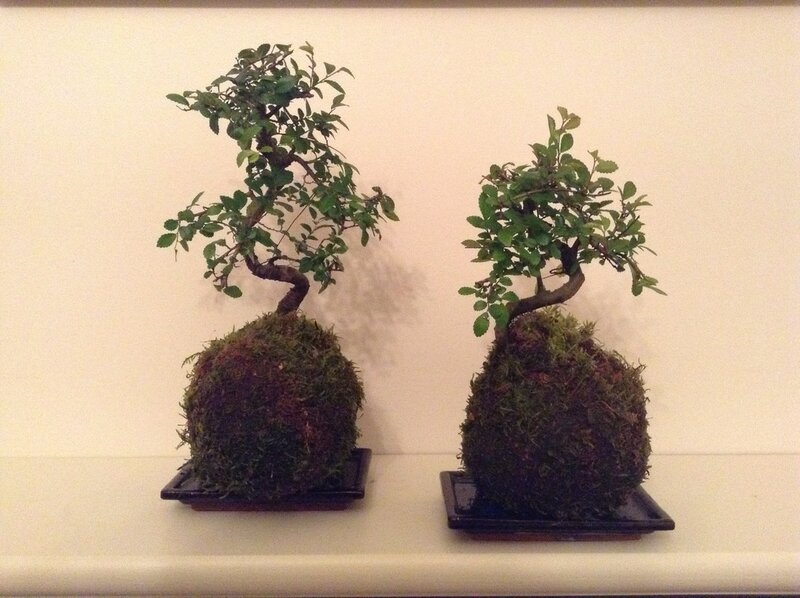 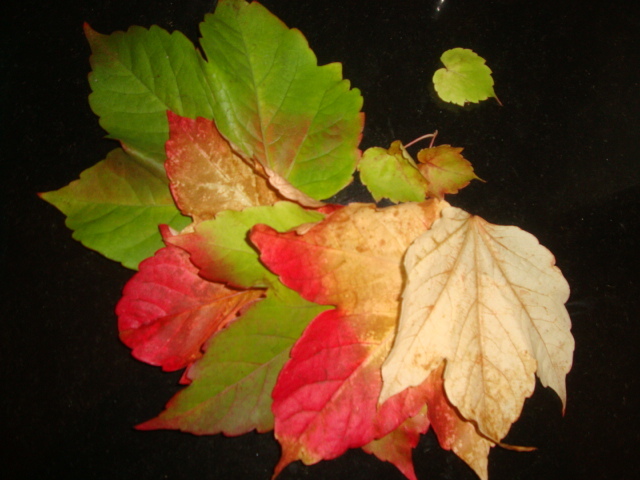 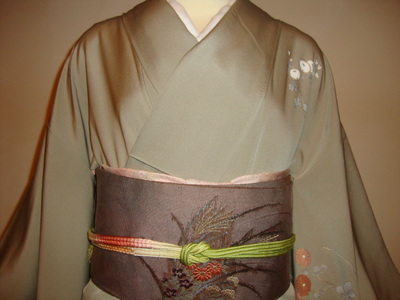 Andonbakama and Kurume kasuri in apricot colour. 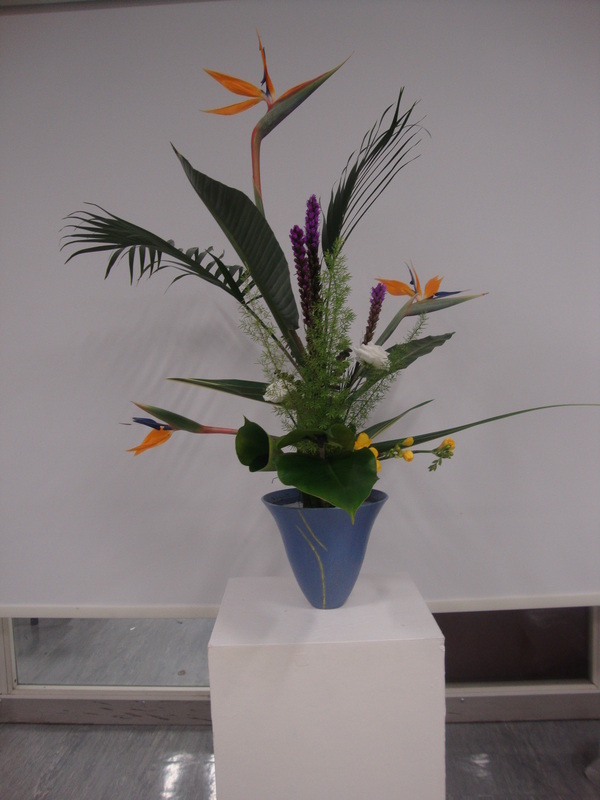 It is light summer material. 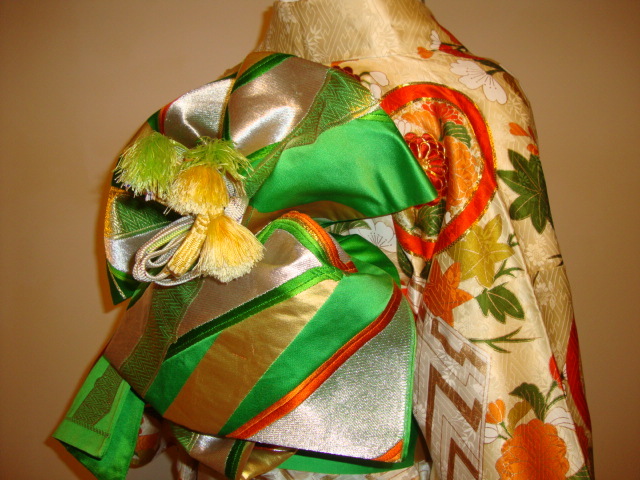 Date-eri is a reversible sakura pattern in green and pink. 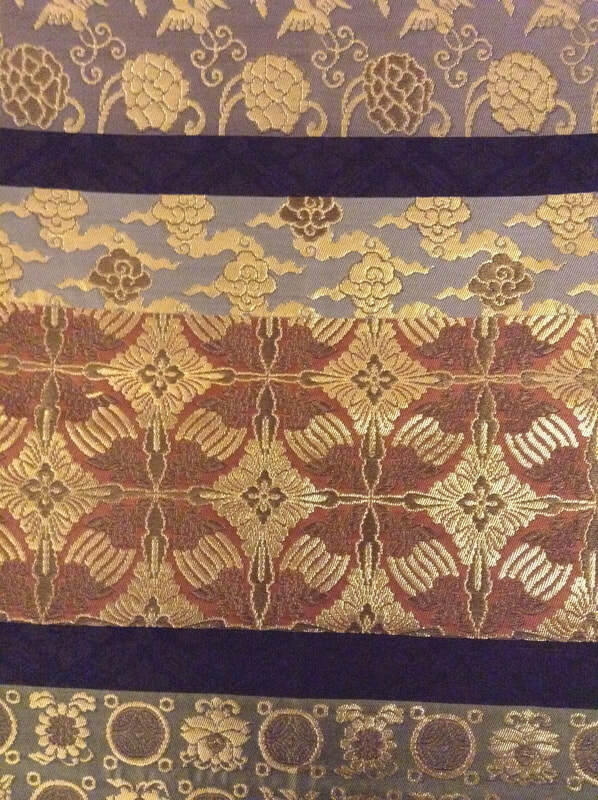 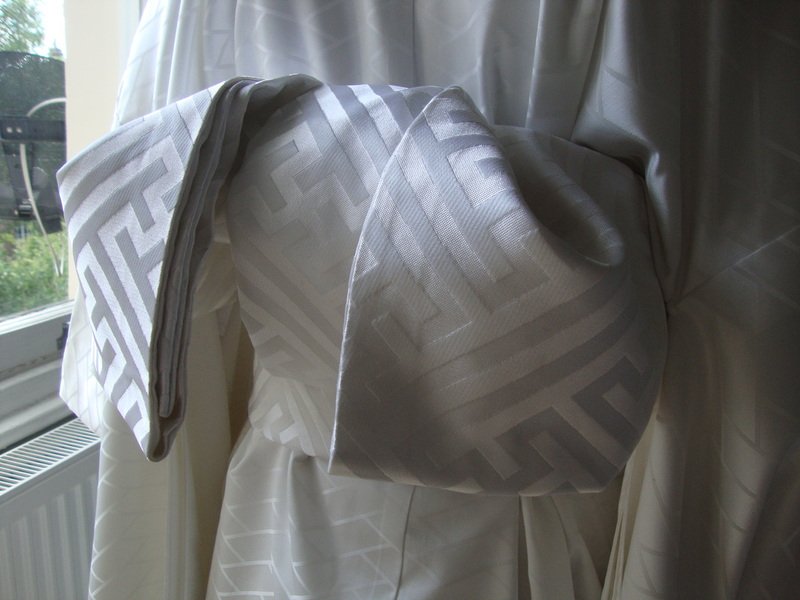 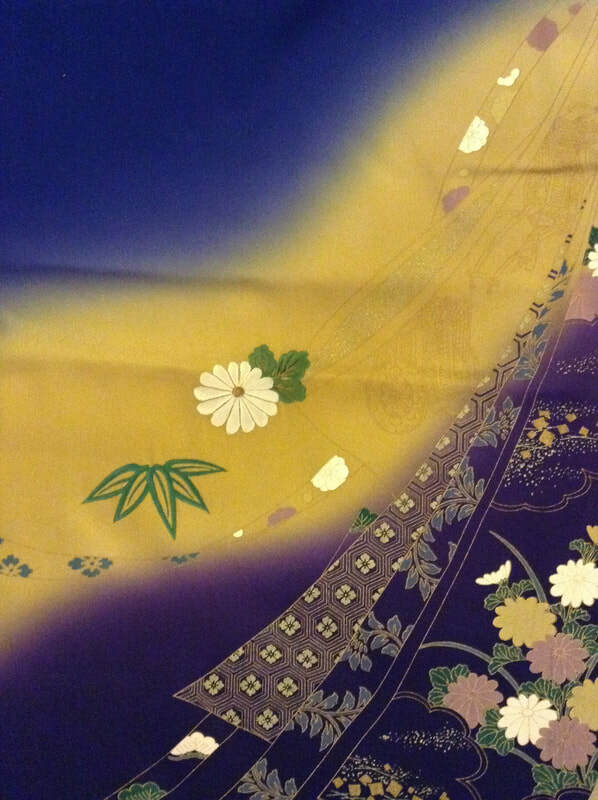 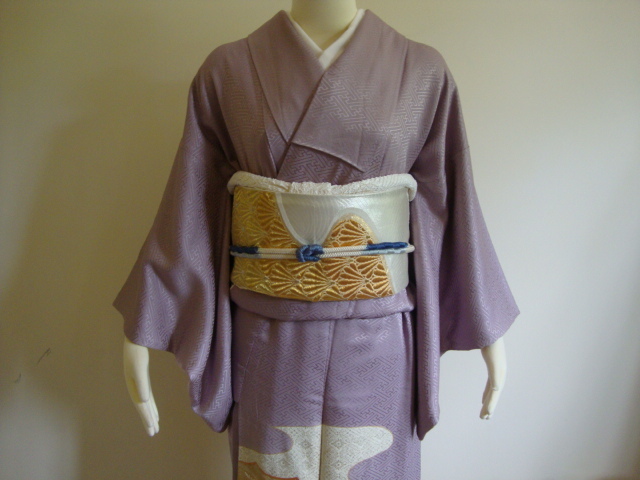 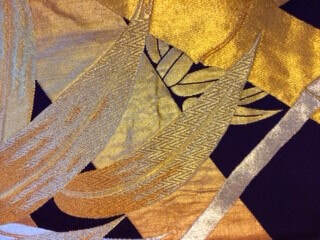 The half obi is a Hakata blue line pattern. 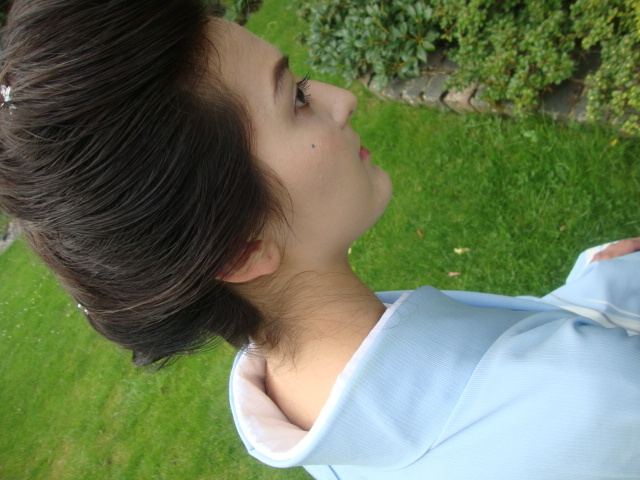 This style is from Meiji period. 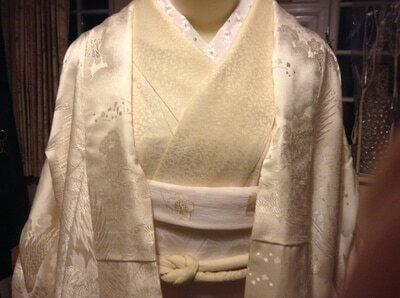 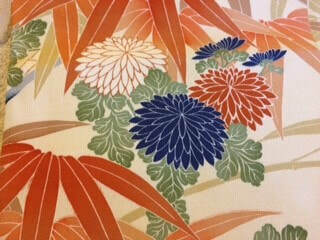 Andonbakama and Ro kimono in apricot colour flowers on cream white. Date-eri is reversible green and red. 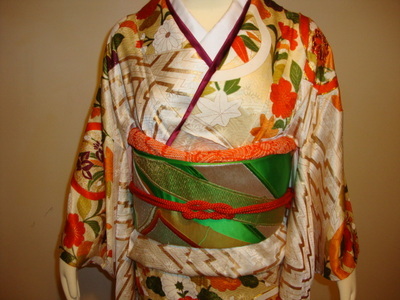 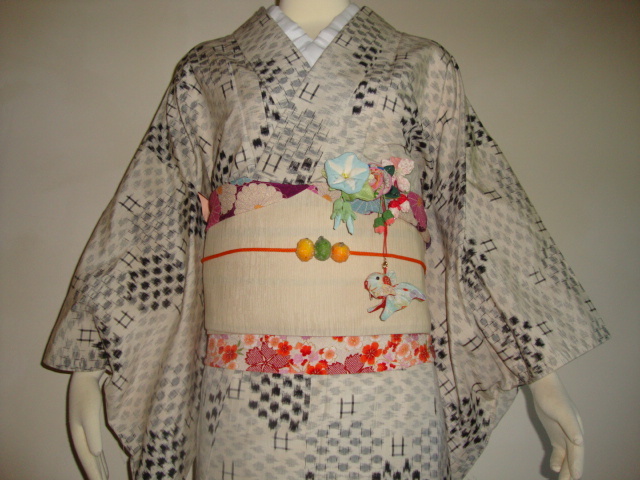 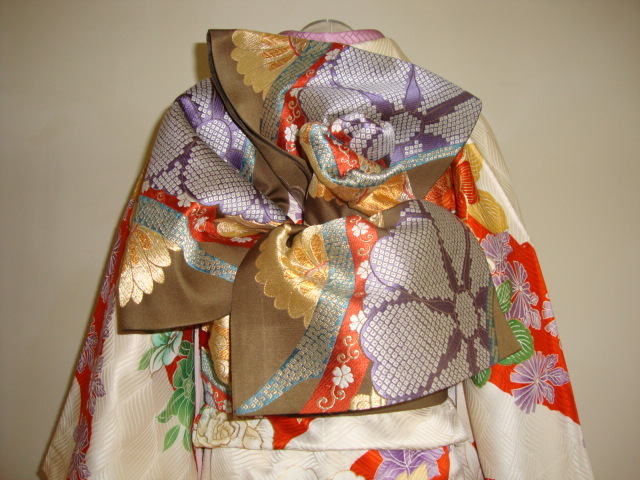 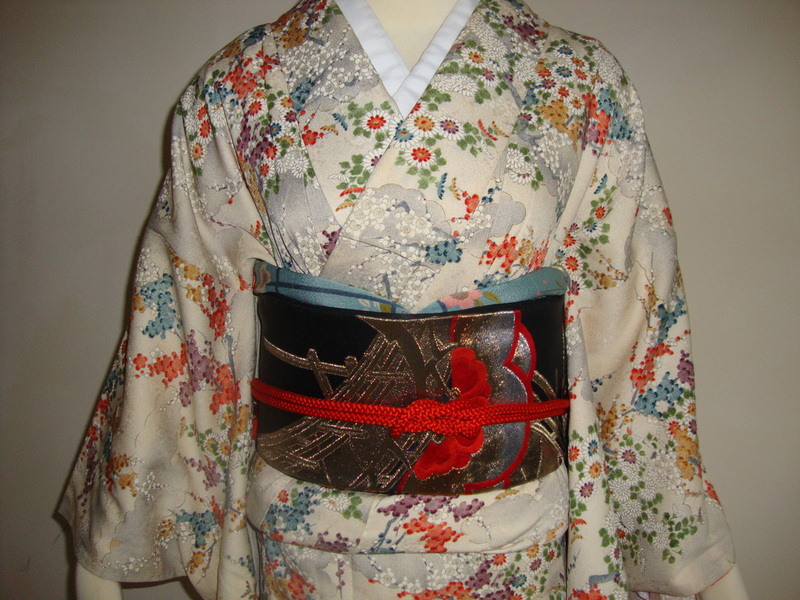 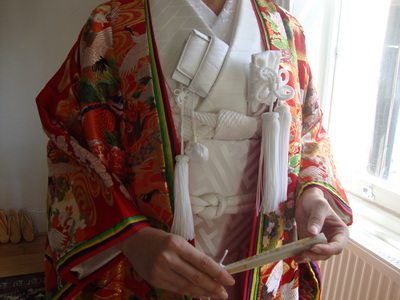 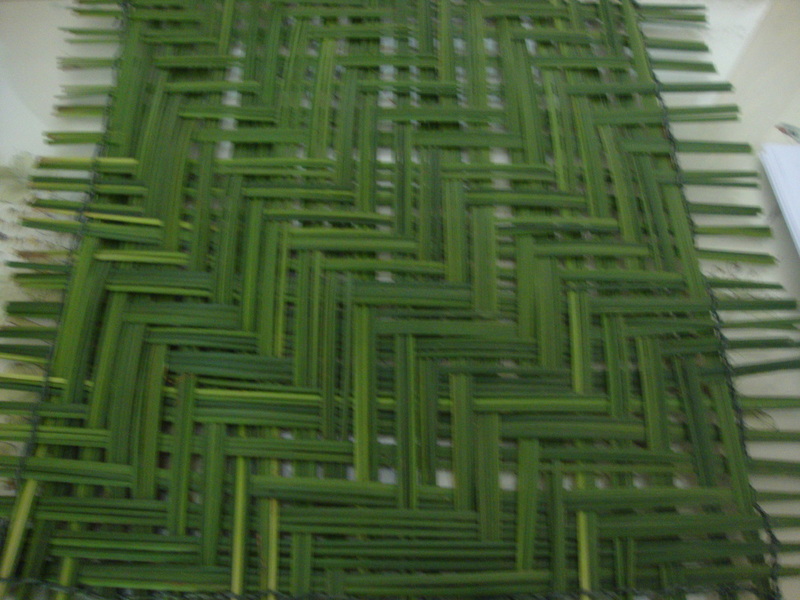 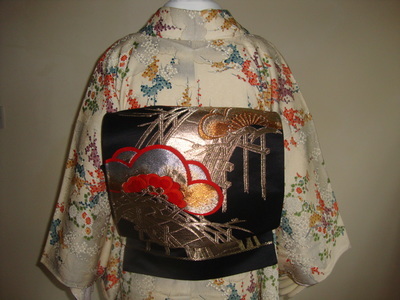 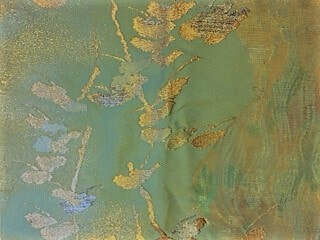 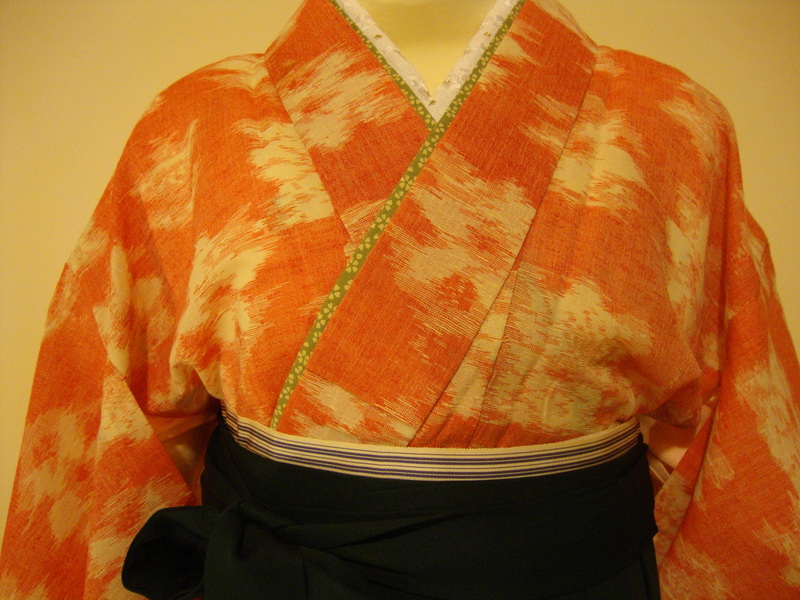 The half obi is a colourful karakudsa pattern. 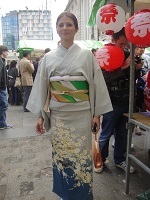 This is very popular for university graduation in Japan. SJ&D workshop with Pippa on 4th April 2014. 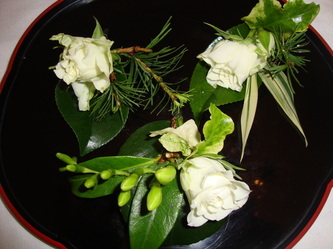 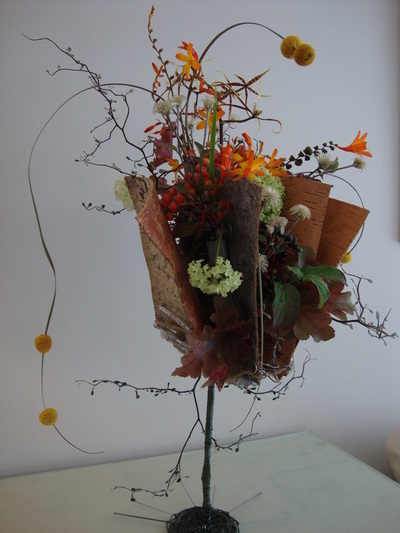 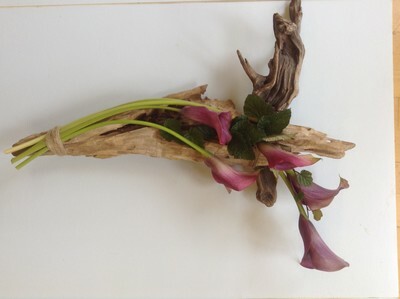 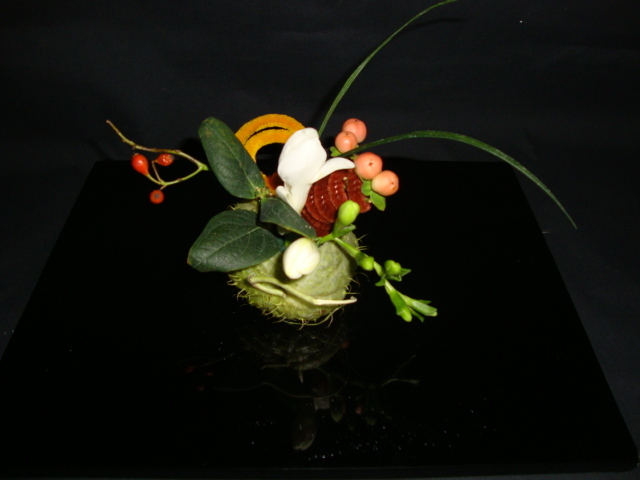 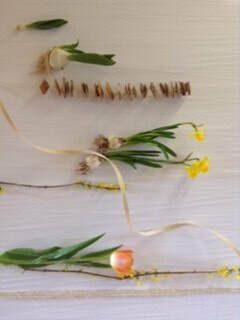 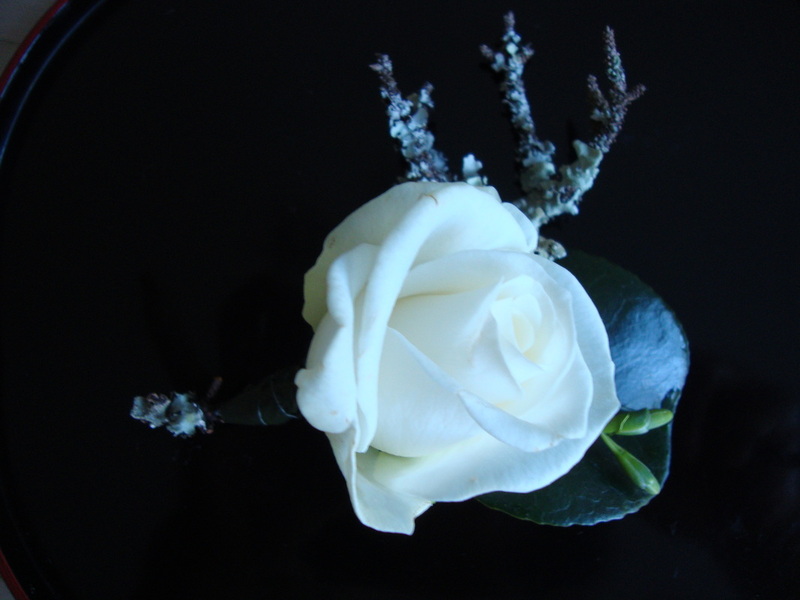 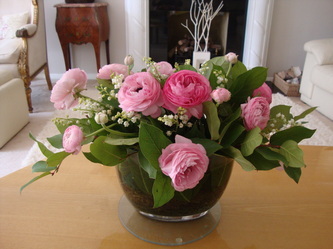 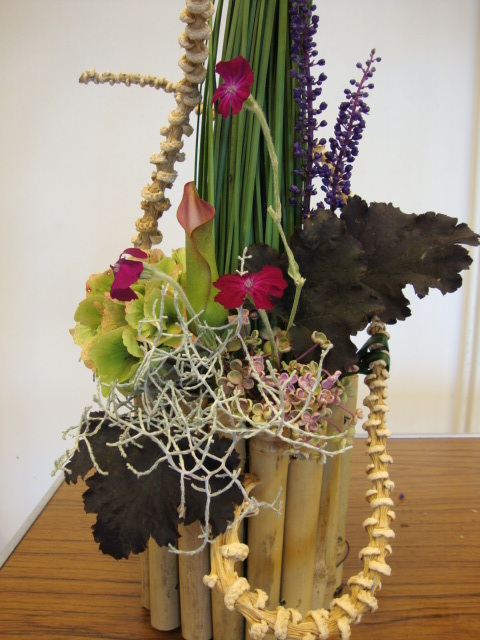 NAFAS Homework: a small posy. 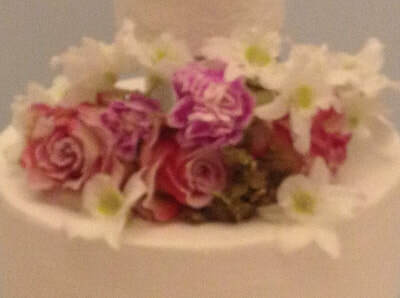 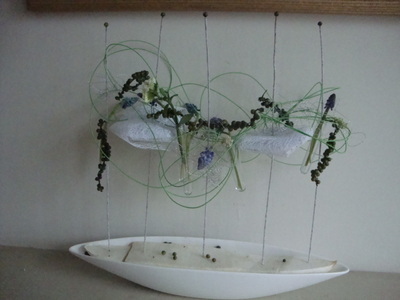 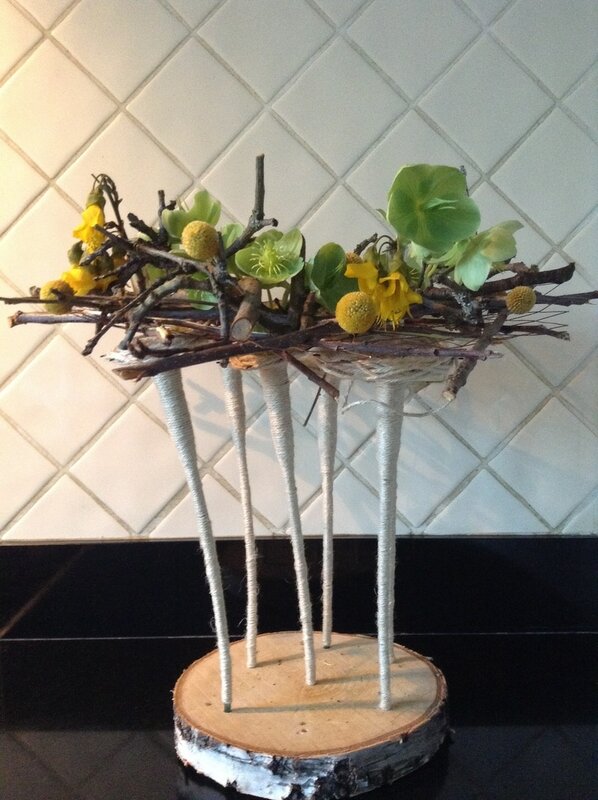 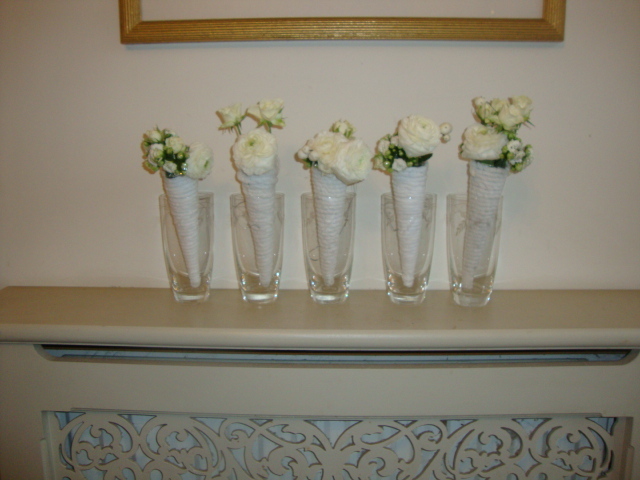 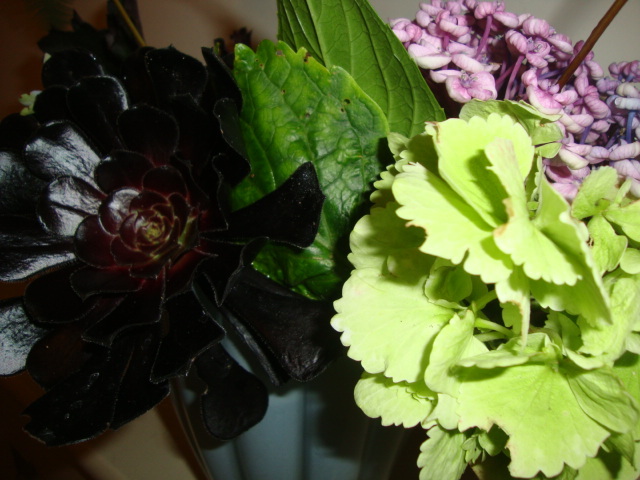 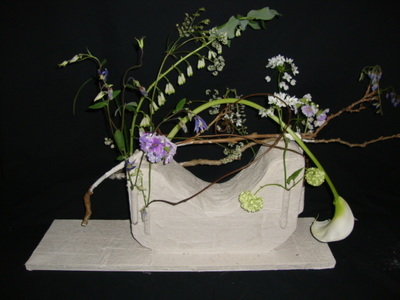 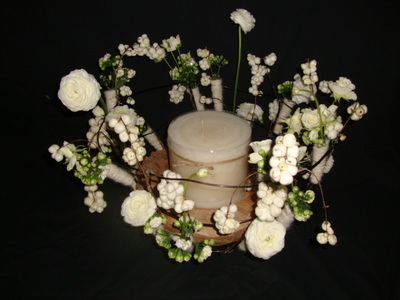 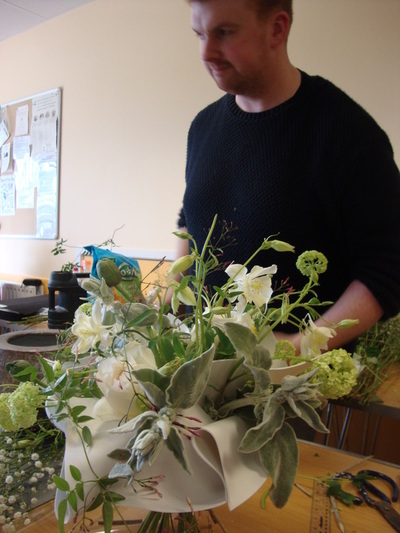 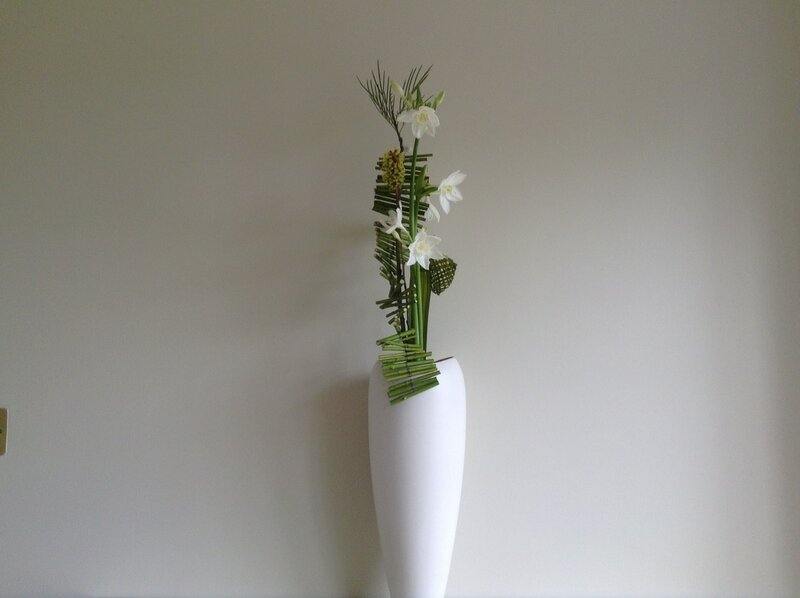 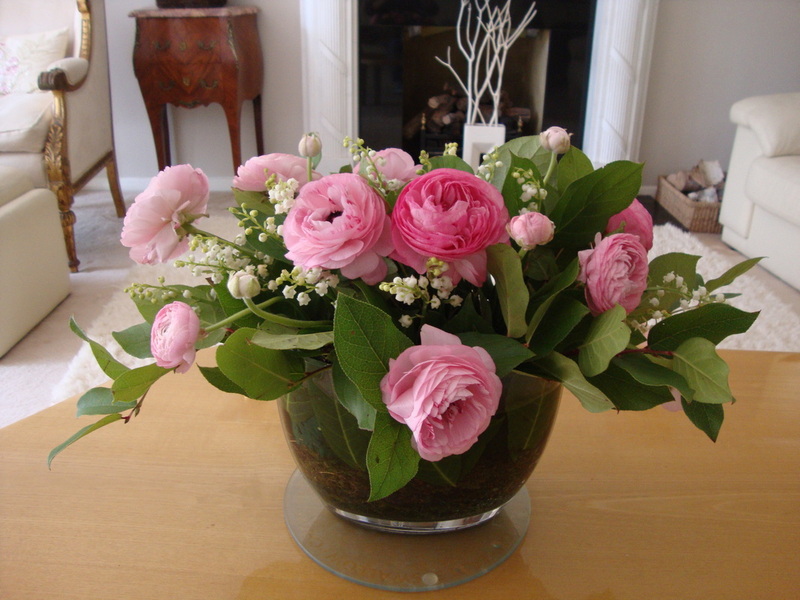 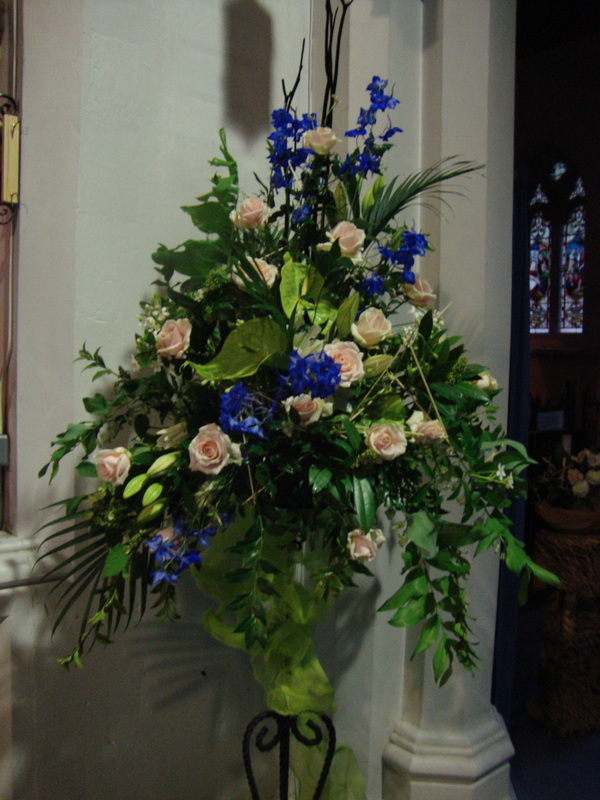 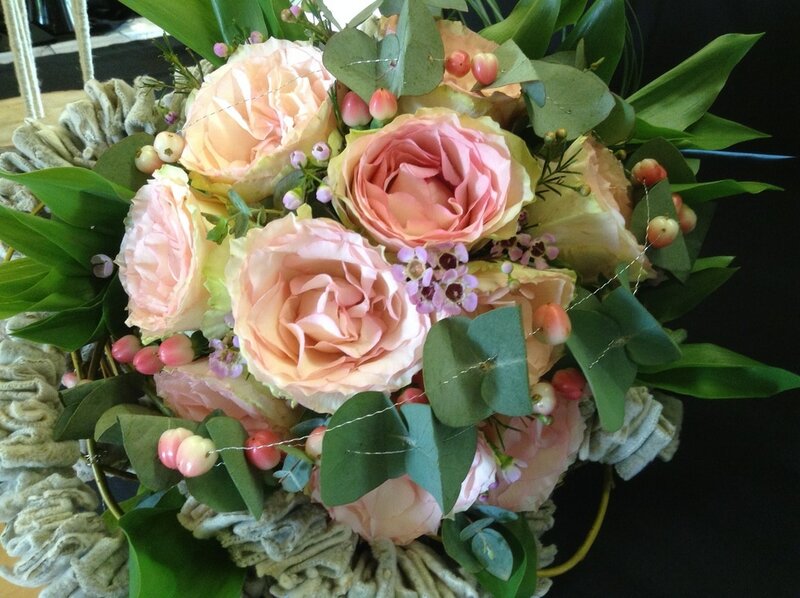 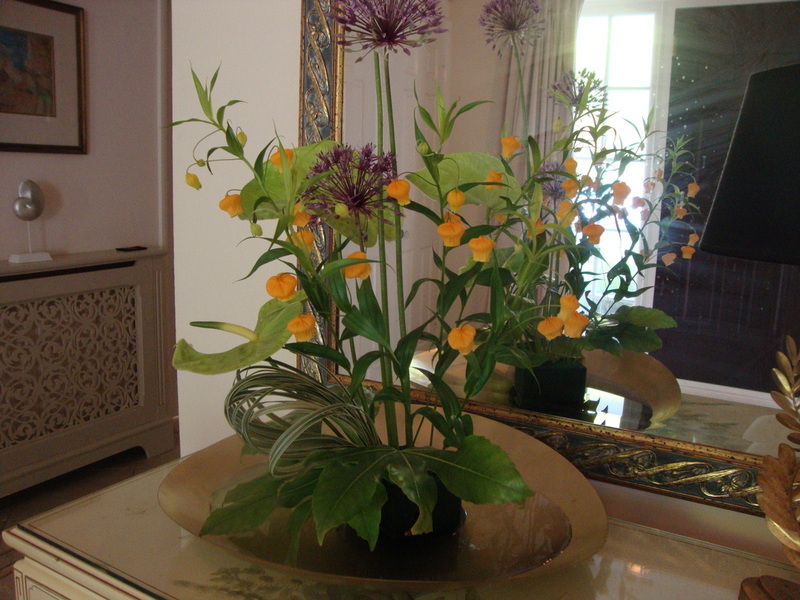 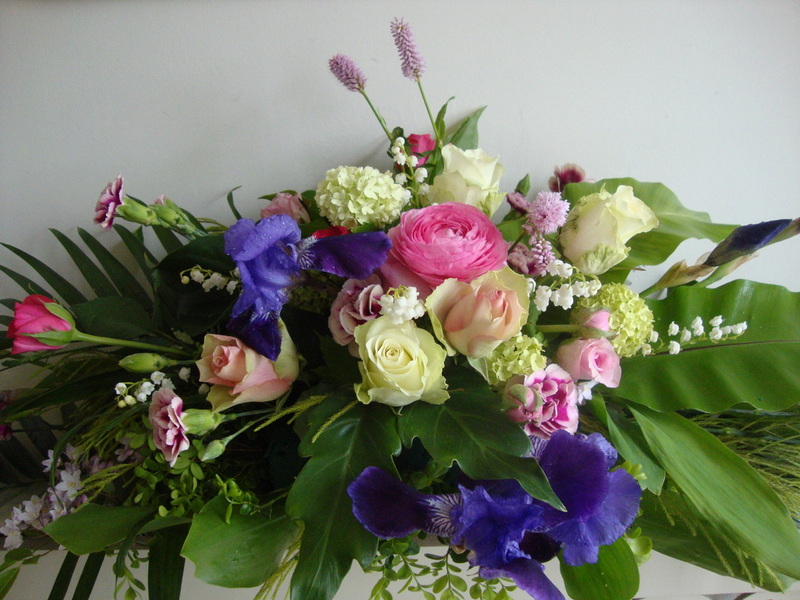 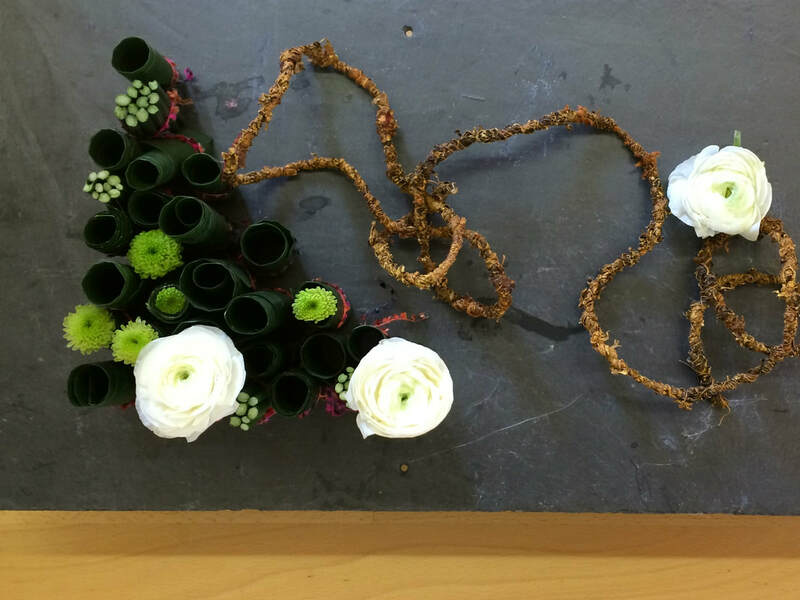 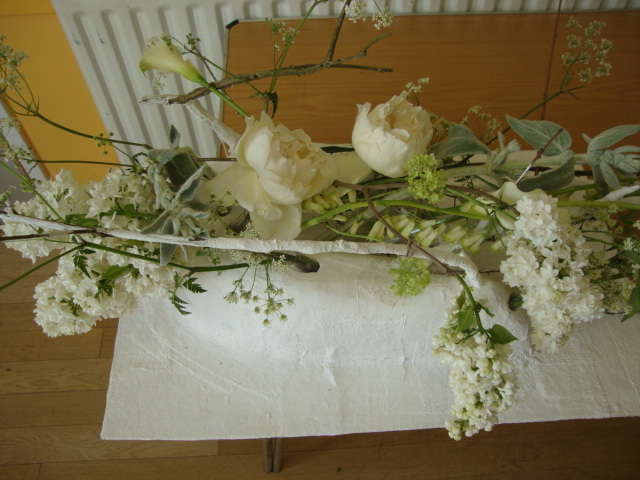 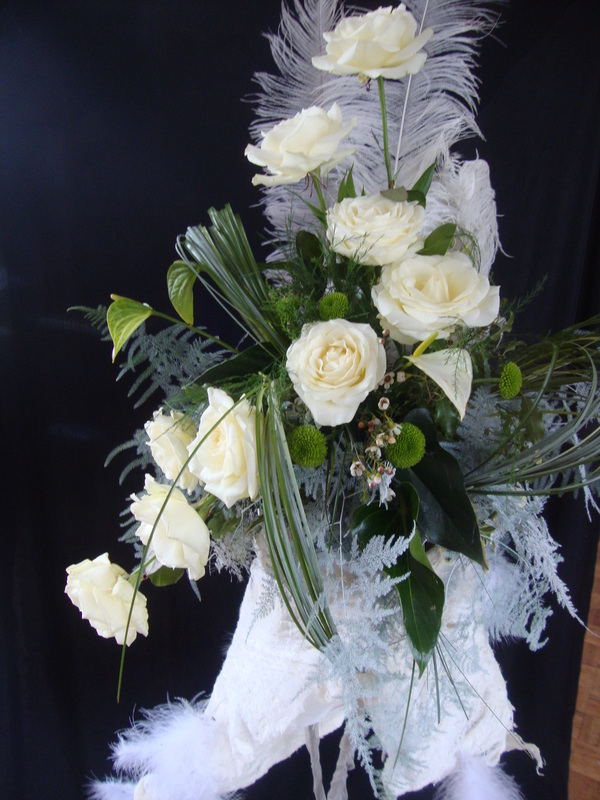 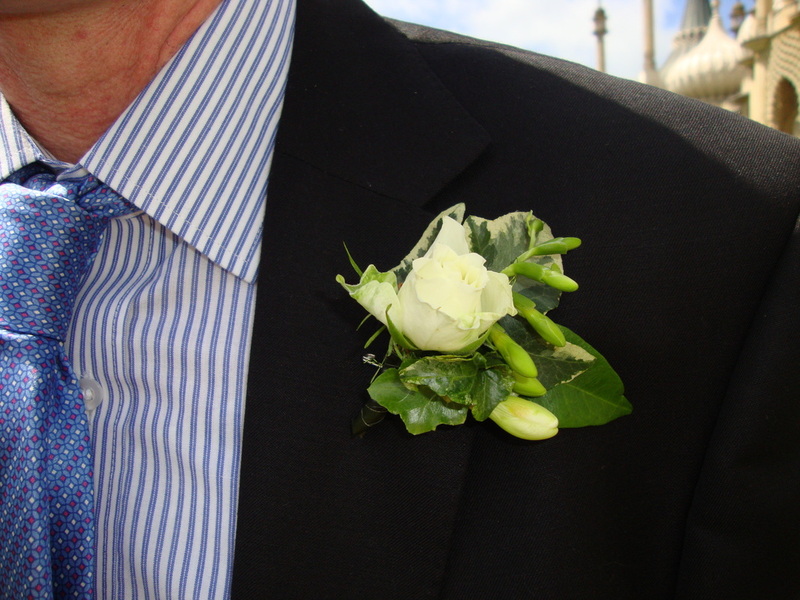 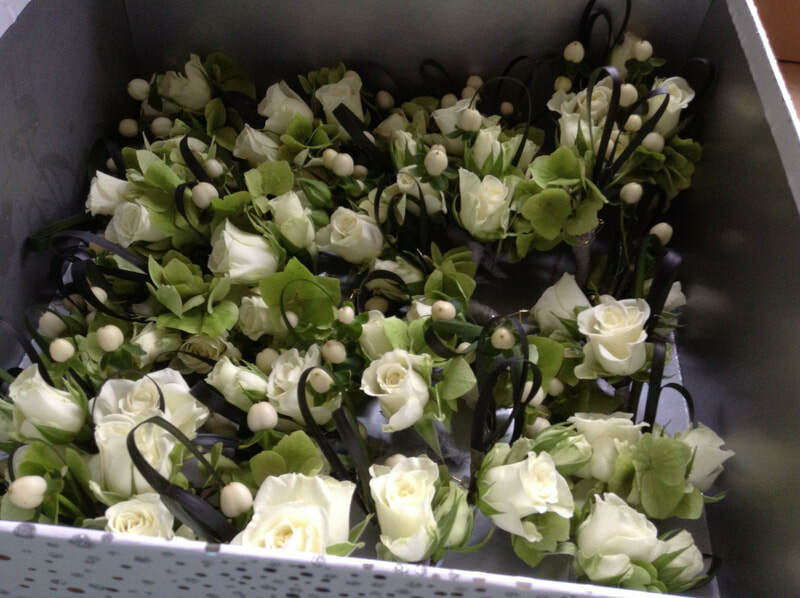 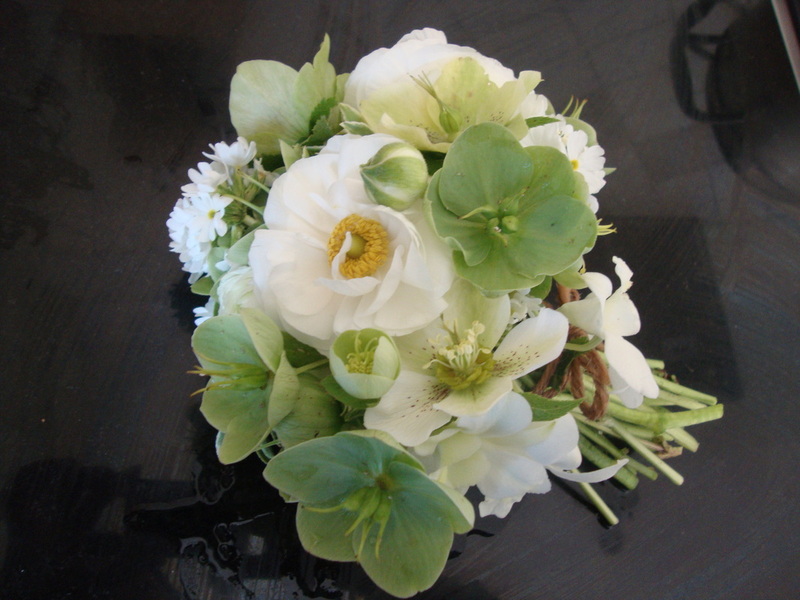 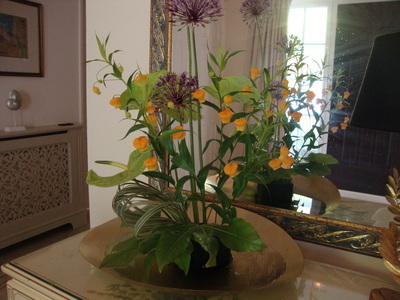 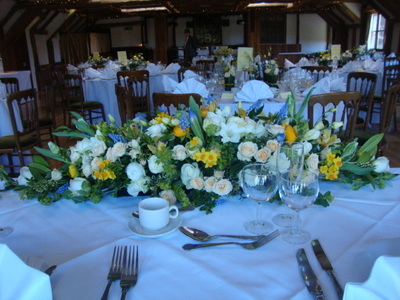 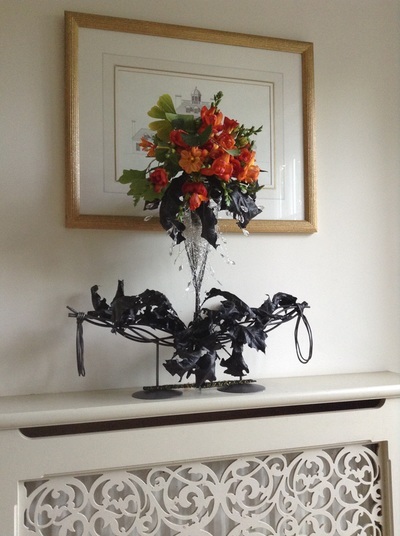 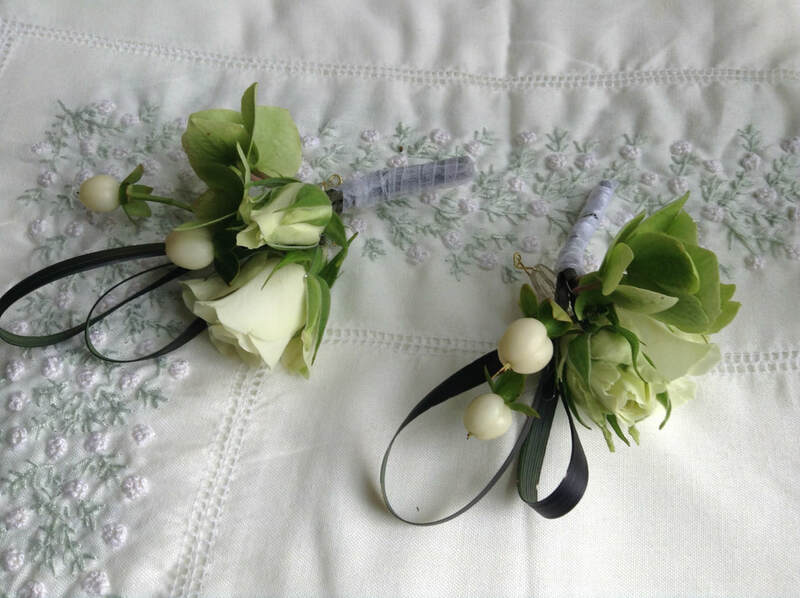 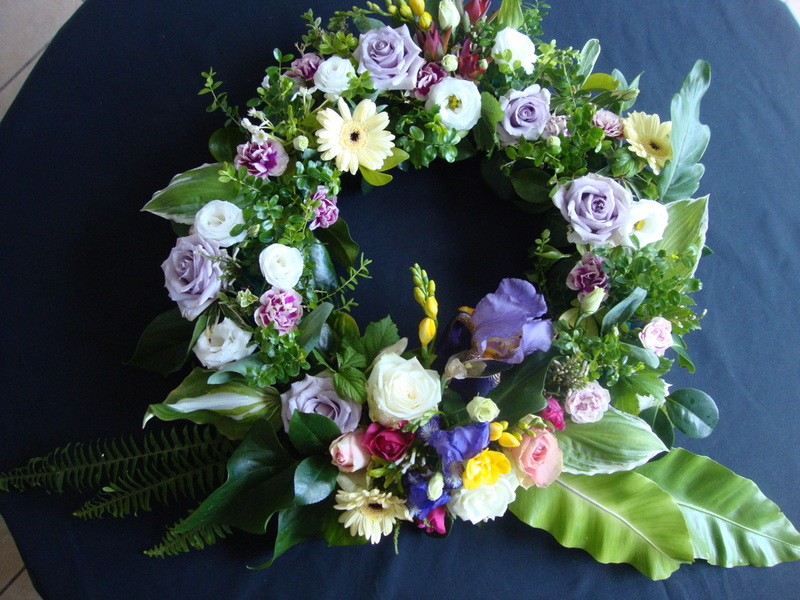 I used simple green and white flowers such as primula denticulata, hellebore and ranunculus in April 2014. 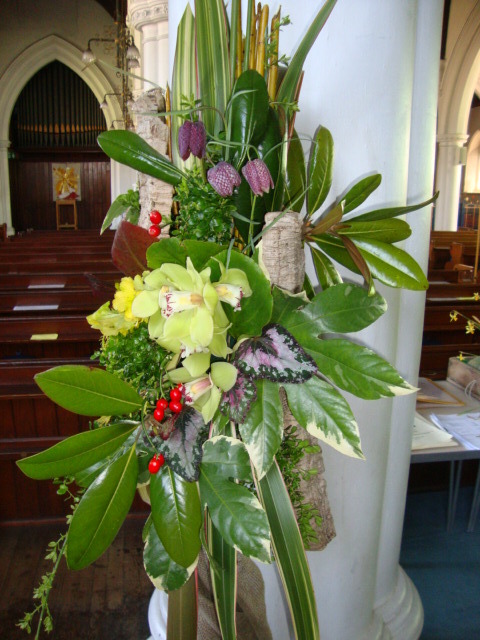 Gethsemane's garden at St Lawrence's church in April 2014. 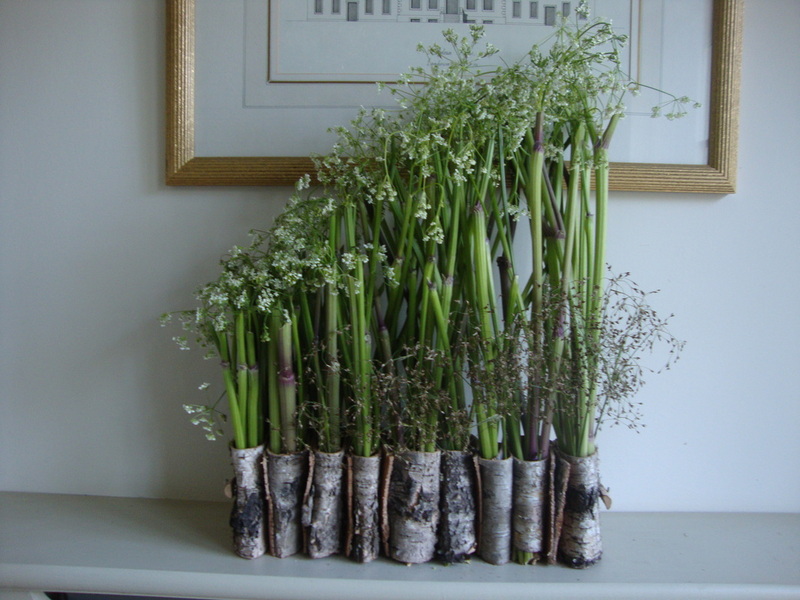 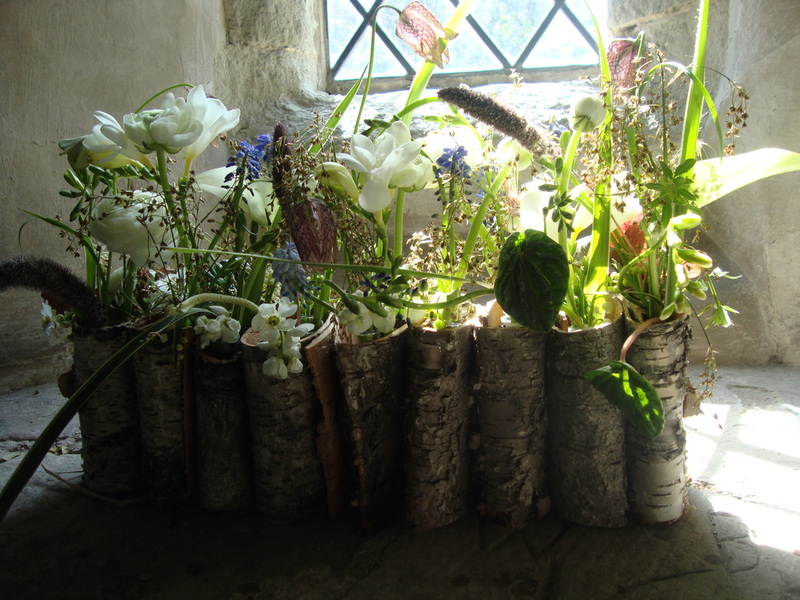 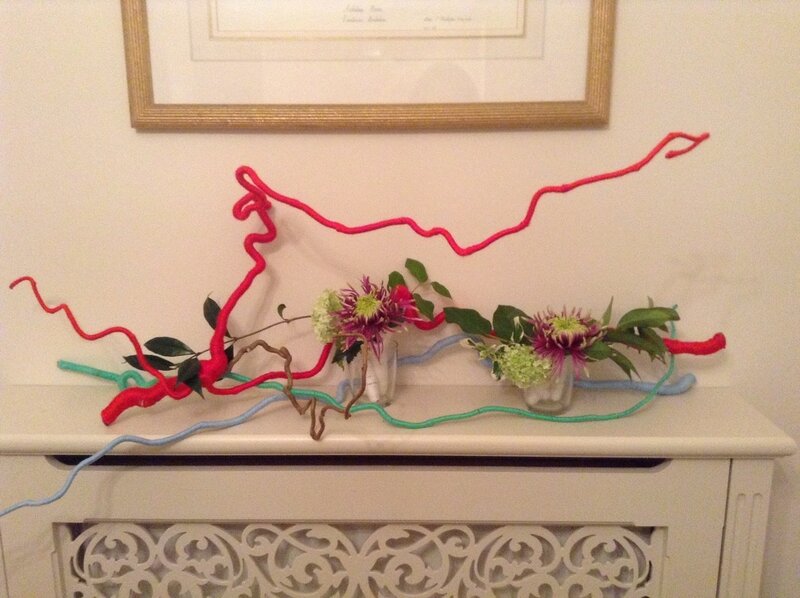 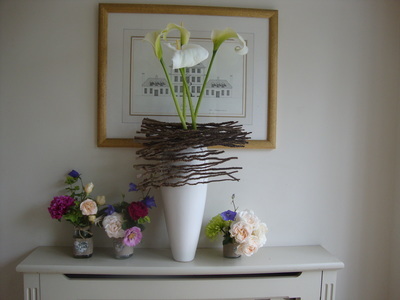 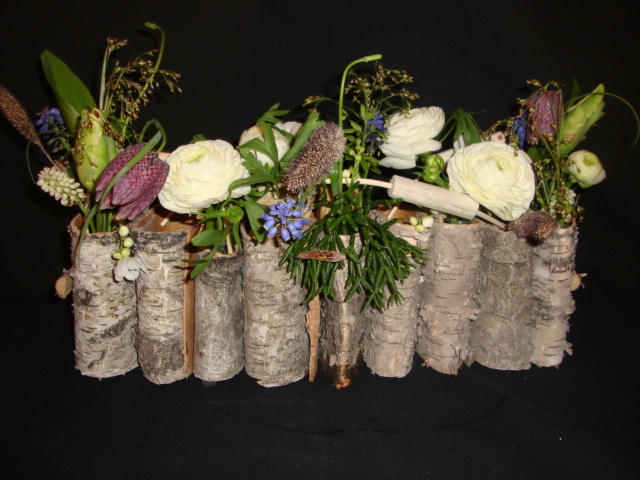 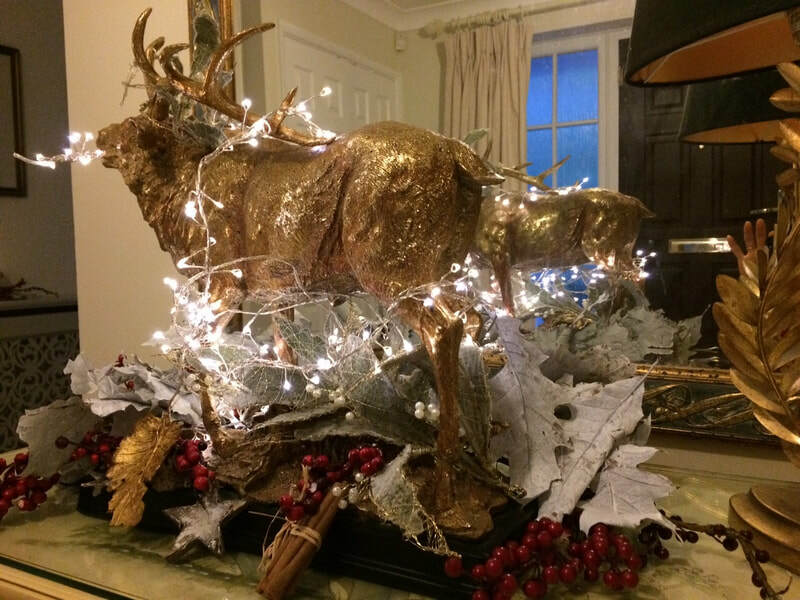 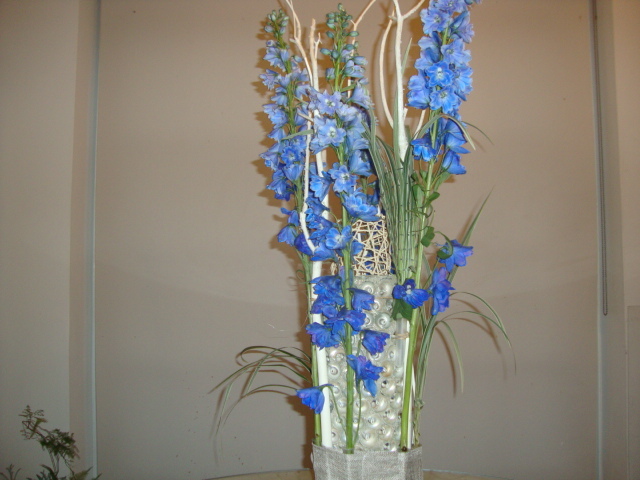 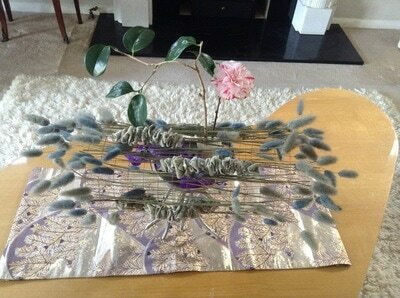 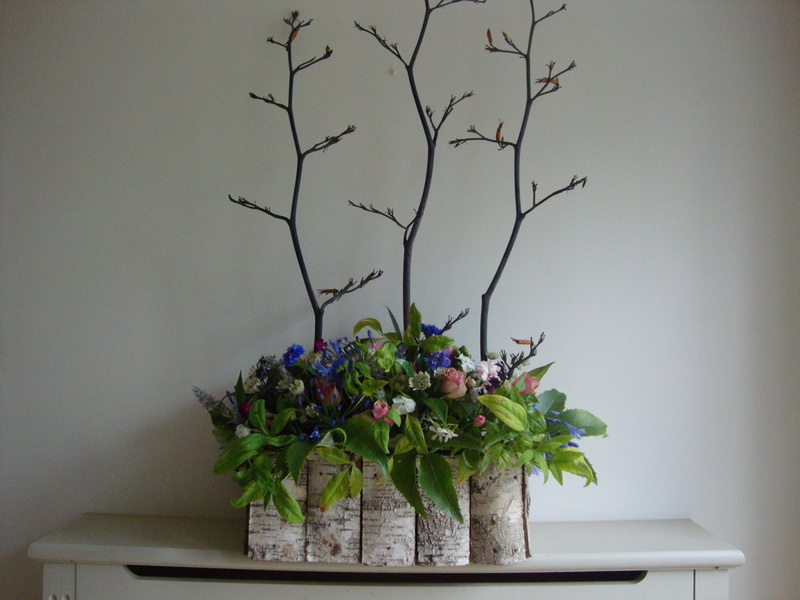 I used a silver birch container with 30 plastic tubes in side and tried a natural looking window sill display. 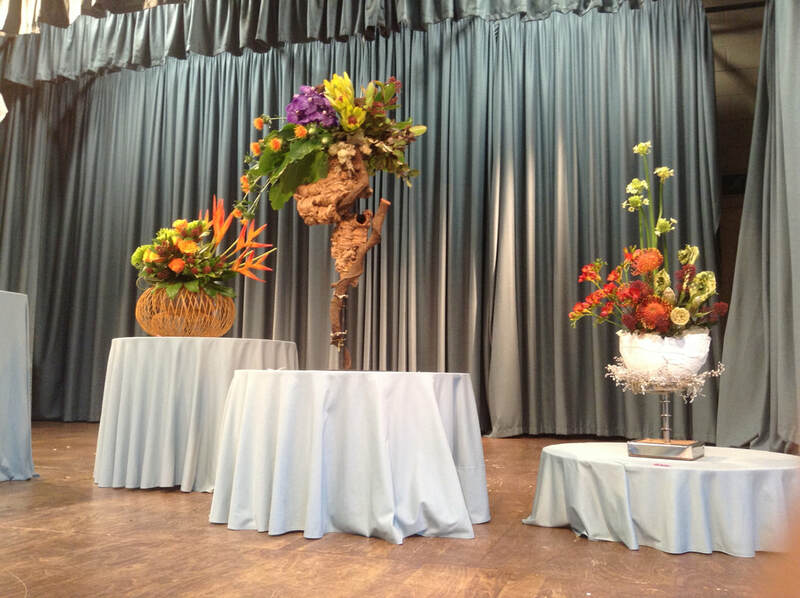 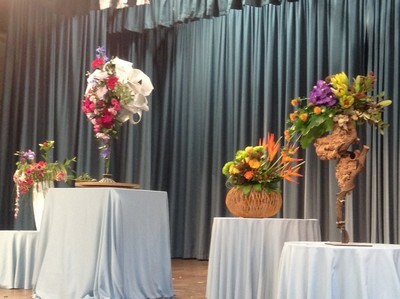 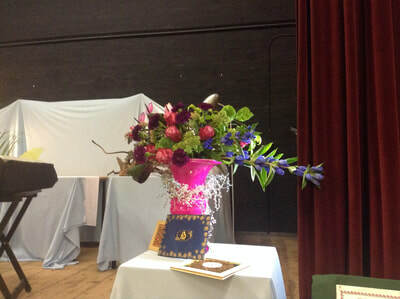 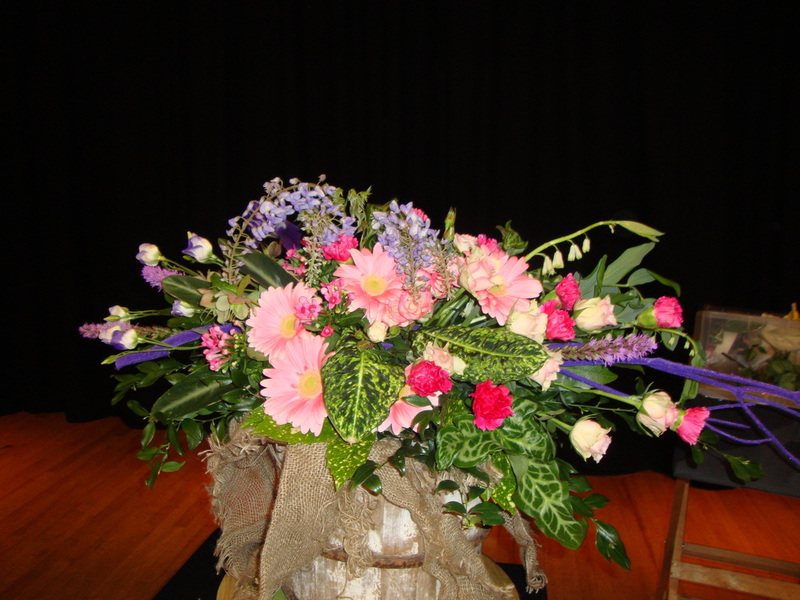 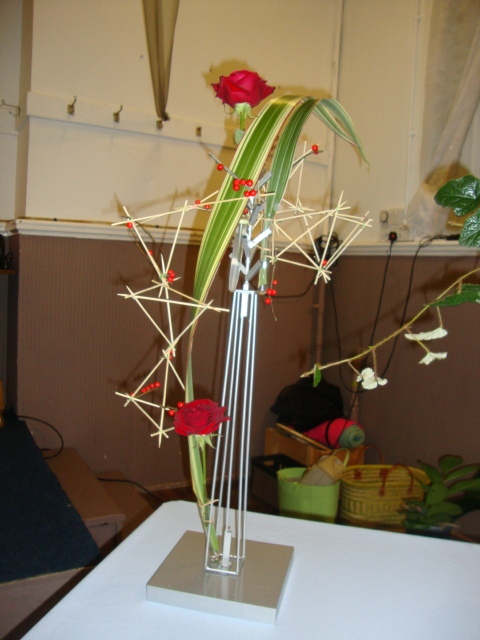 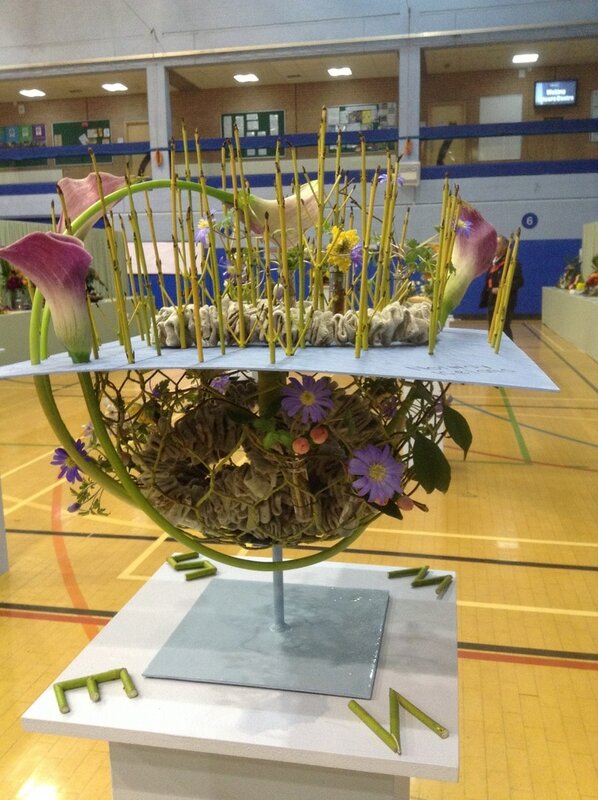 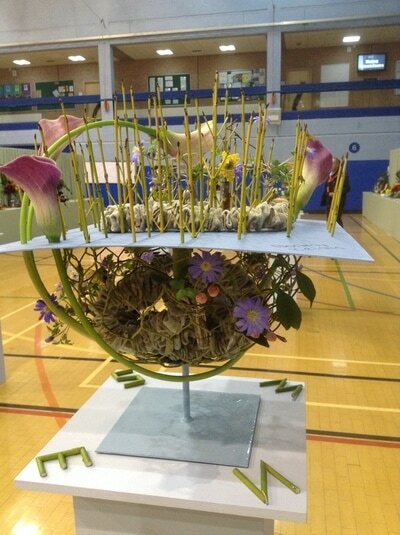 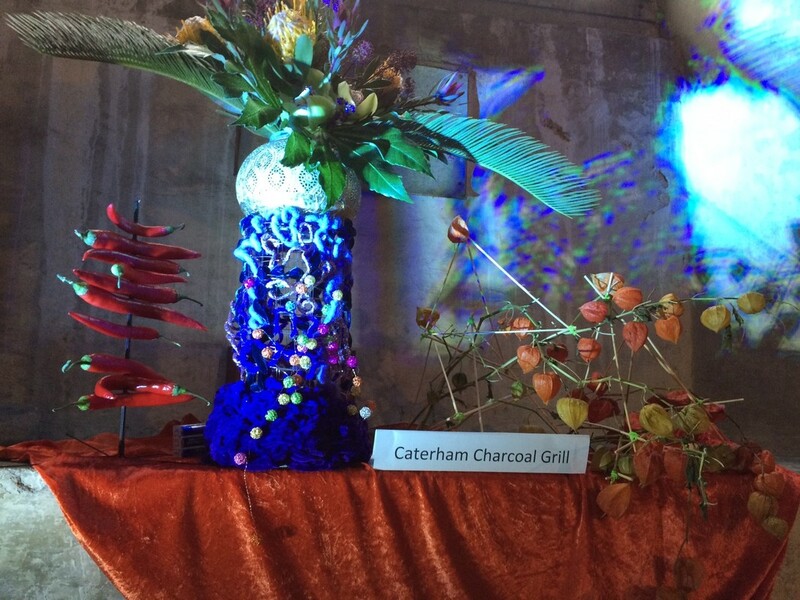 "Les Miserables" at Chaldon and Chaterham Floral Club demo in March 2014. 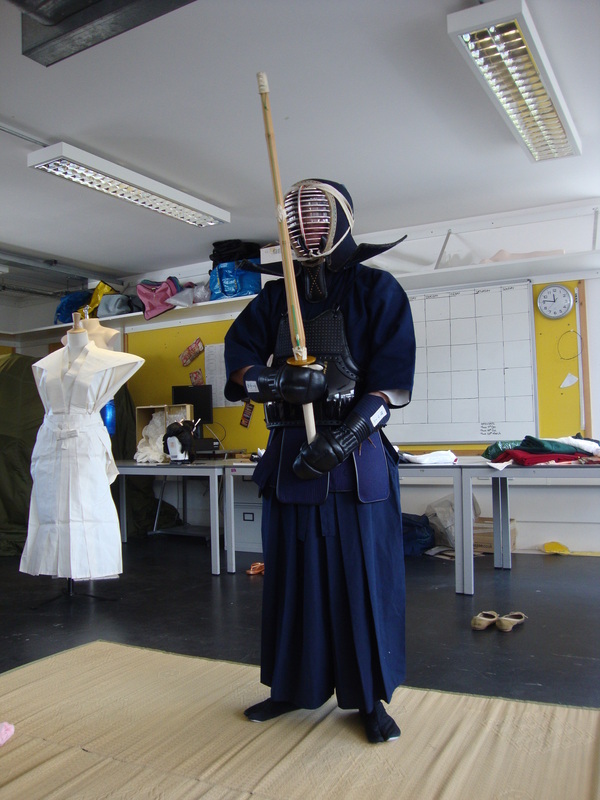 Kimono workshop on 10th April 2014 Kendo costume and kamishimo (samurai's official outfit) at Rose Bruford Int'l Drama and Performance, Symposium 2014. 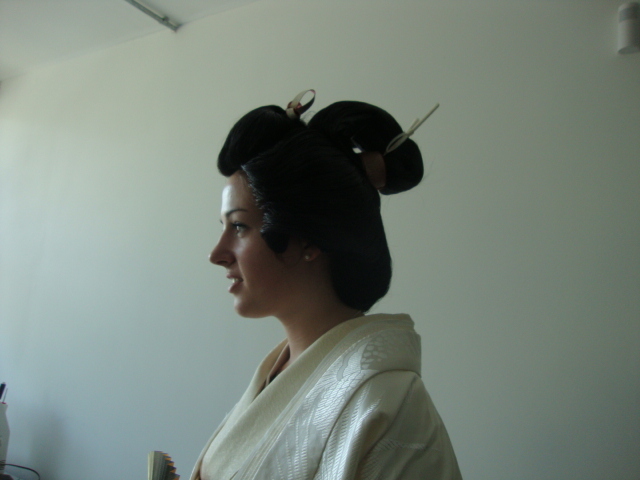 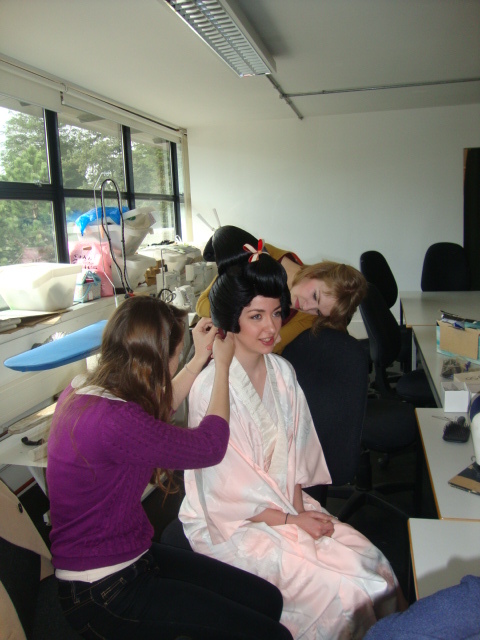 Rose Bruford Int'l Drama and Performance A bunkin takashimada wig - bridal costume and dressing during the workshop. 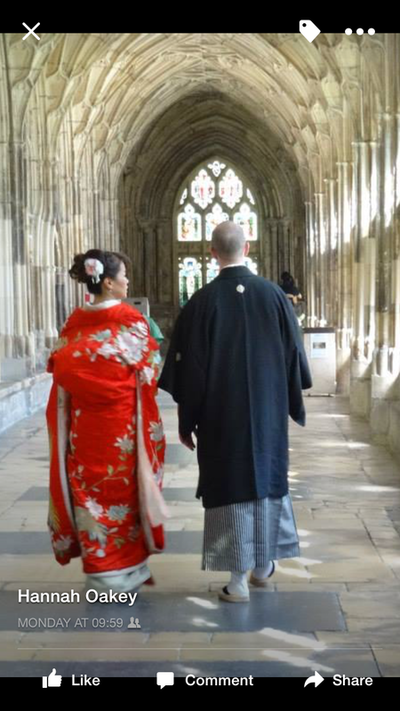 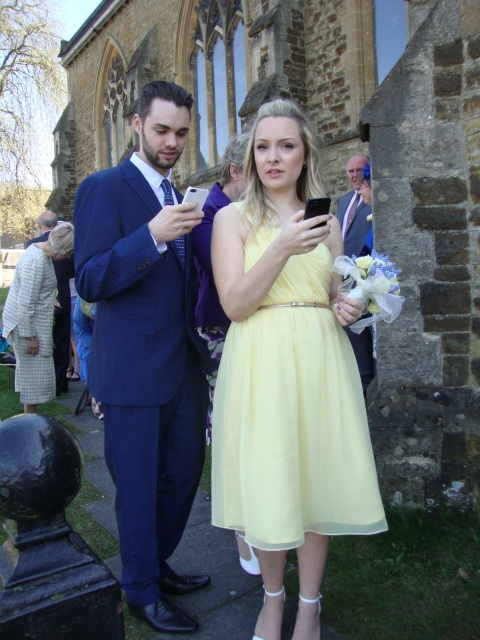 Christina and Paul's wedding at Windsor in 2013. 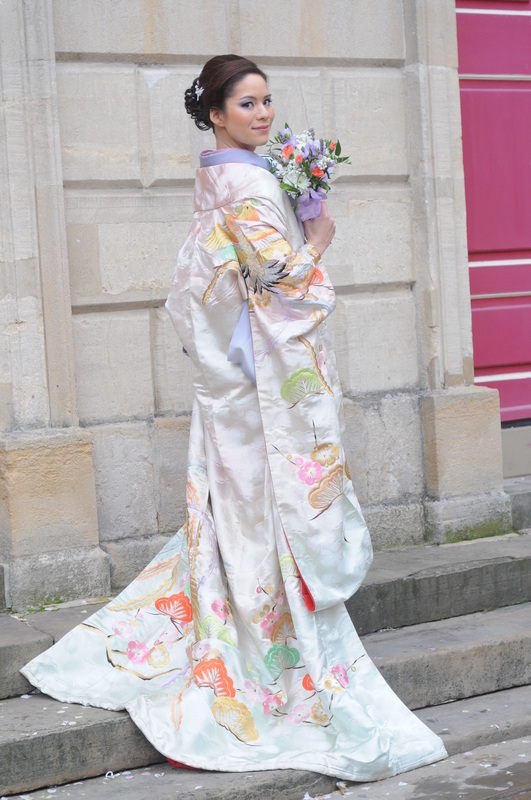 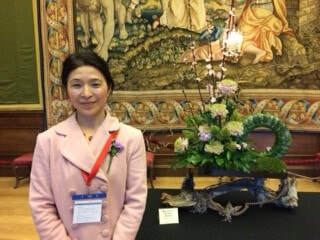 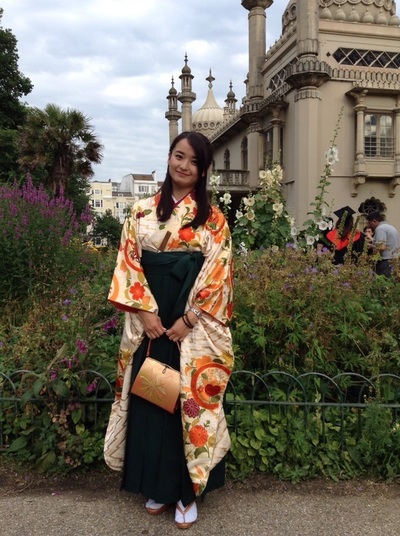 Christina in antique uchikake at Windsor in 2013. 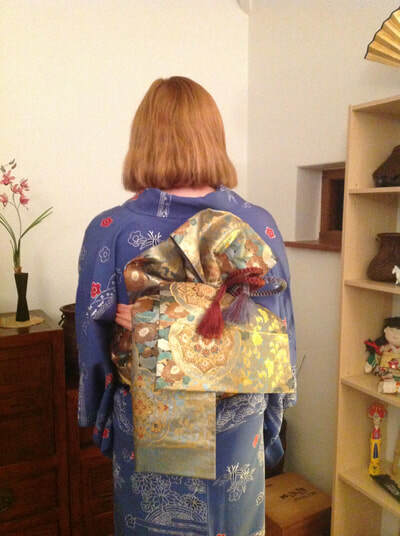 Misato in a plum flower kimono and with a Japanese kinchyaku flower bag. 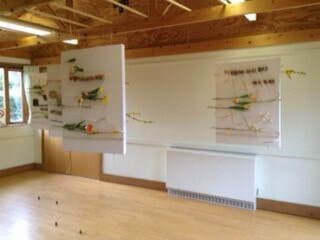 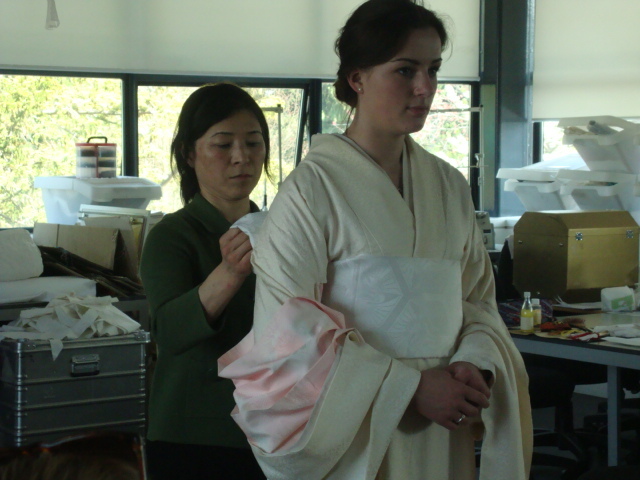 I had wonderful 3 days with students from costume department at Rose Bruford Int'l Drama and Performance College. Their SYMPOSIUM was packed with most constructive workshops and professional guests. 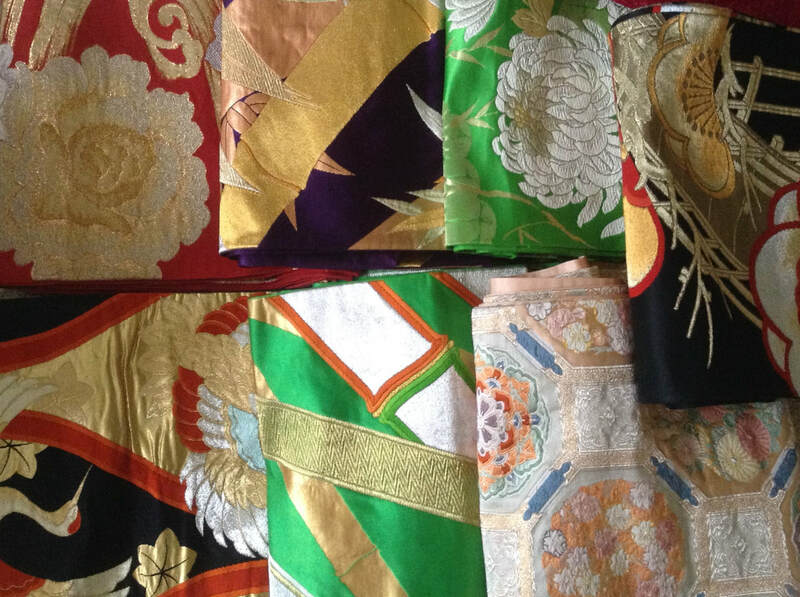 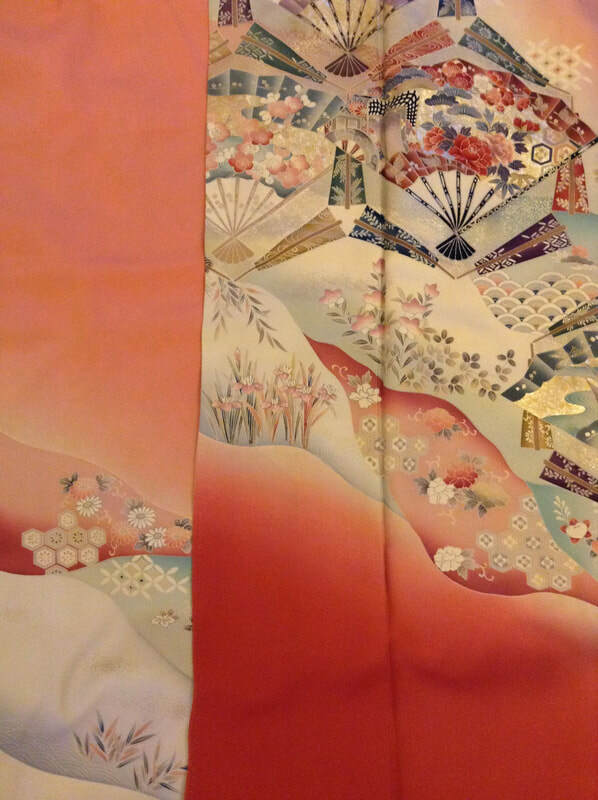 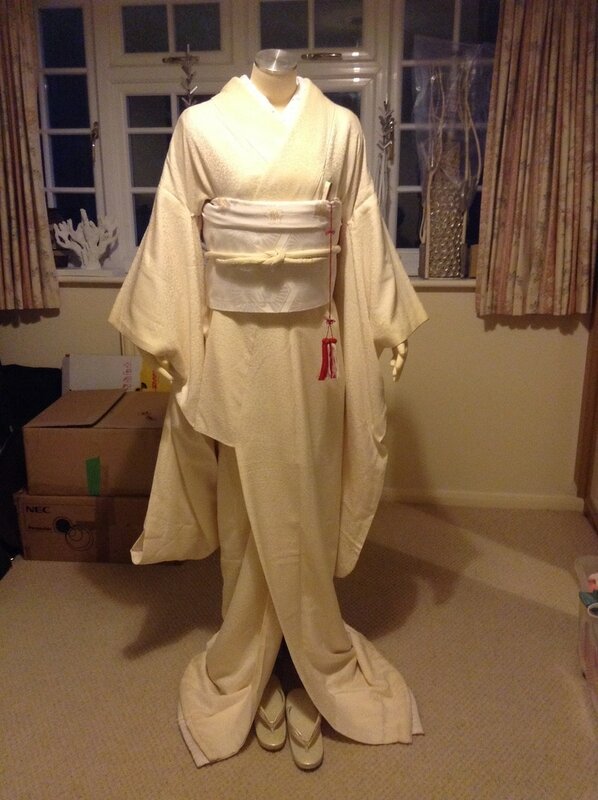 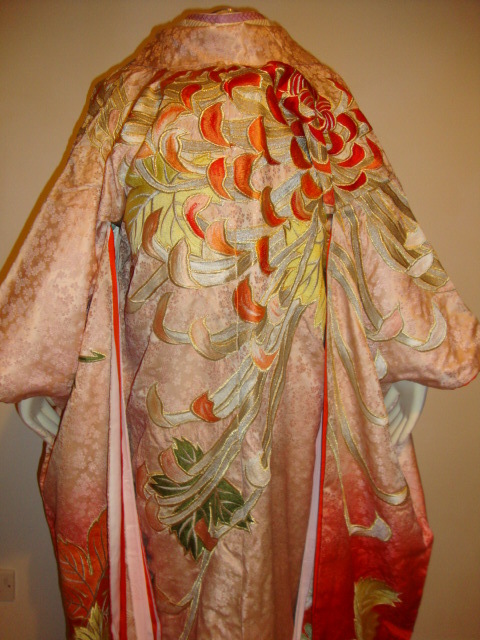 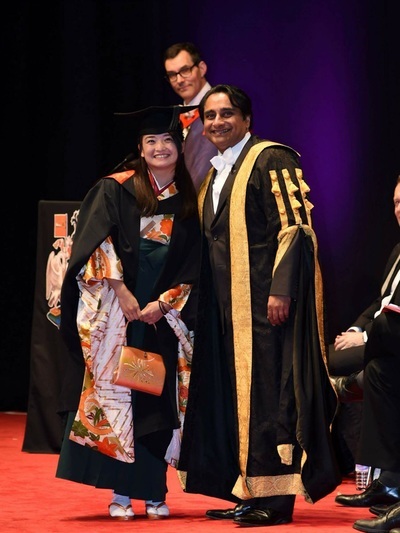 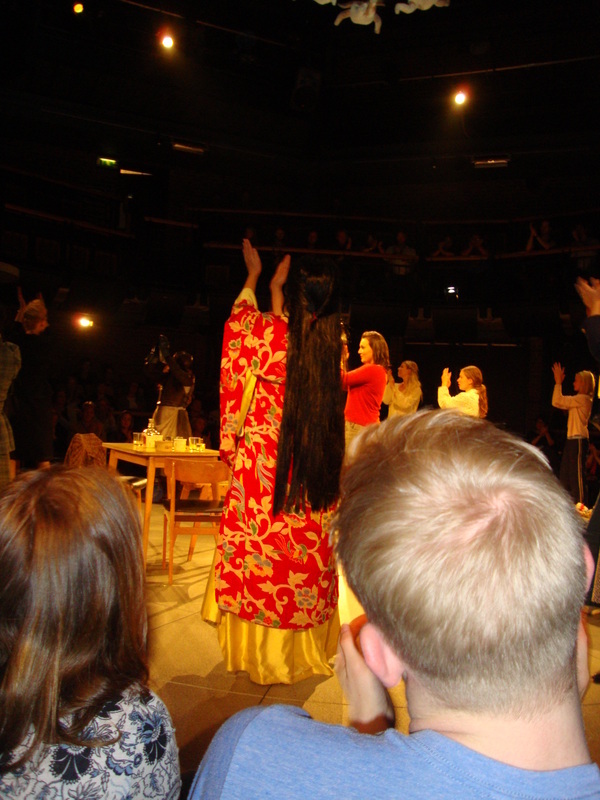 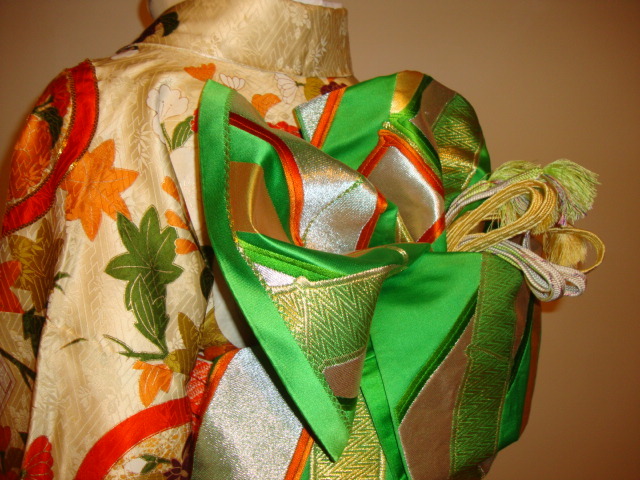 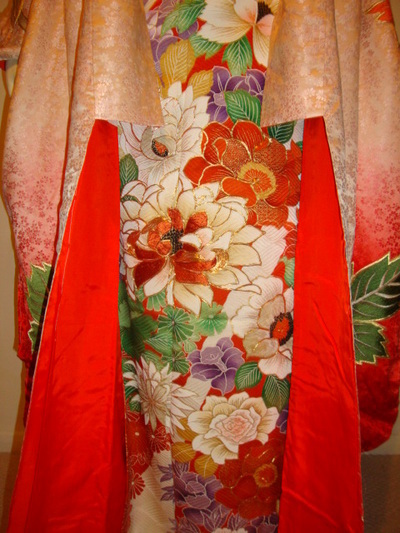 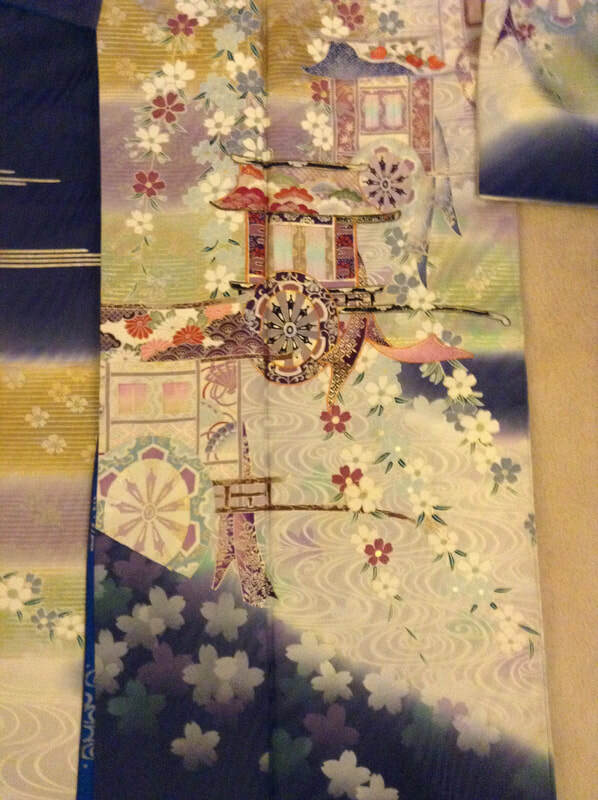 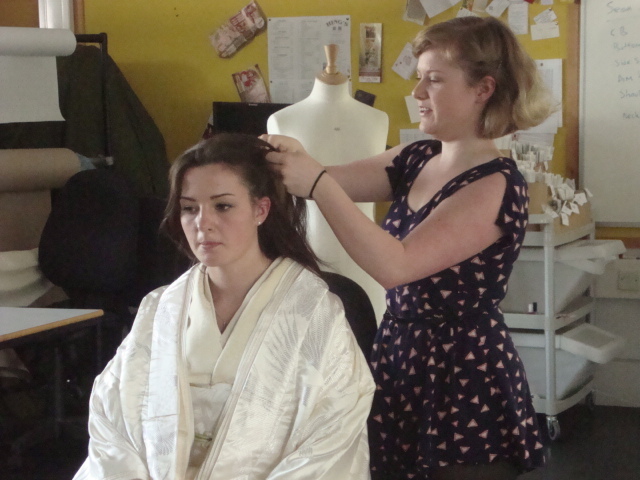 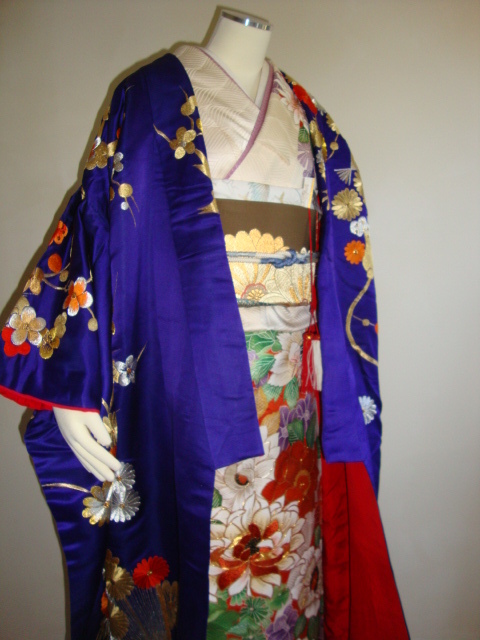 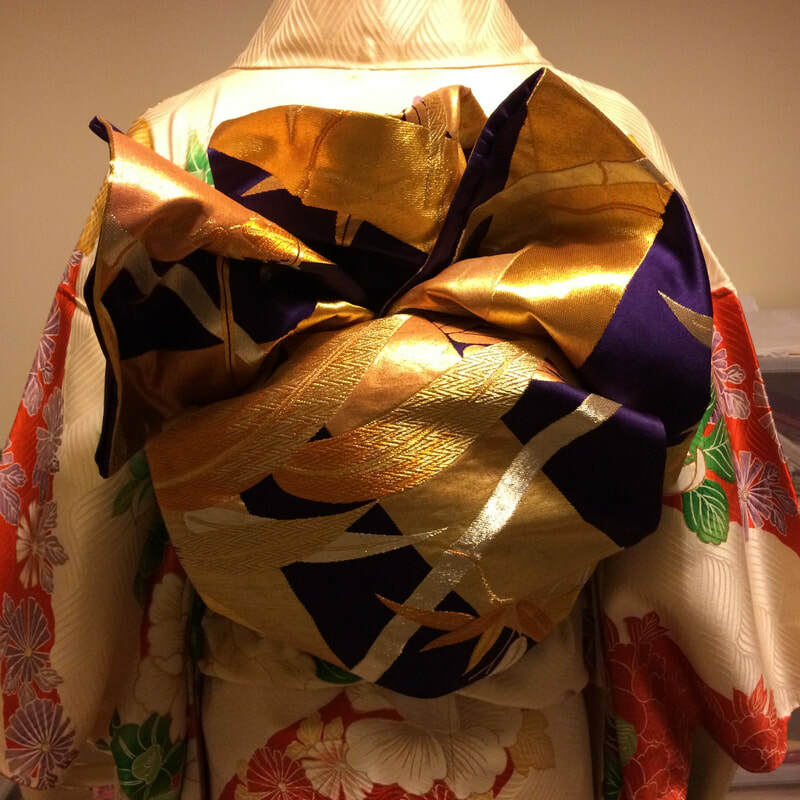 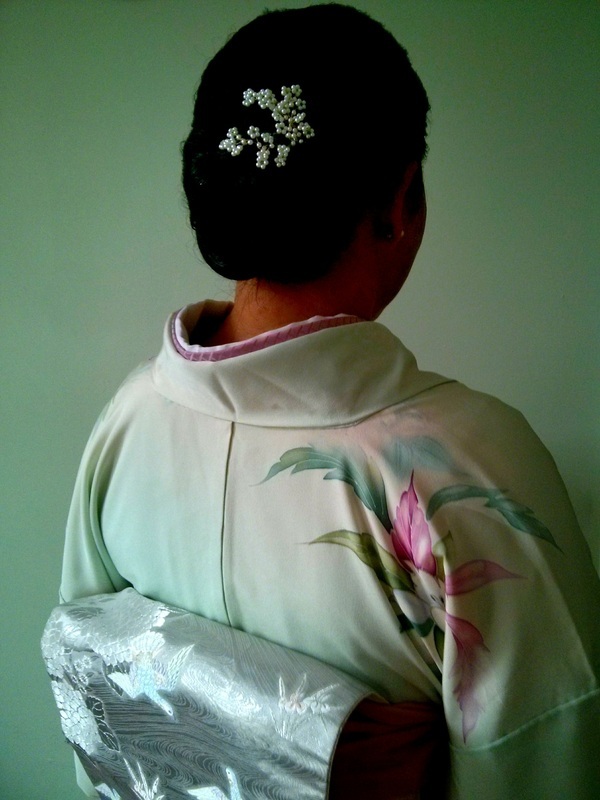 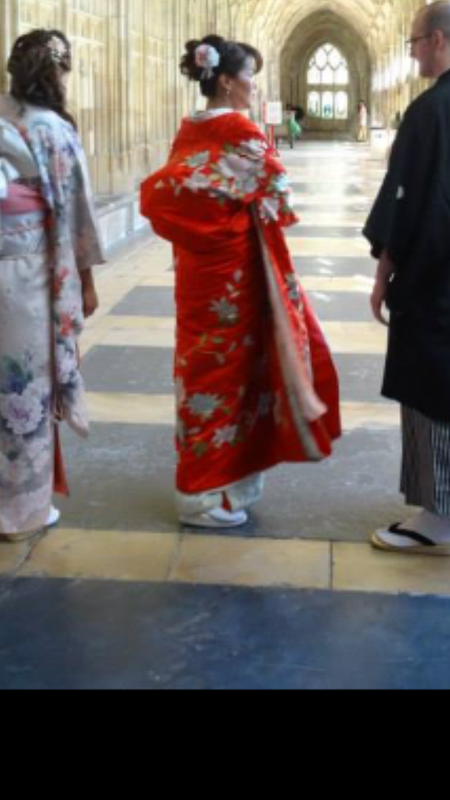 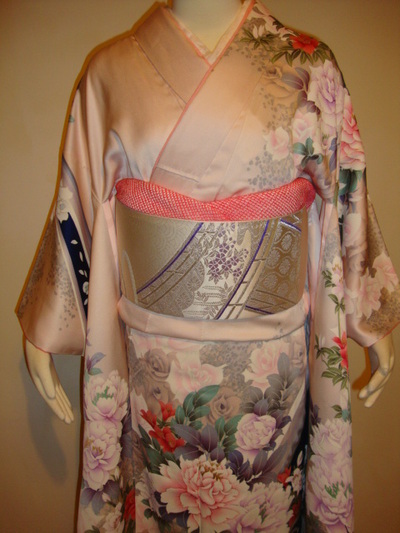 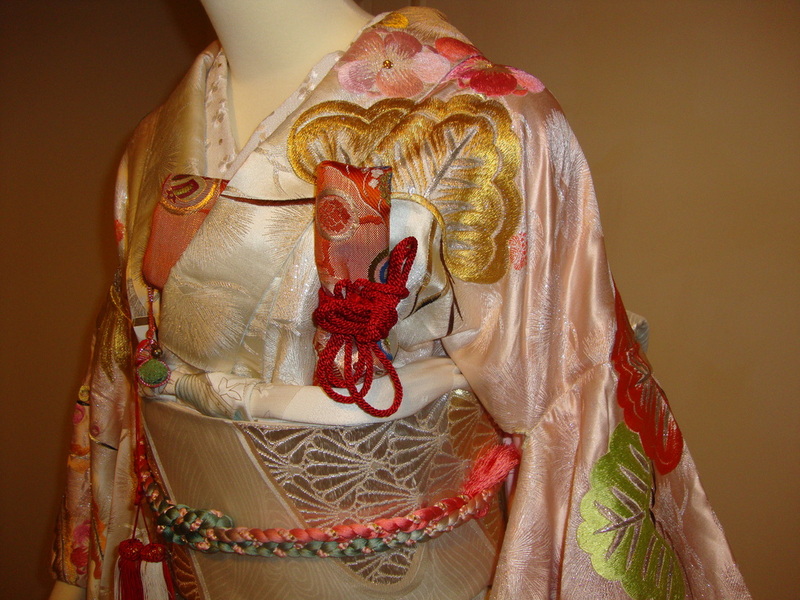 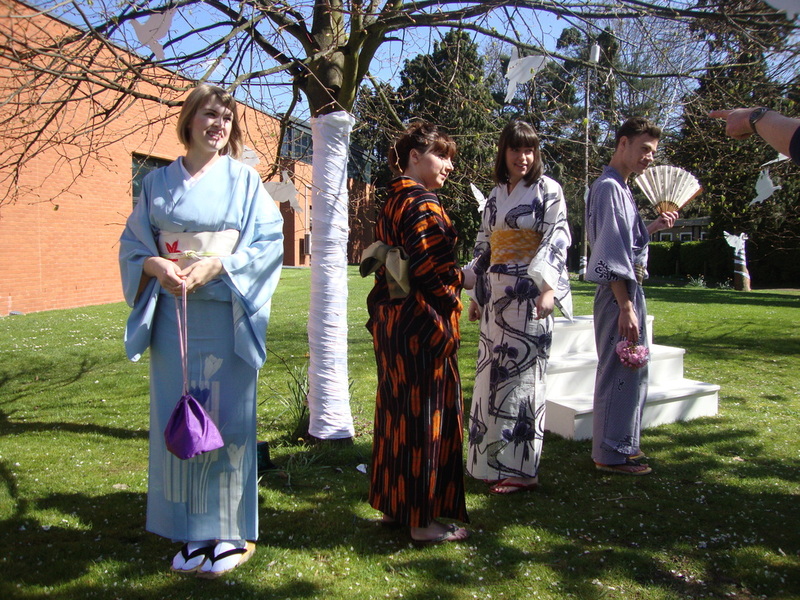 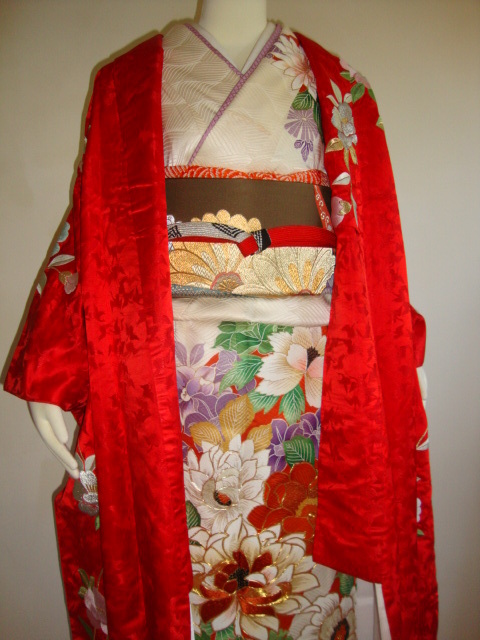 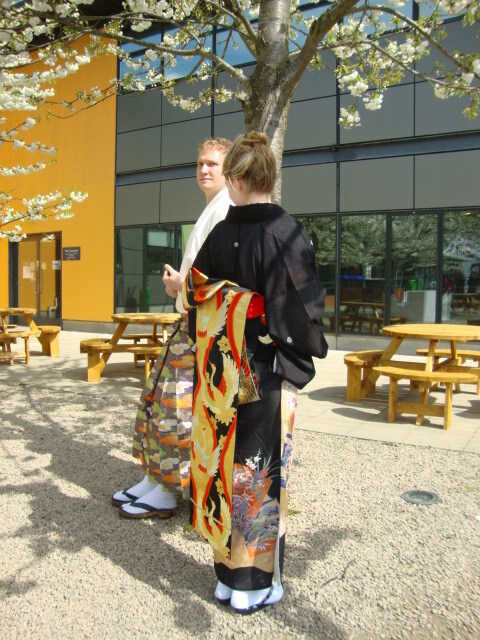 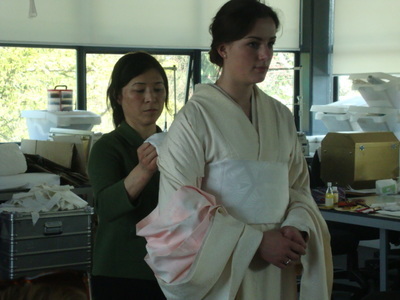 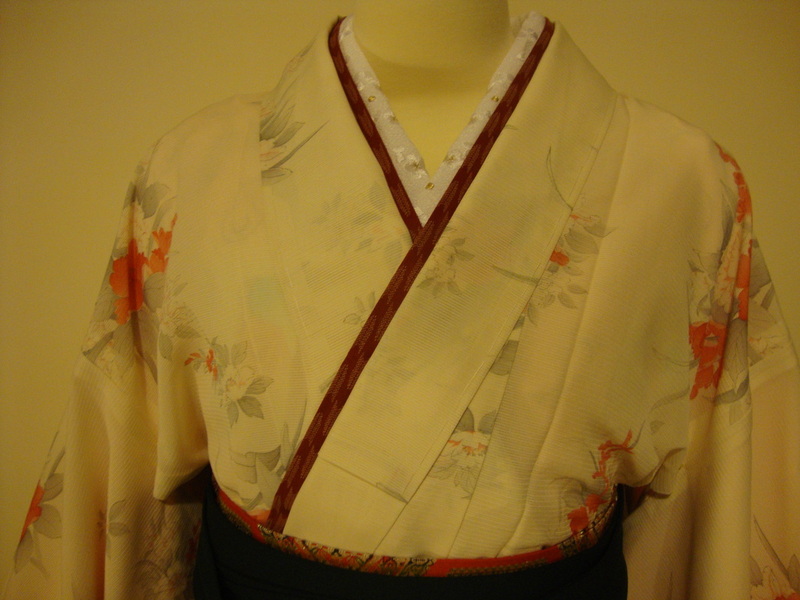 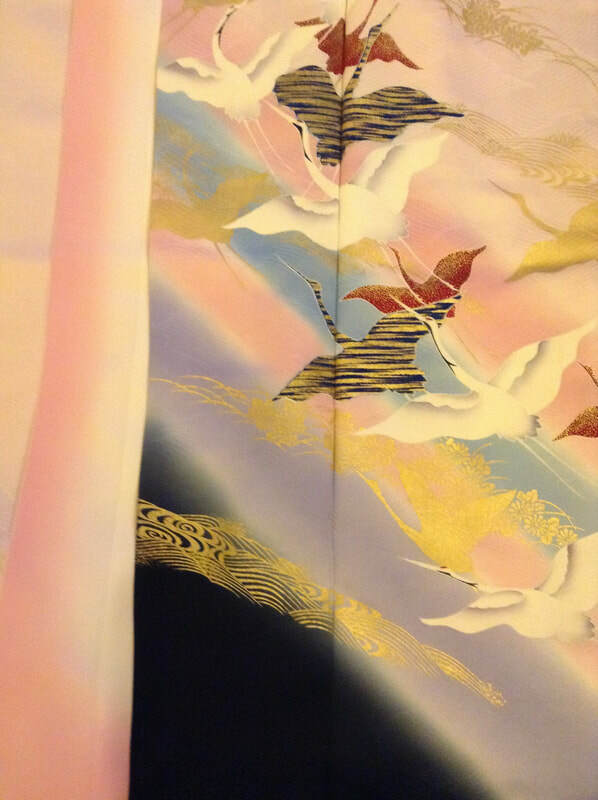 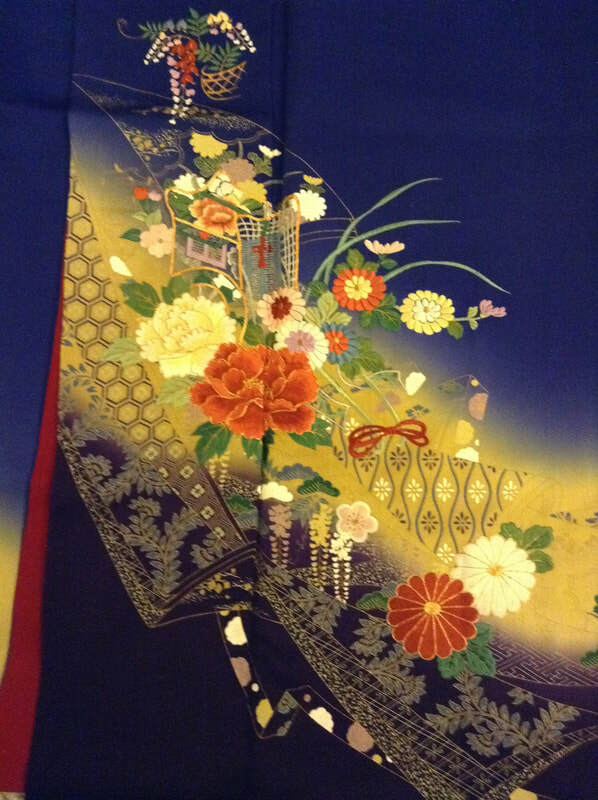 Rose Bruford Int'l Drama and Performance Kimono Workshop on 9th, 10th and 11th April 2014. 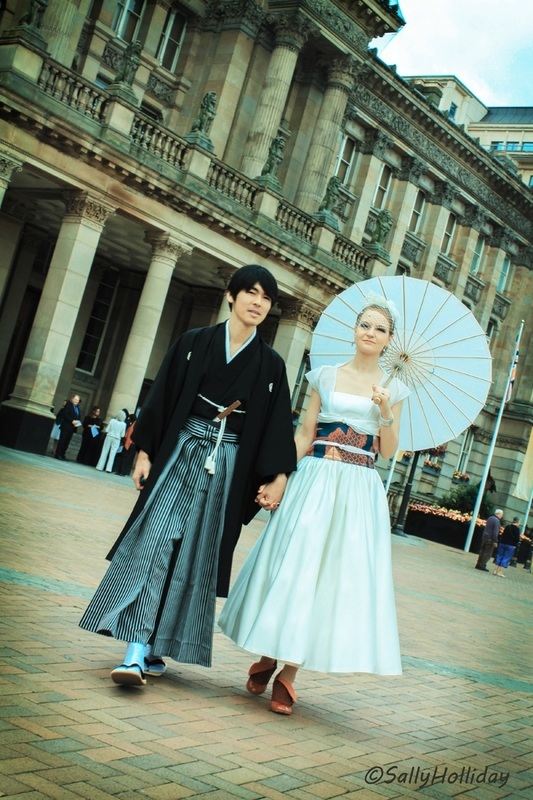 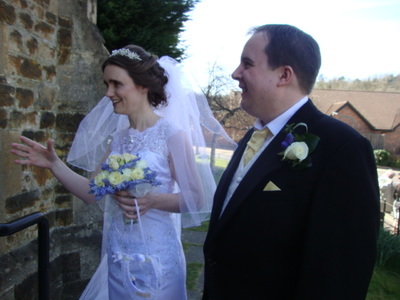 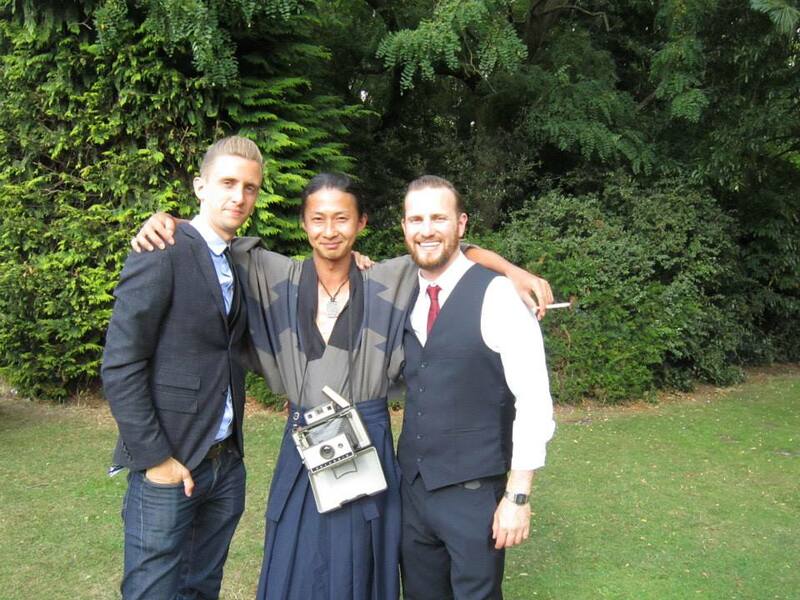 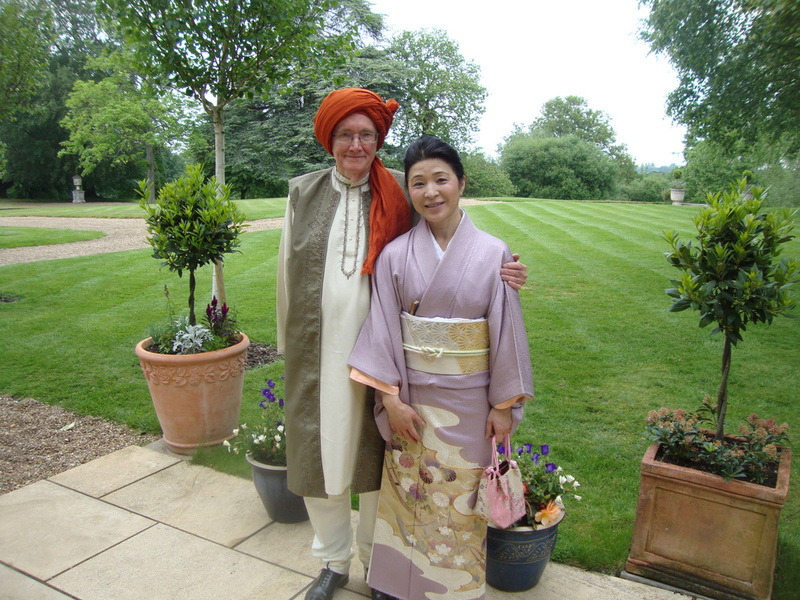 Richard and Misato's wedding in 2011. 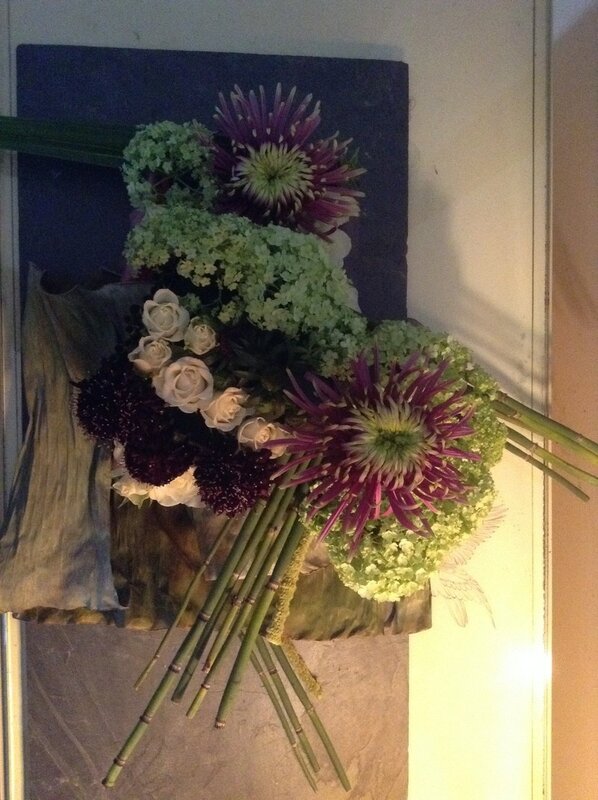 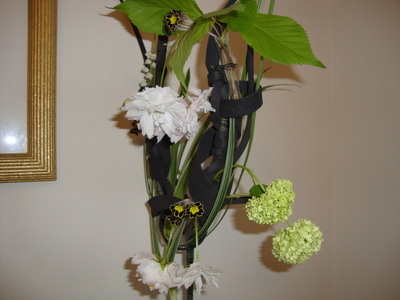 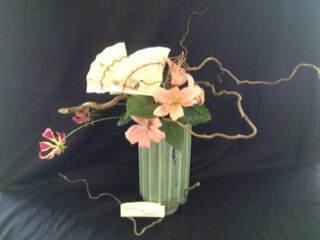 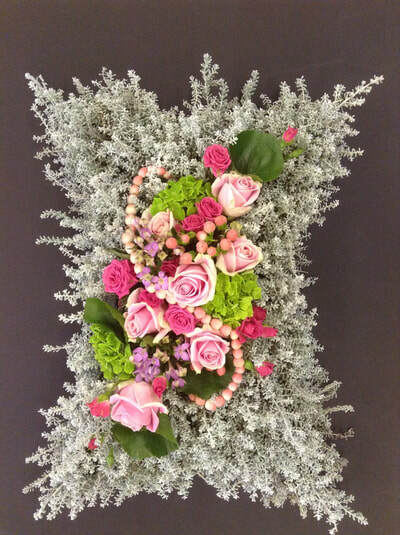 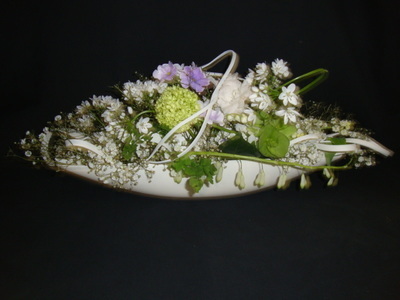 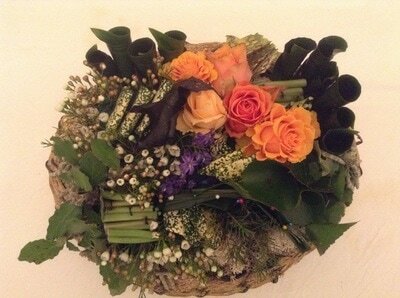 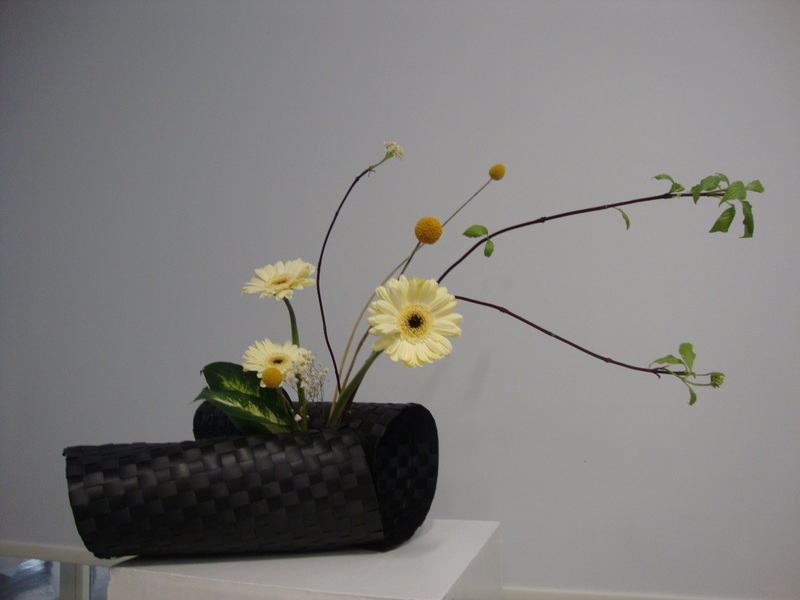 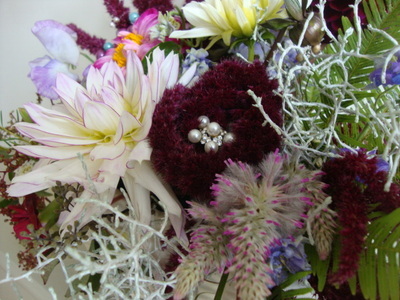 A special flower arrangement in a Japanese kinchyaku bag. Christina in her tsukesage and her mum in tomesode. I found this wooden ball in a junk shop. 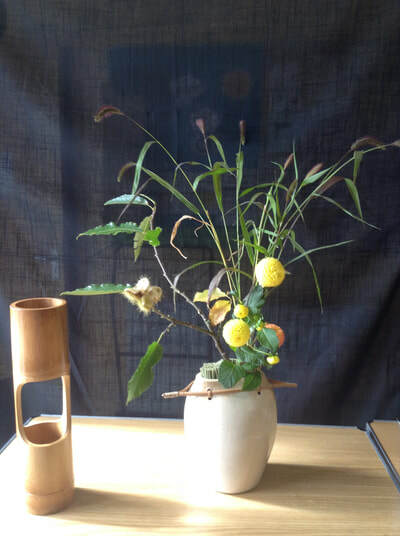 It was a table lamp. 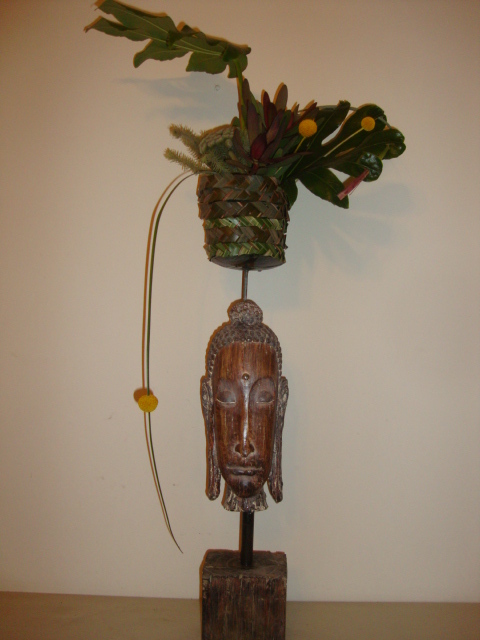 I took the electric wire out and turned it upside down on a 1m black iron candle stand. 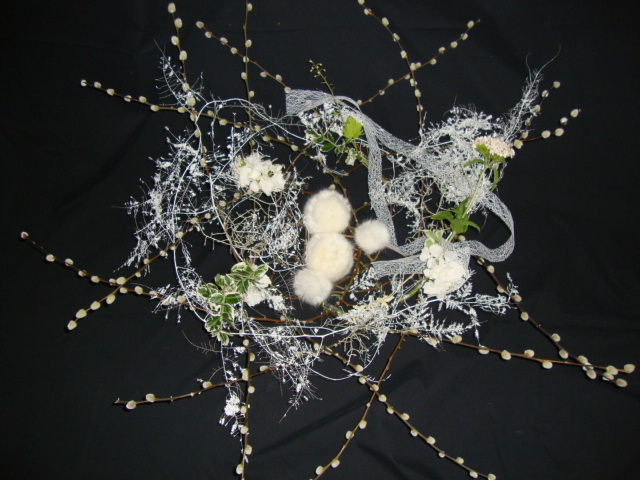 Circular fatsia Japonica, white avalanche roes, claspedia and steel grasses. My first rikka. My Ikenobo teacher, Hansa-san has more Japanese soul than me. 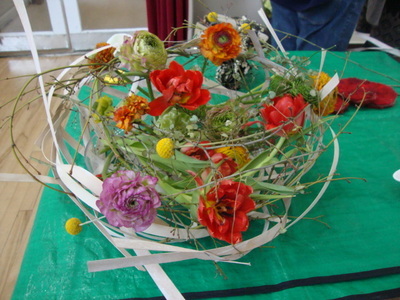 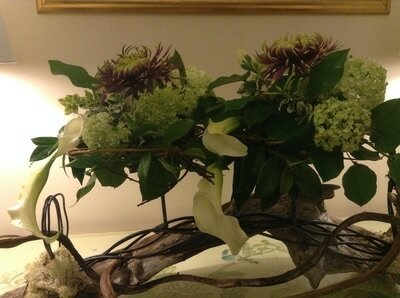 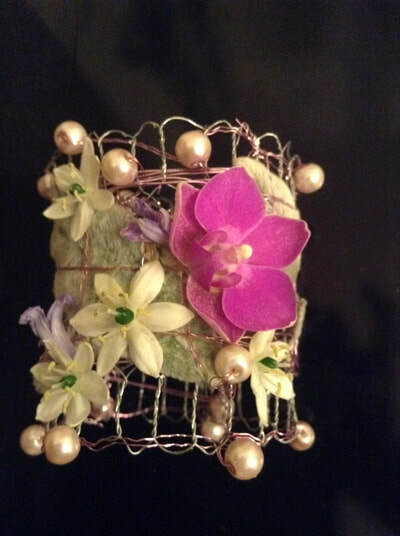 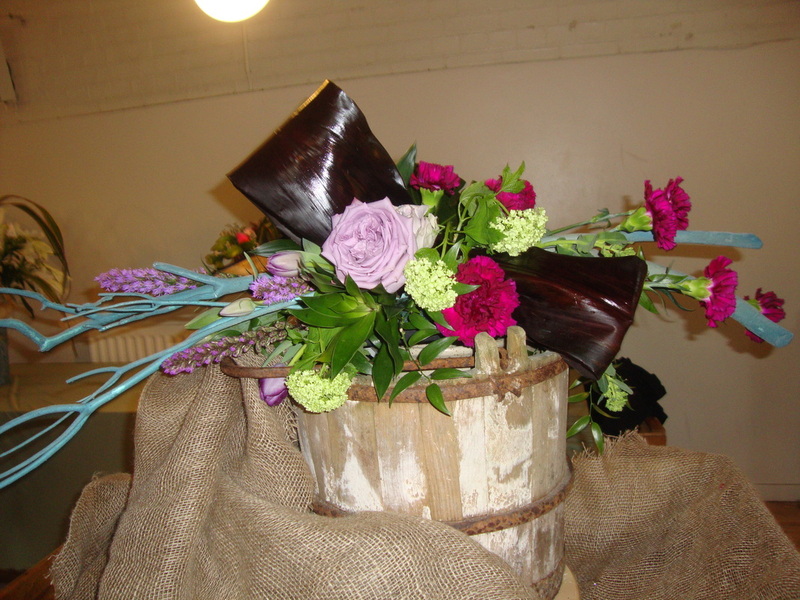 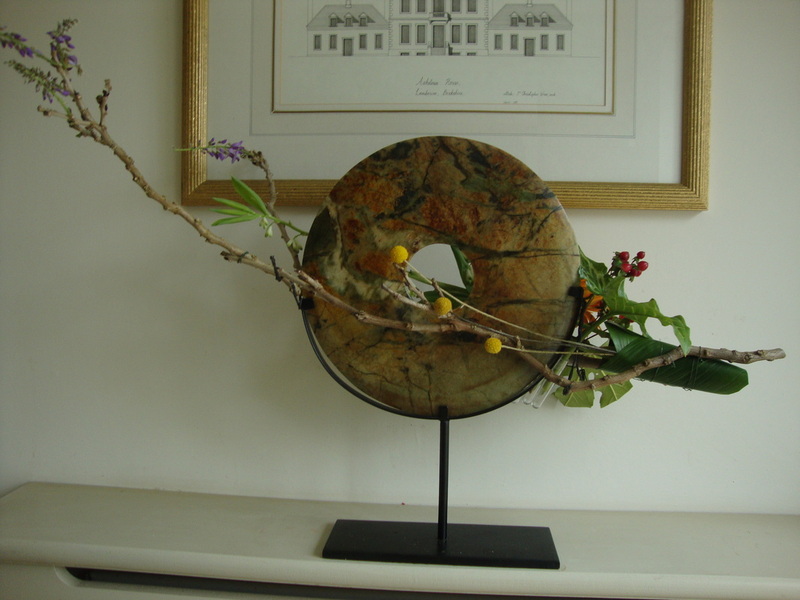 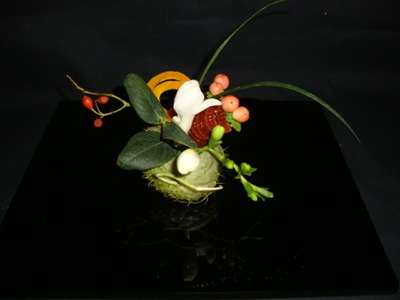 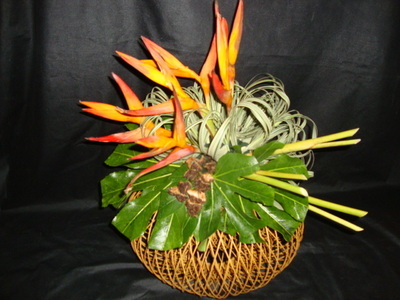 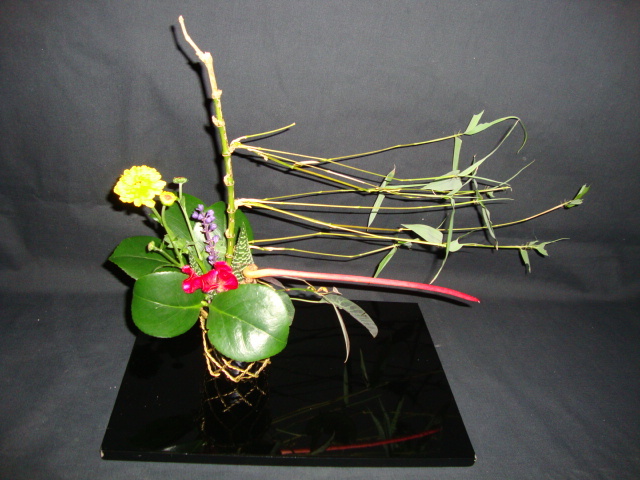 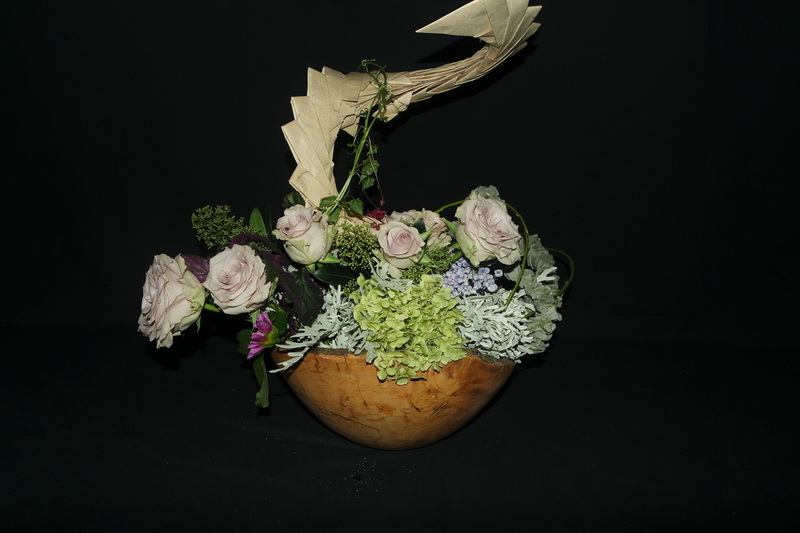 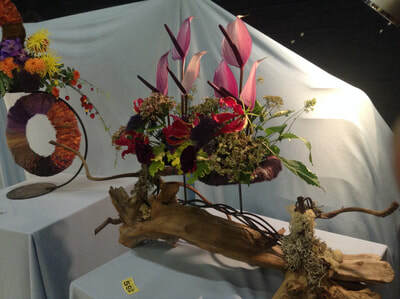 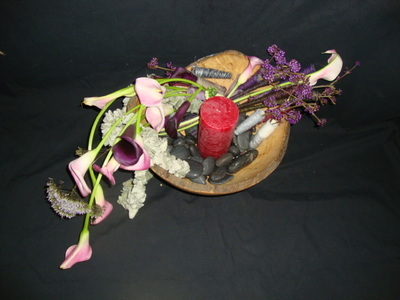 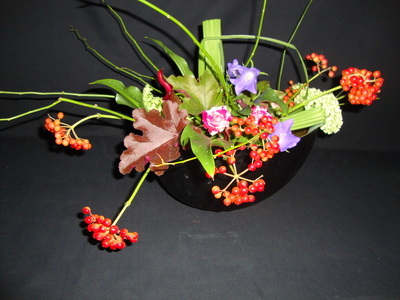 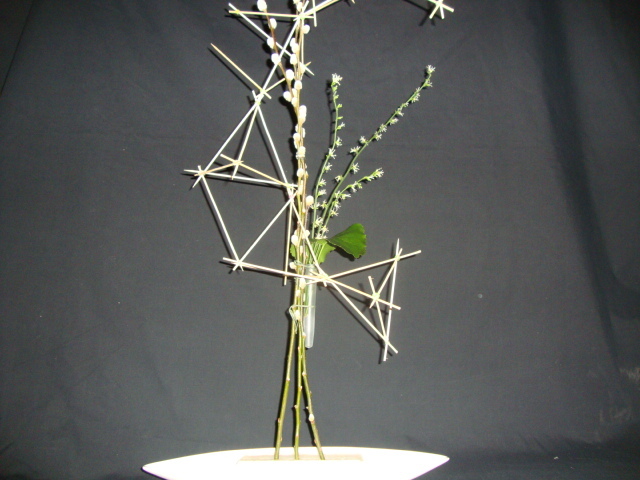 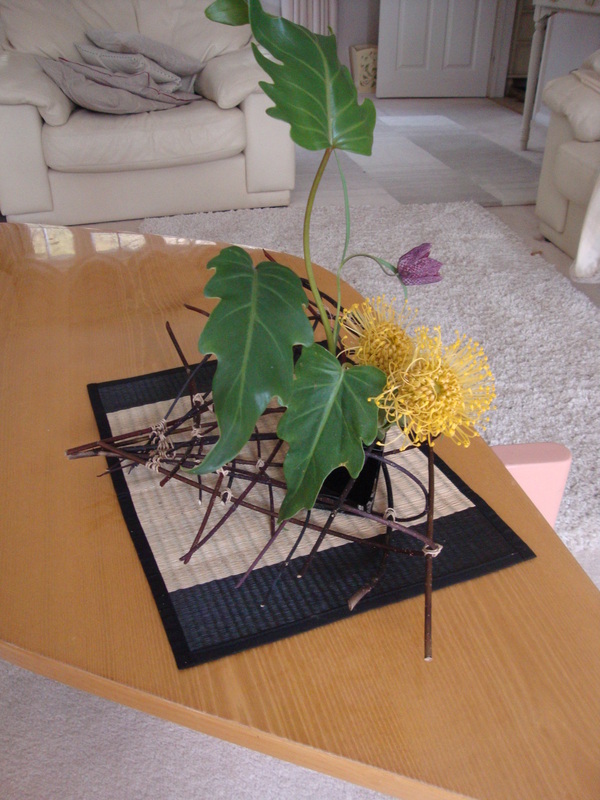 A hand make basket with red cornus branches. 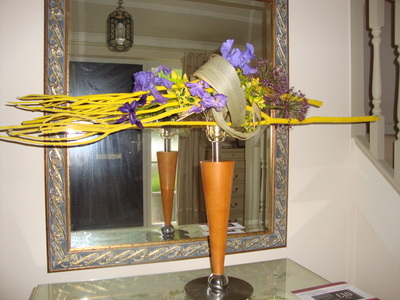 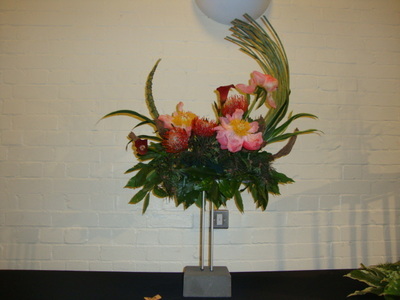 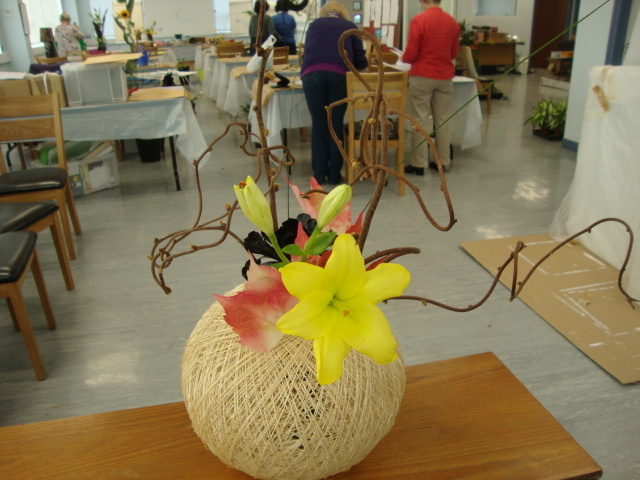 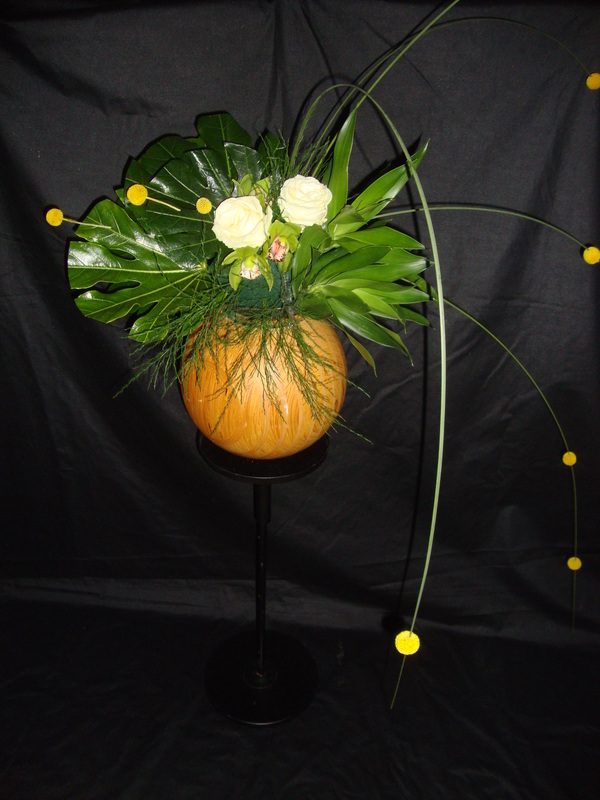 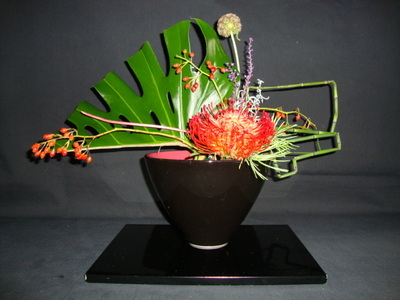 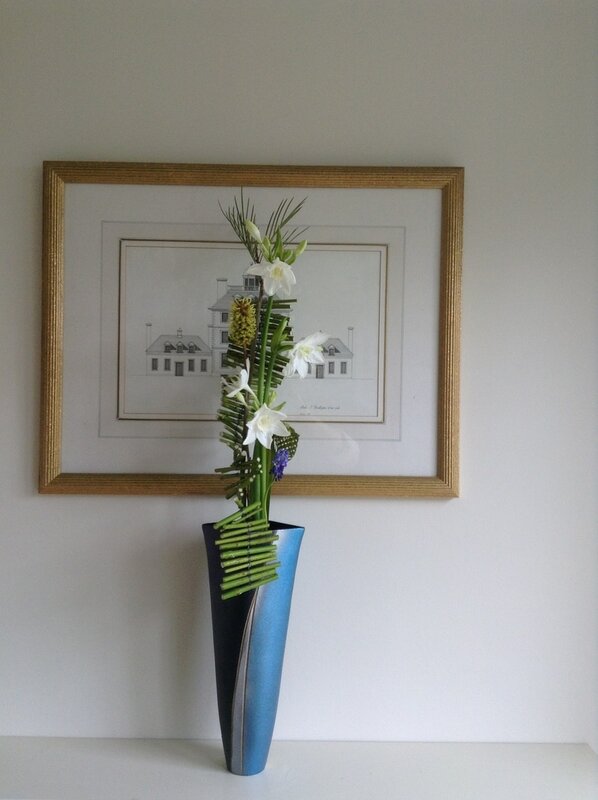 Yellow Leucospermum, Fritillaria and Philodendron.